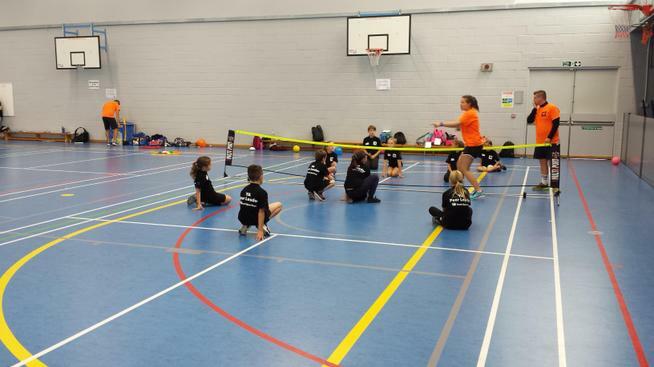 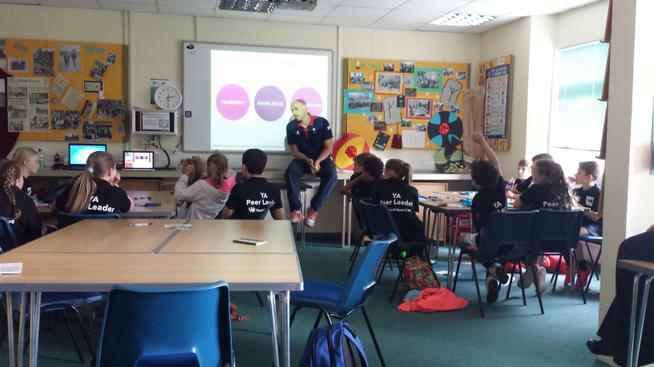 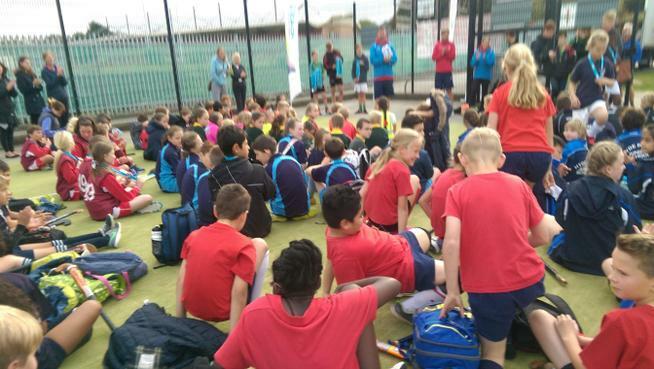 A massive well done to all the children that participated in today's #BeActiveThursday #PlaygroundChallenge A great example of the #SchoolGames #SpiritOfTheGames #honesty #selfbelief #determination #passion #teamwork #respect Remember #WEWANTYOU! 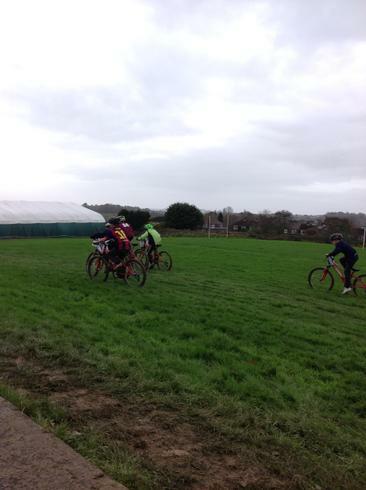 Go Ride! 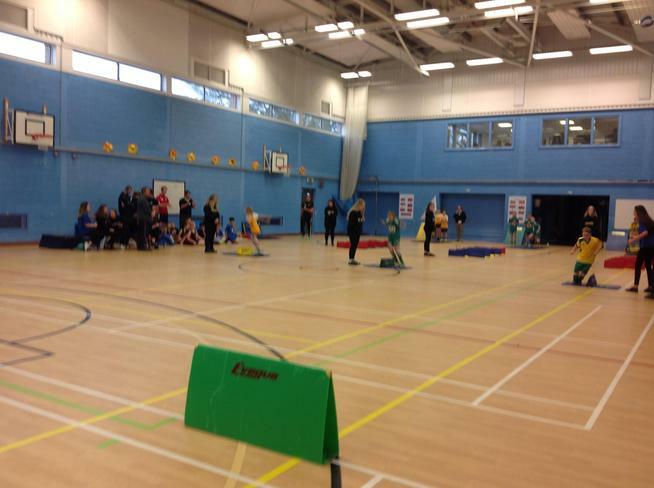 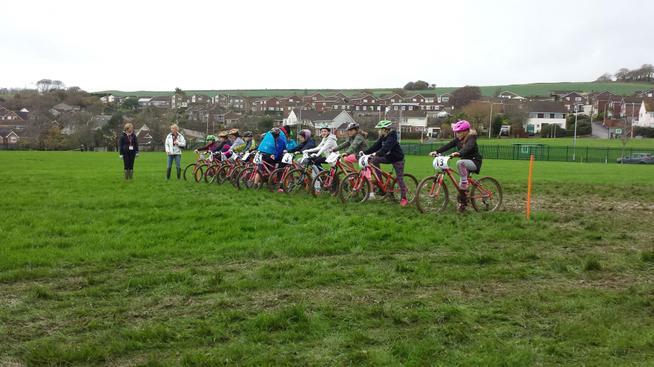 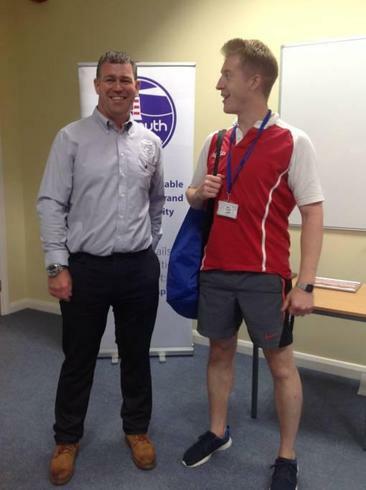 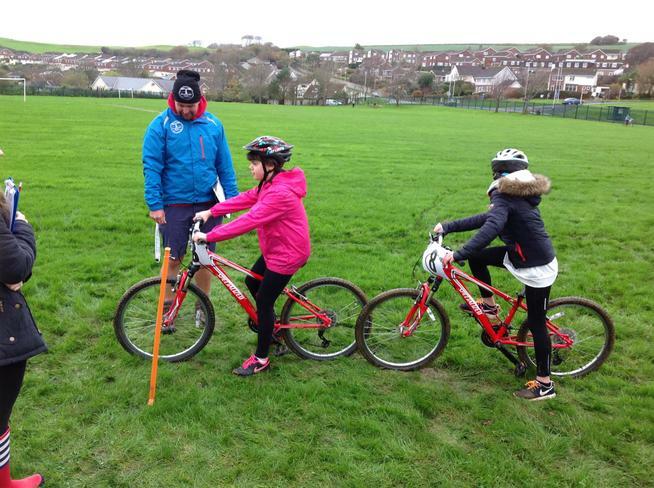 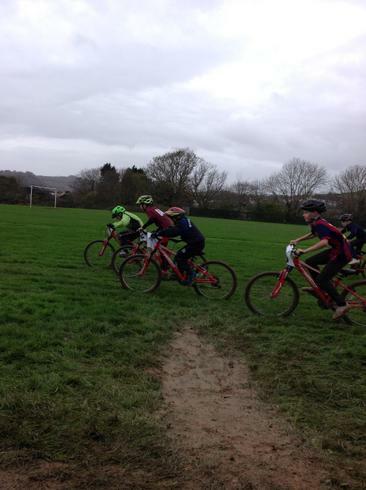 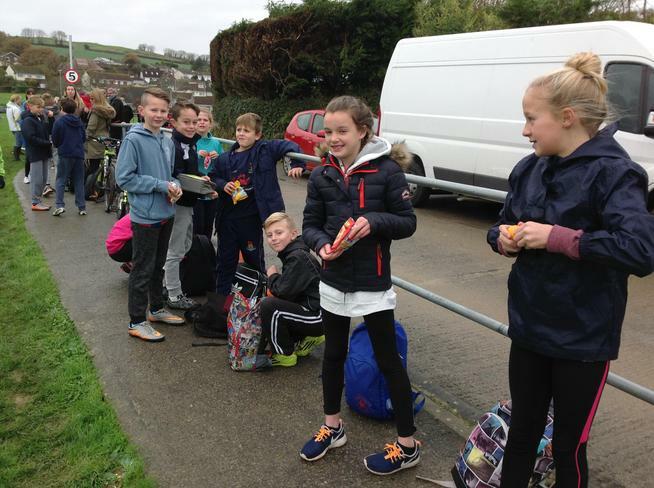 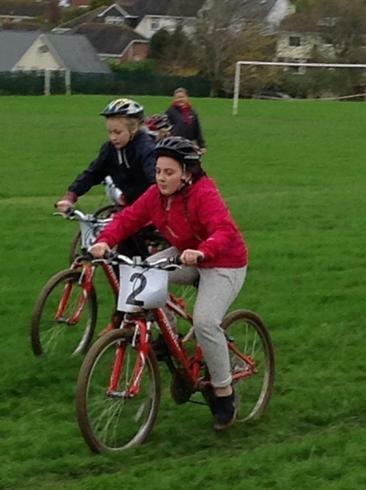 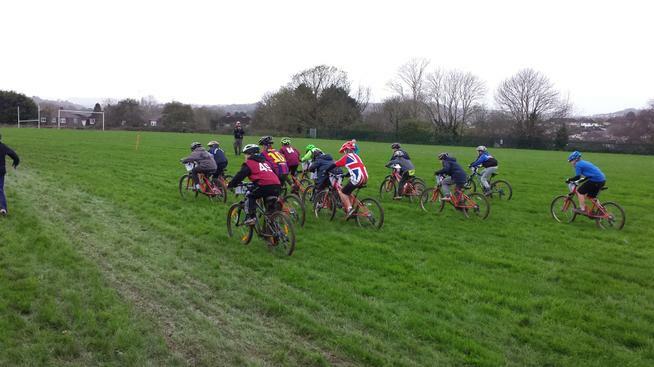 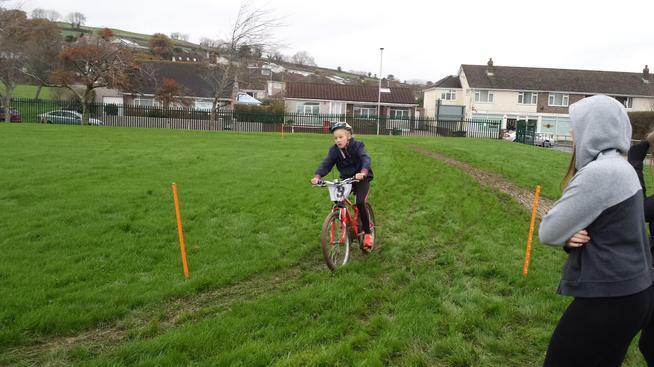 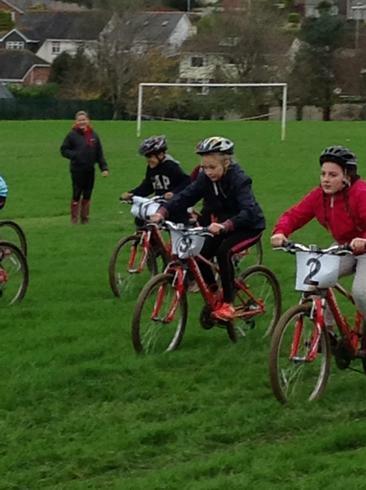 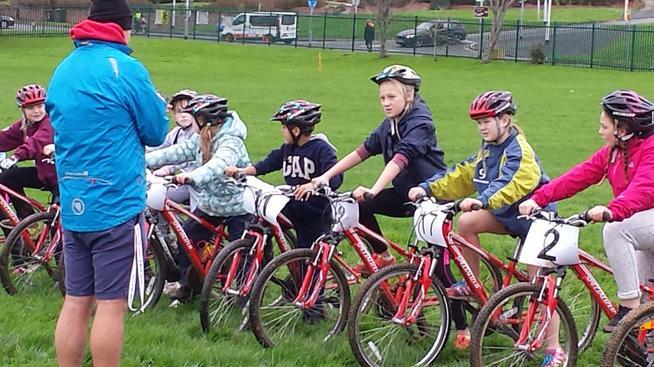 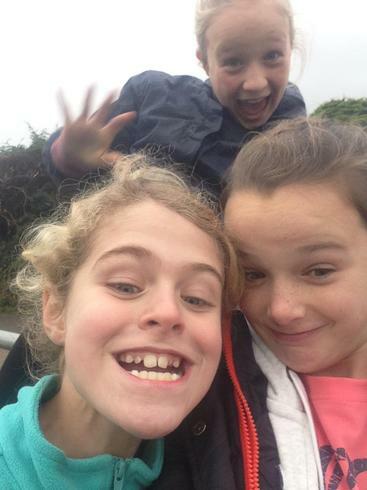 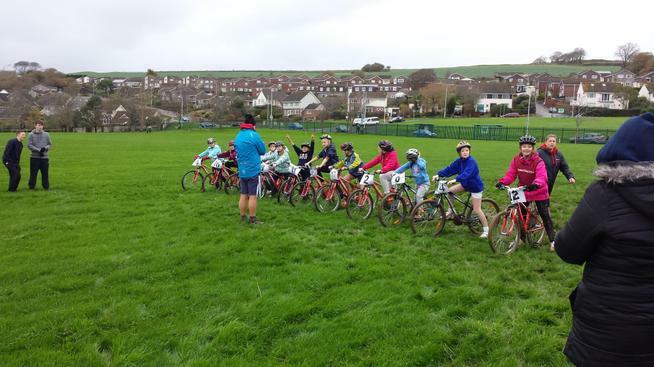 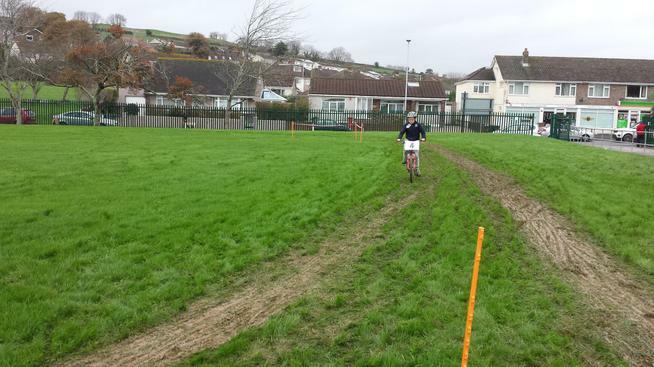 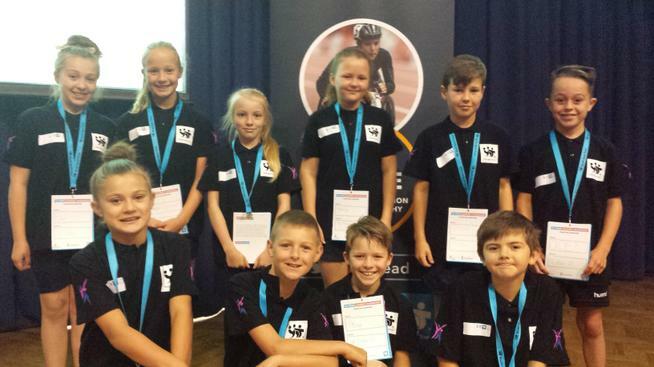 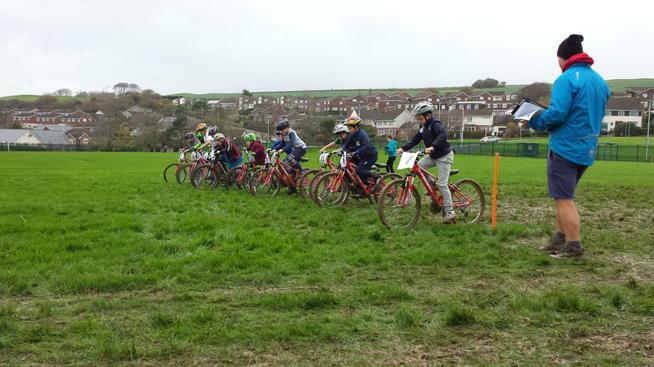 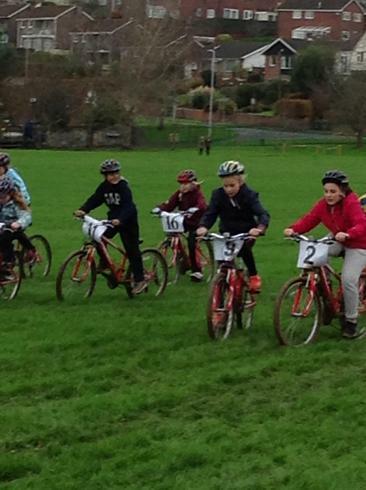 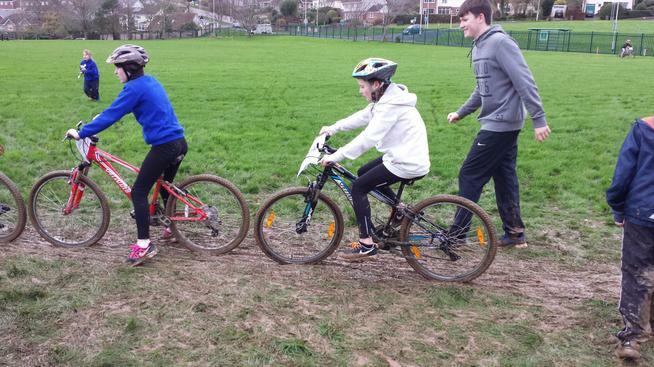 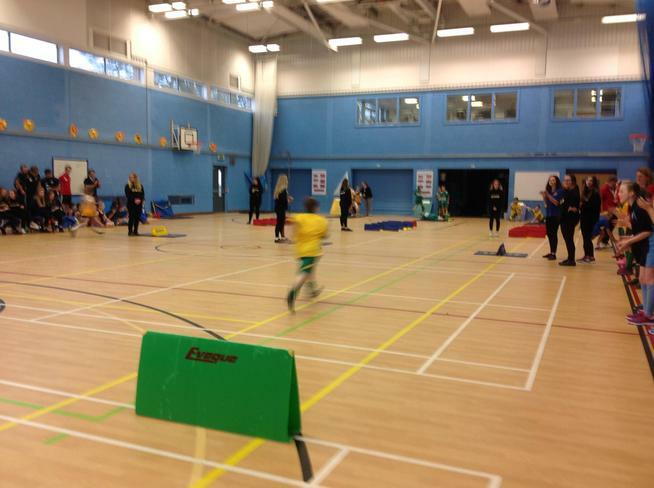 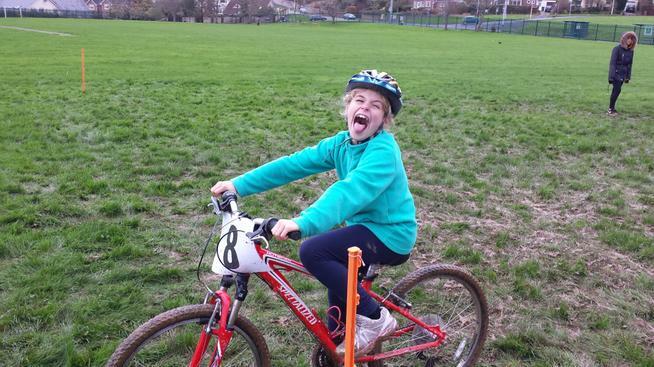 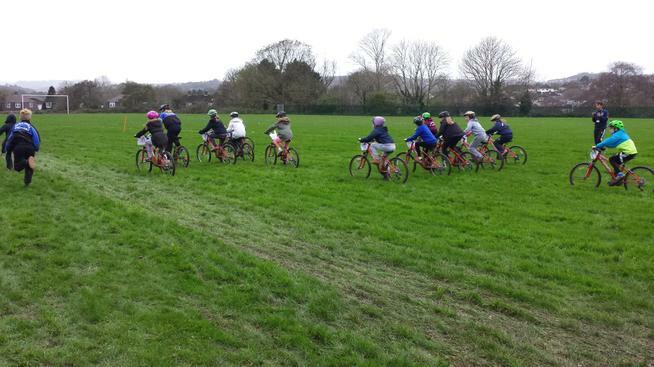 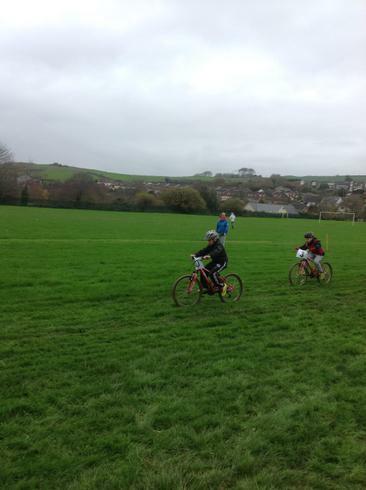 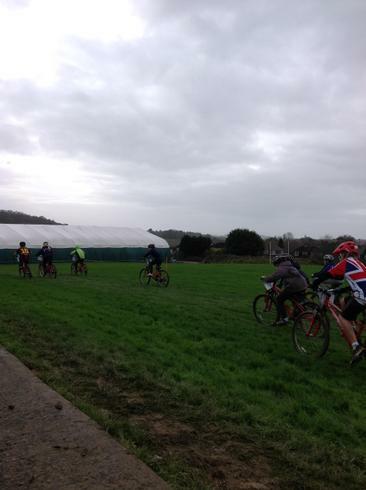 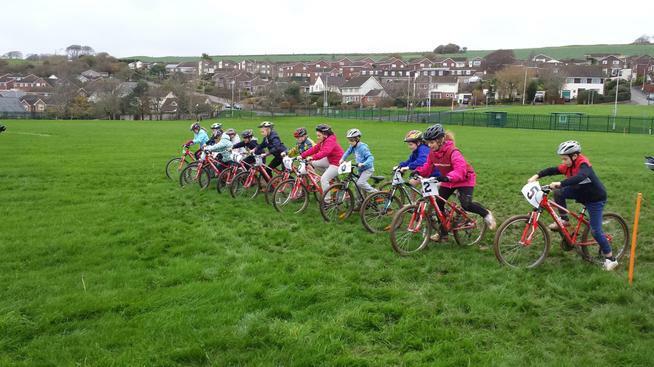 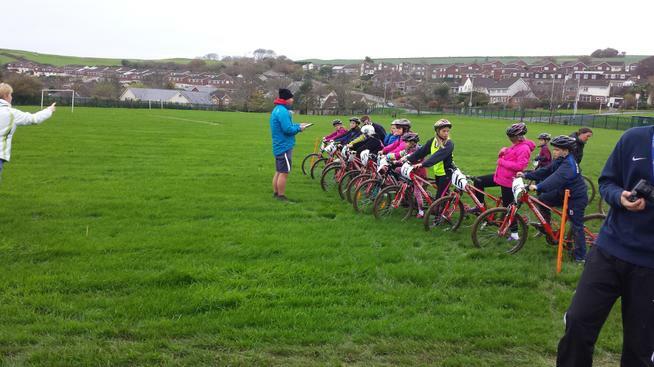 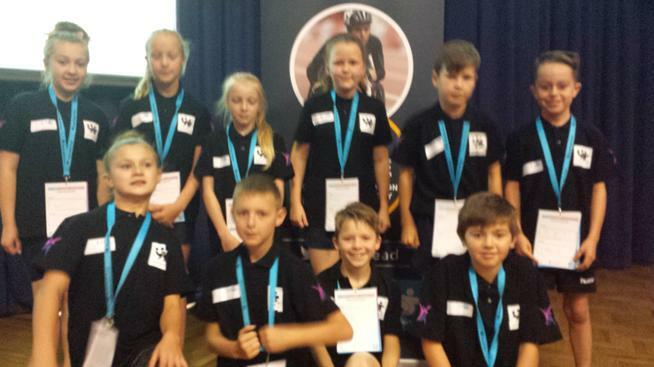 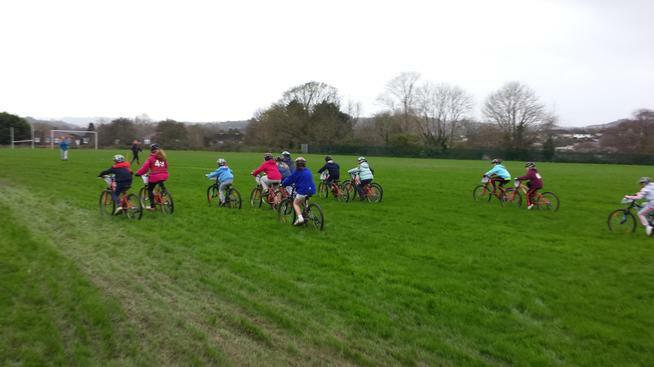 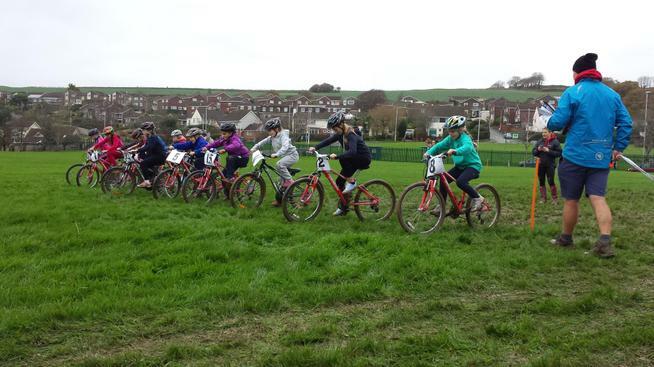 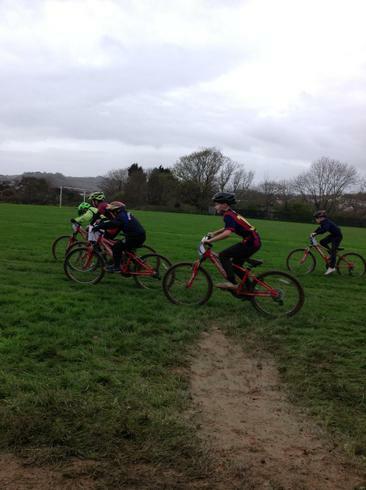 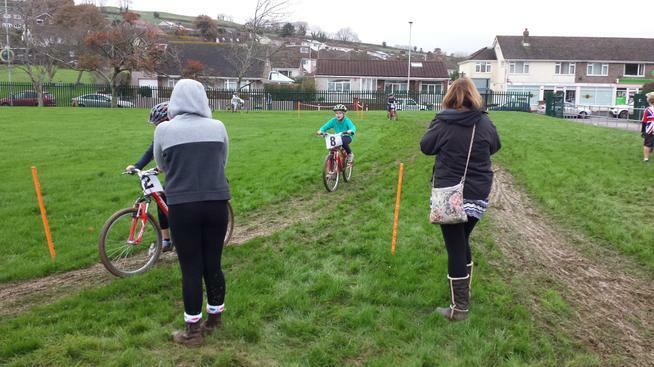 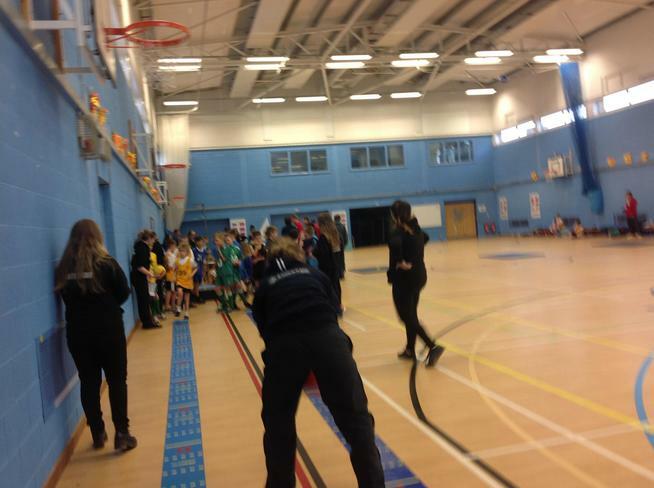 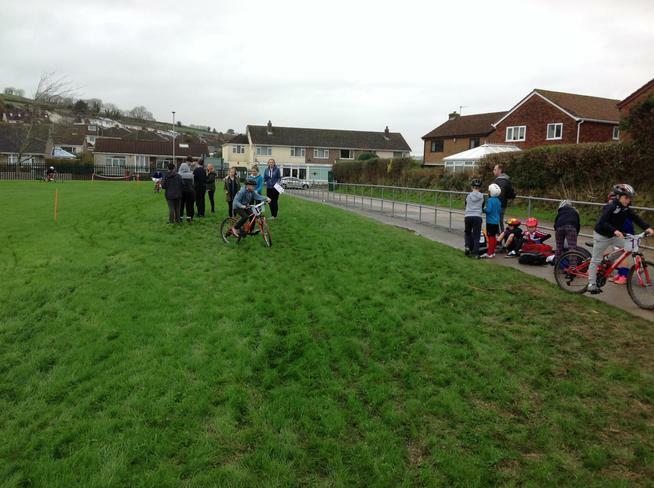 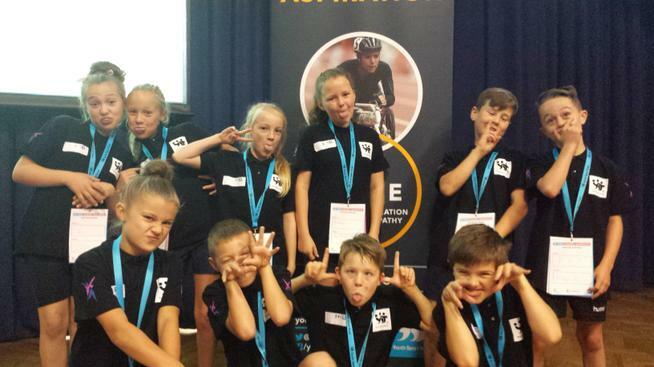 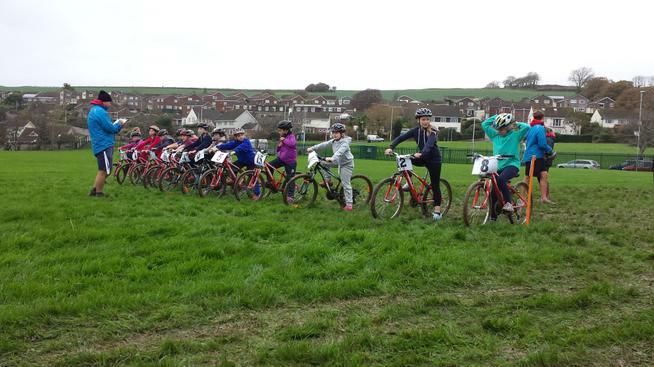 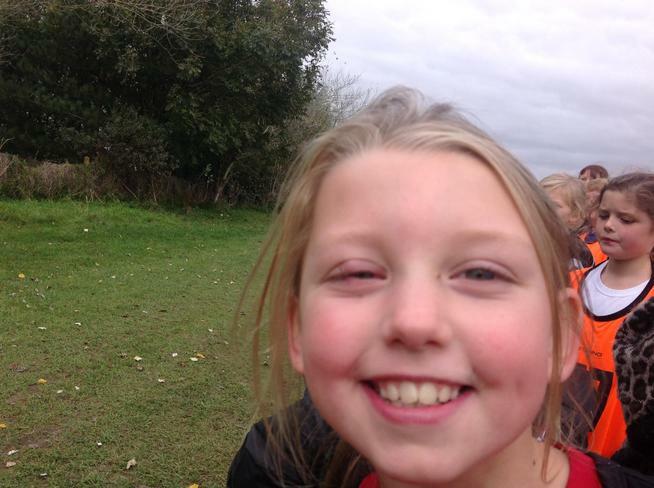 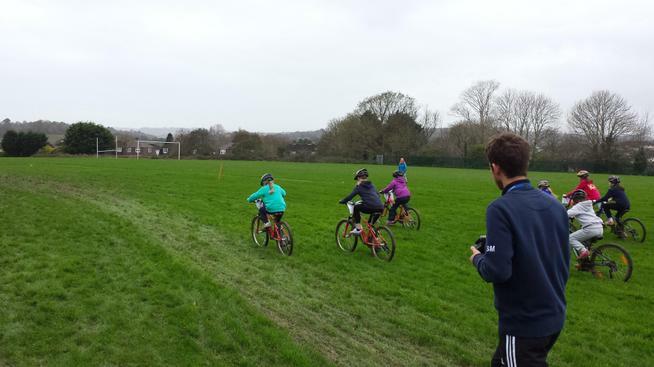 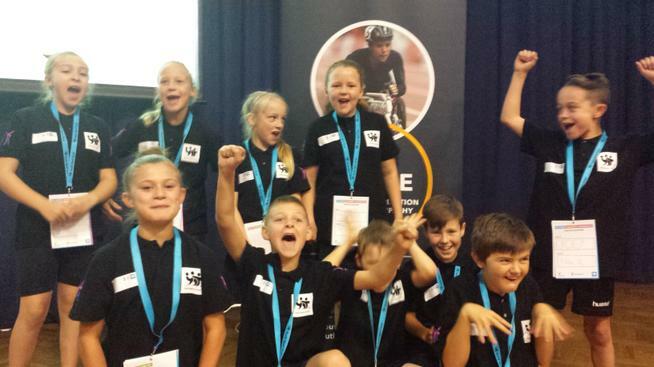 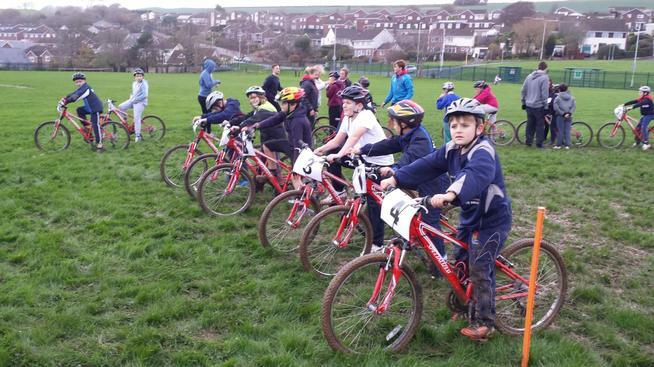 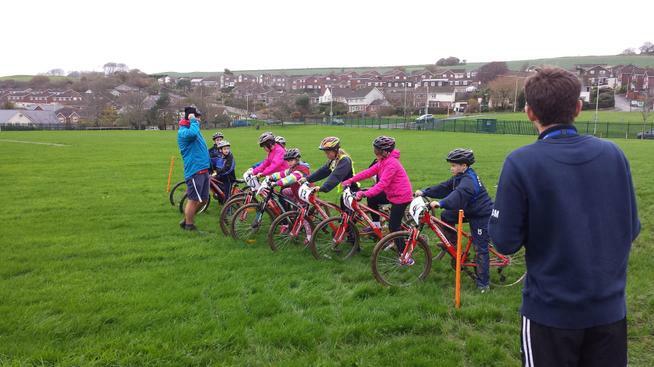 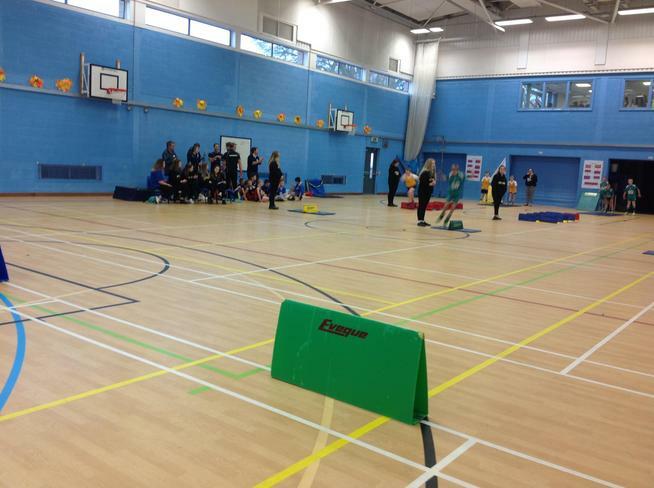 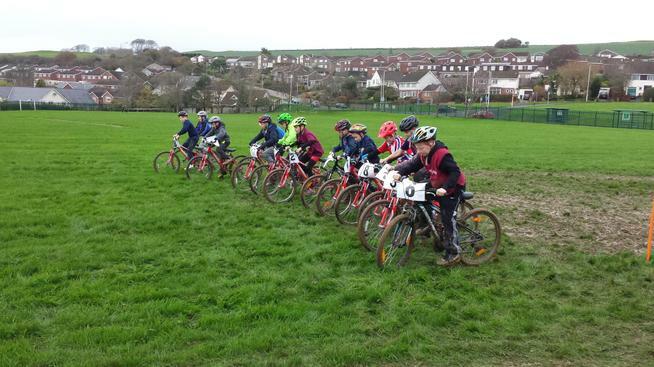 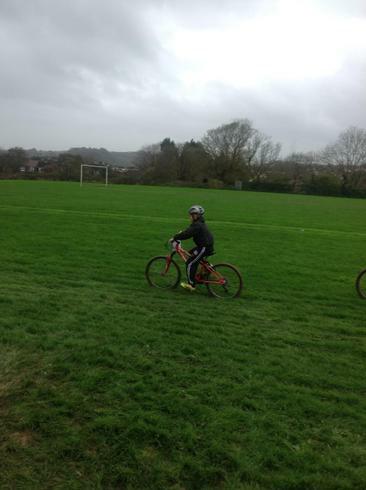 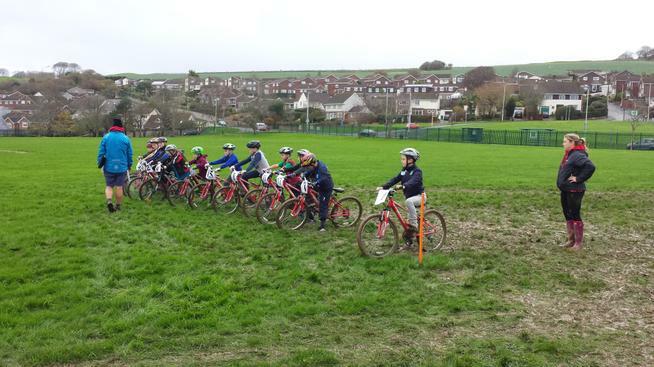 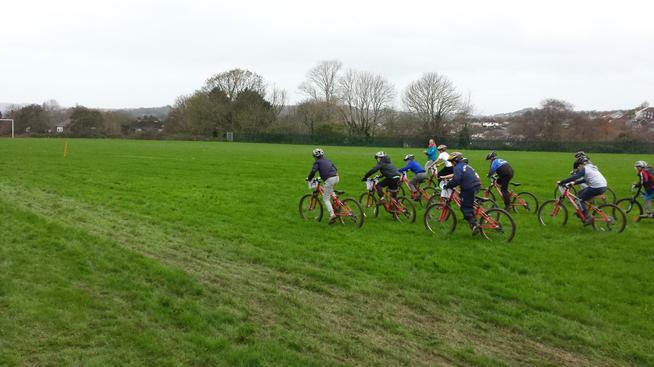 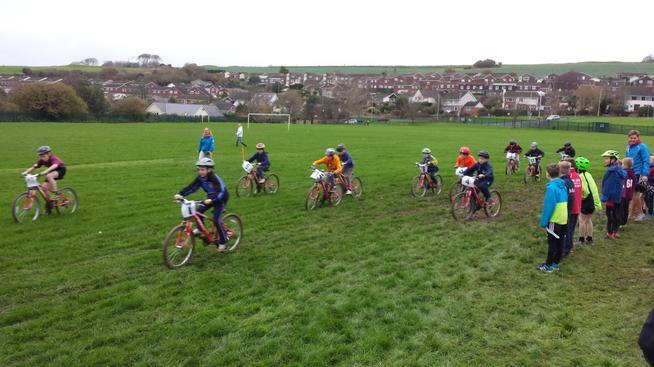 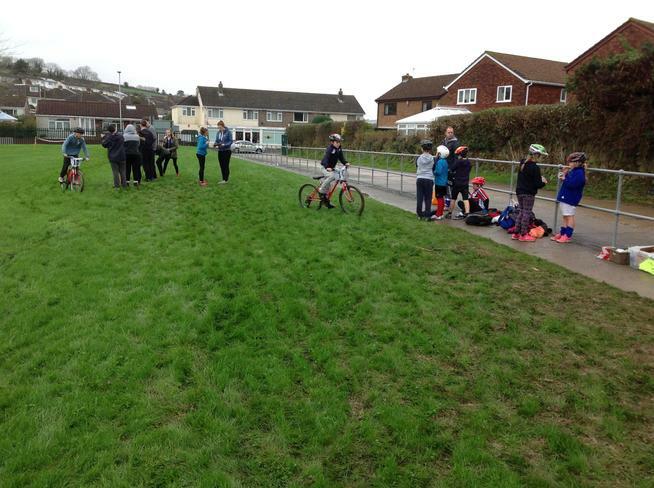 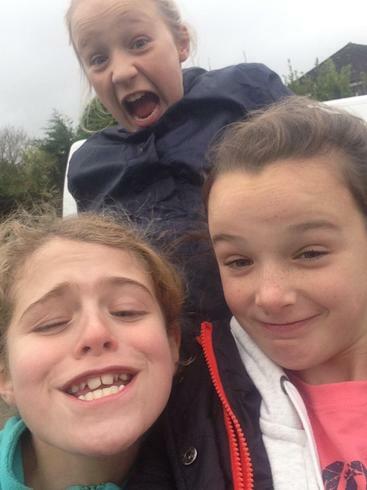 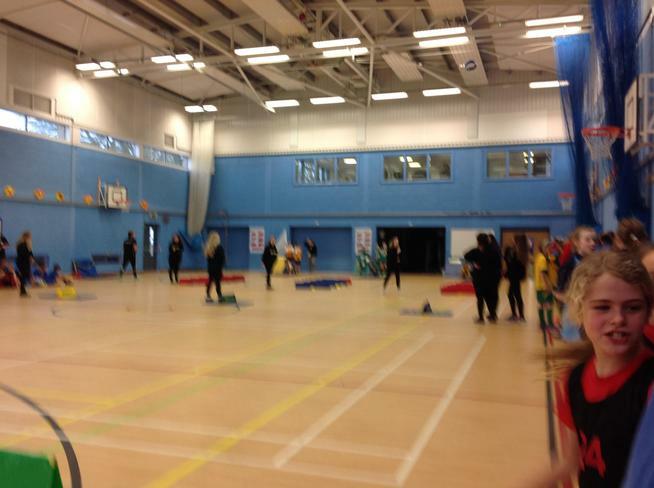 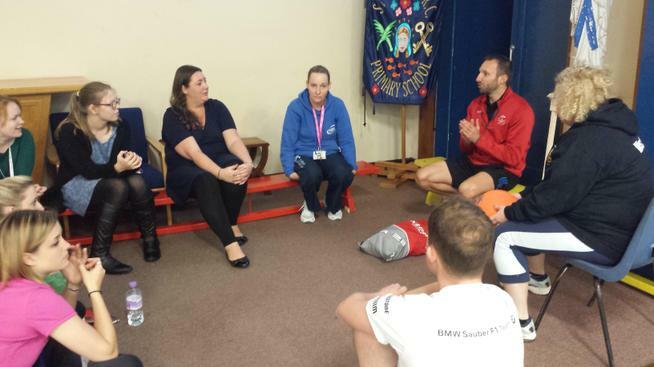 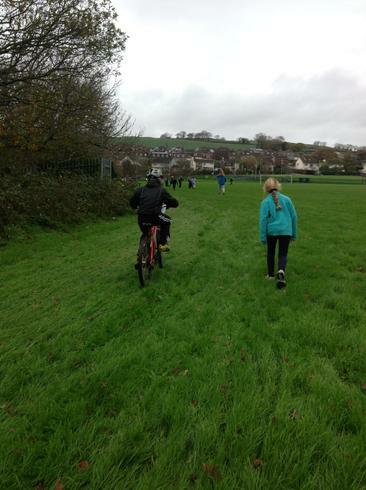 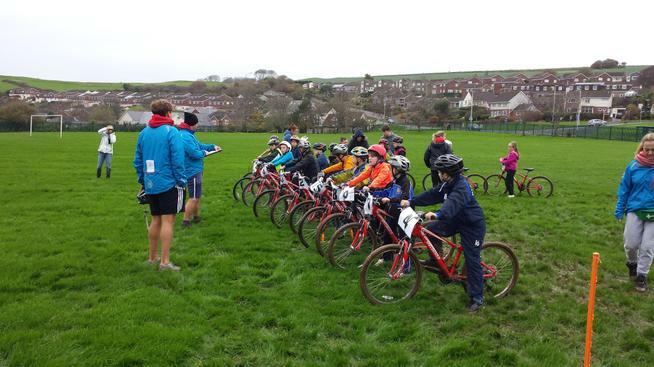 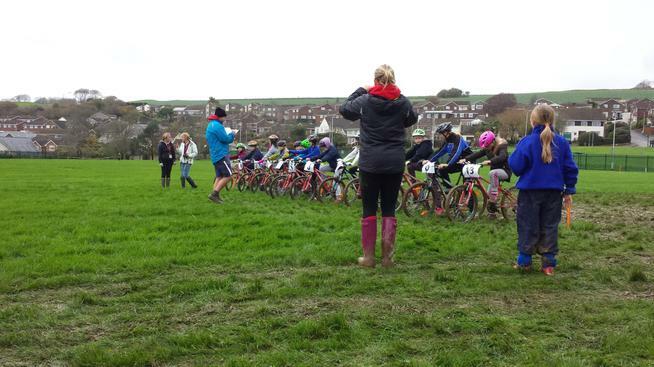 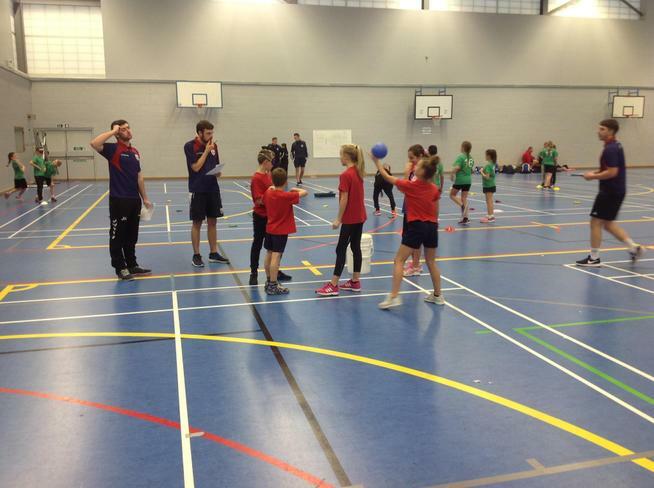 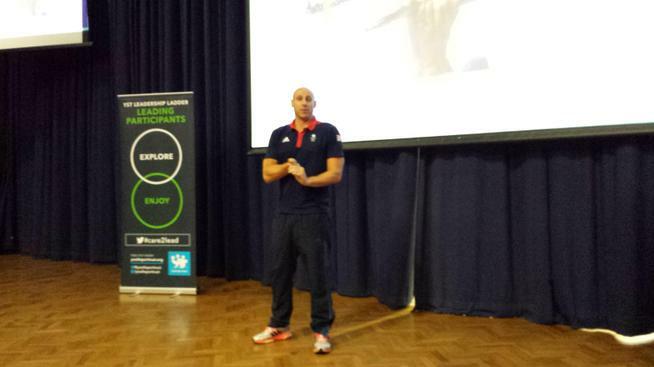 @ Hele's, Nov '15 Please see the attached link for the Plymouth SSP's report on today's cycling event. 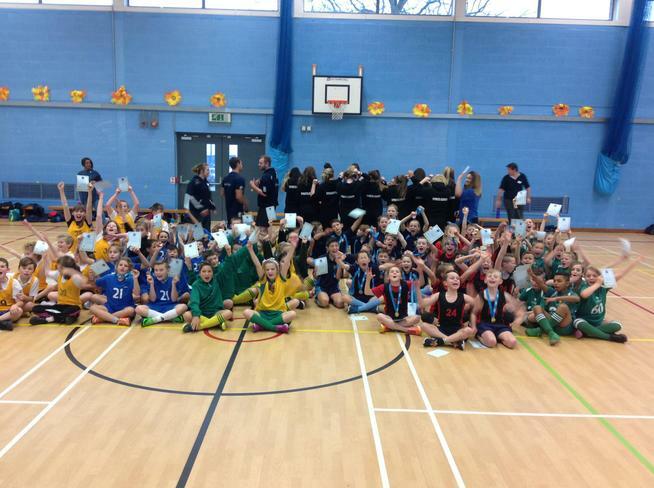 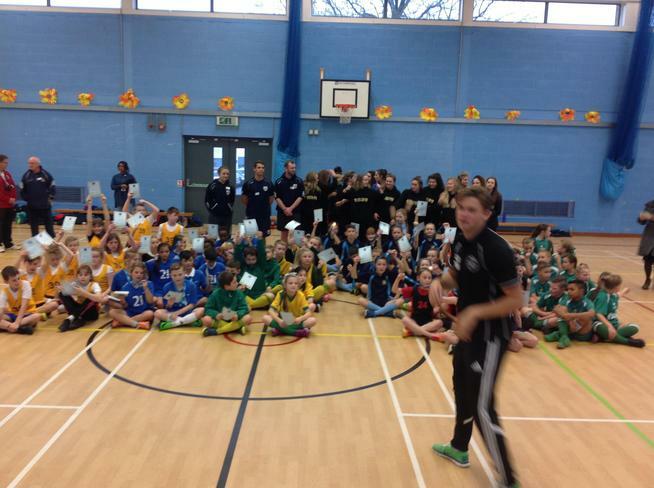 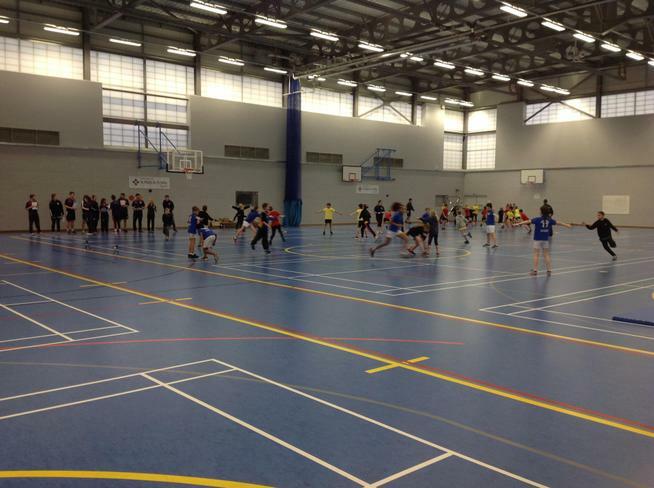 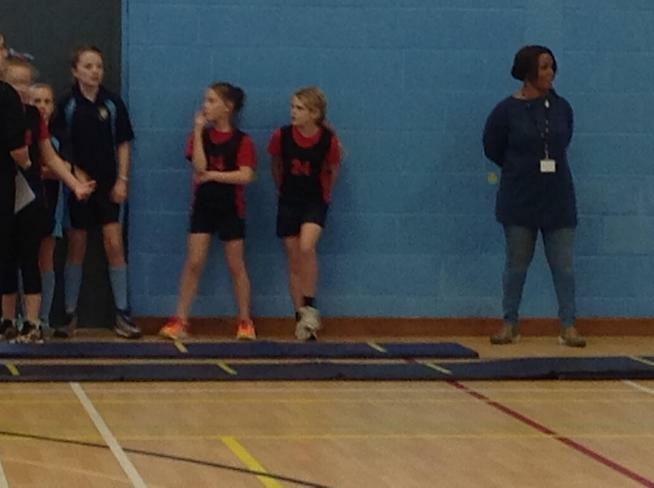 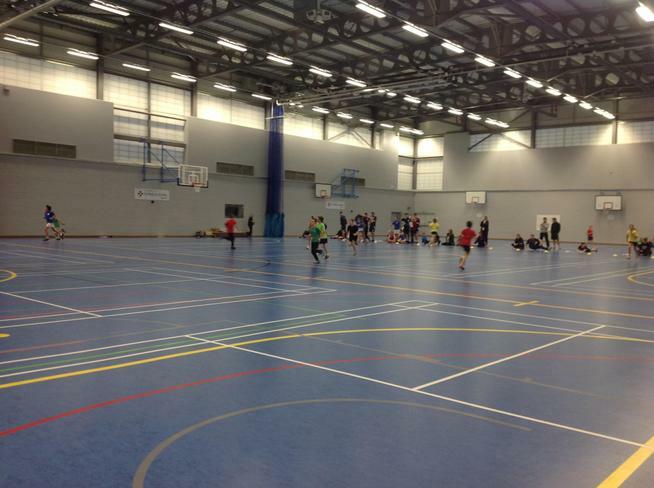 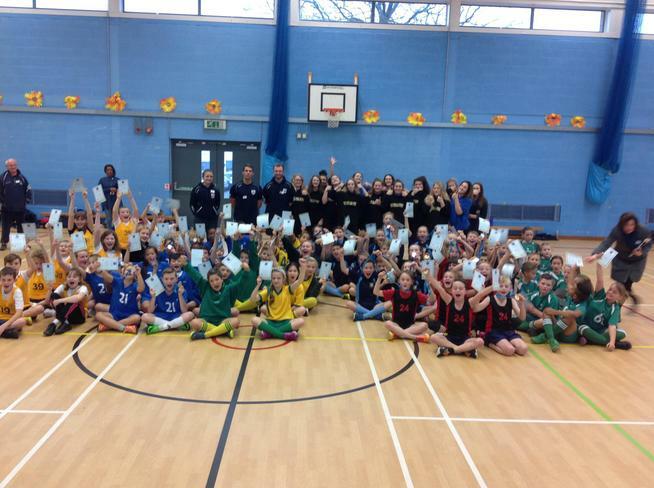 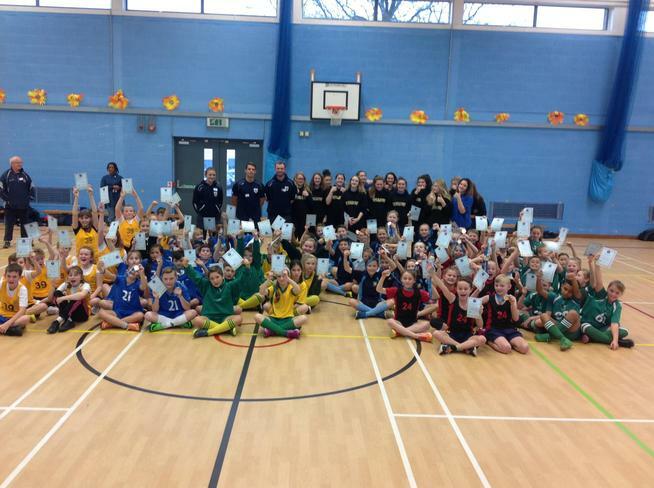 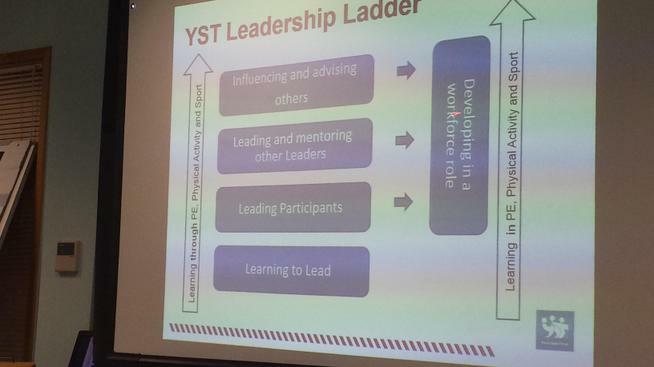 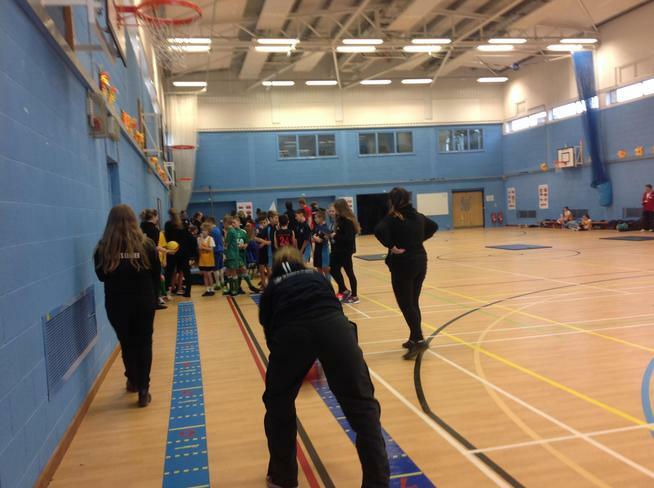 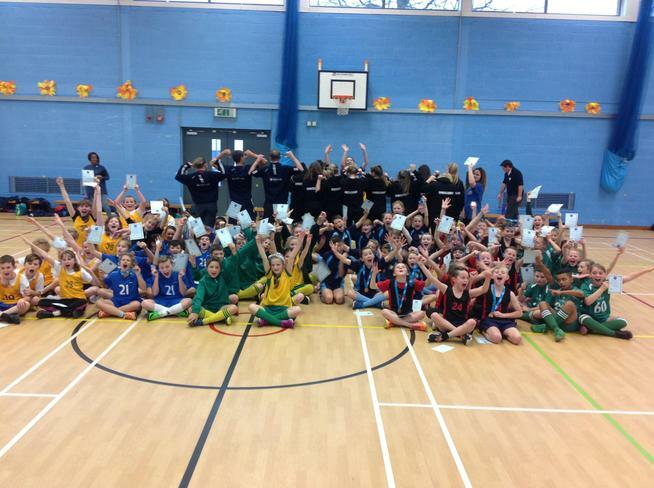 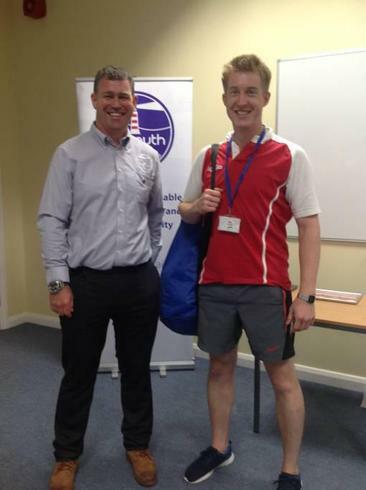 Well done to all those involved, especially during the numerous waiting periods! 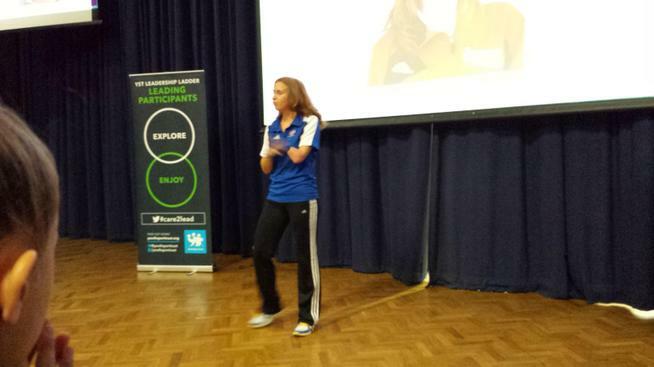 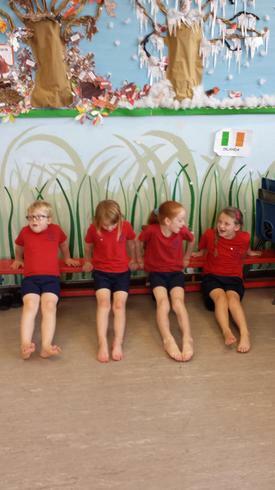 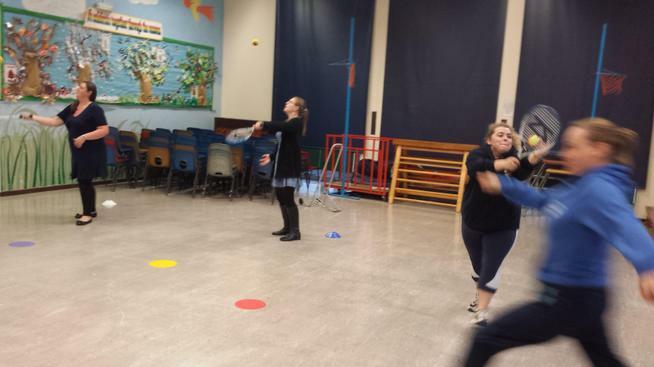 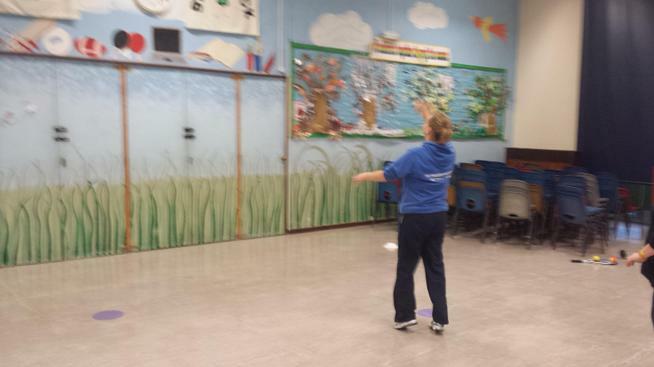 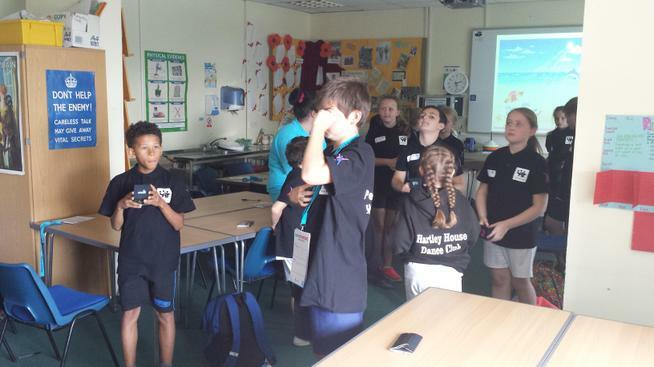 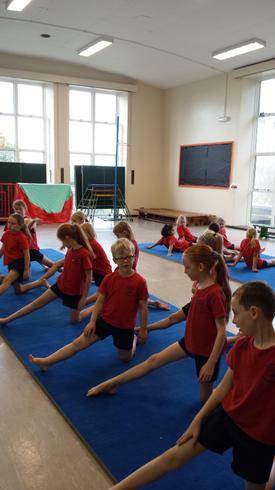 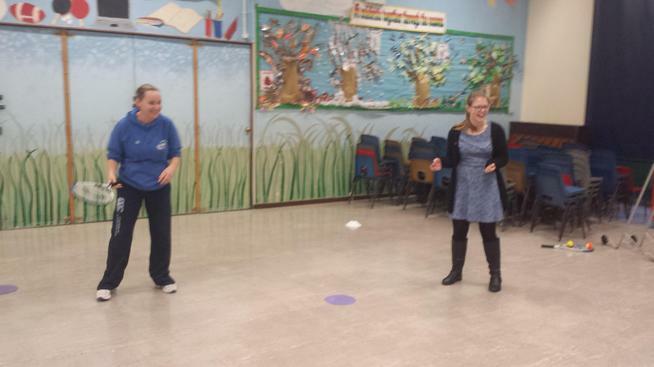 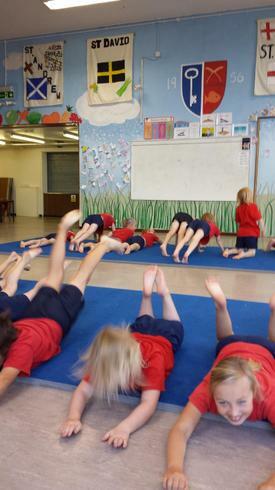 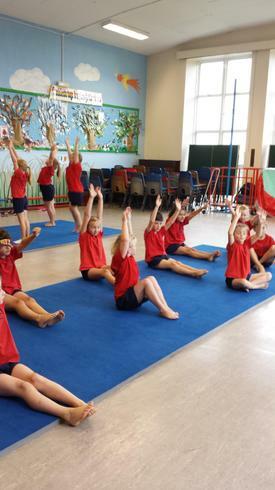 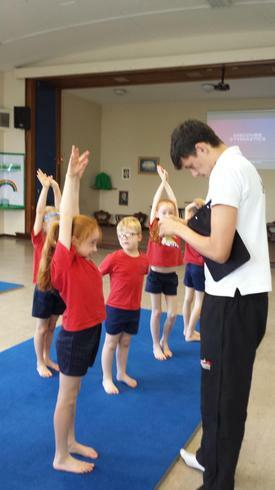 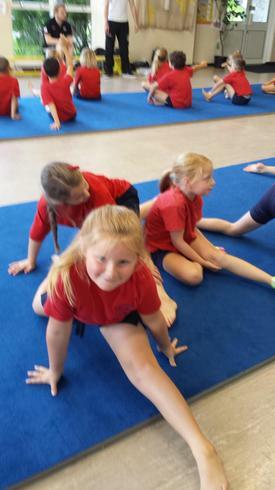 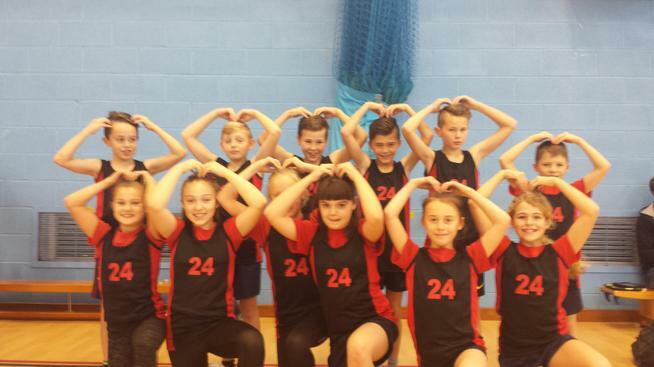 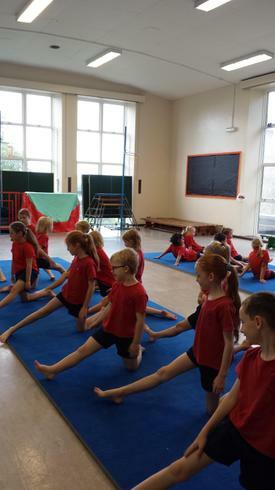 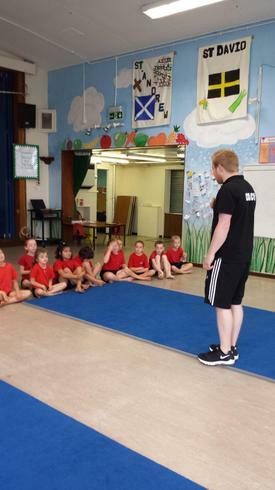 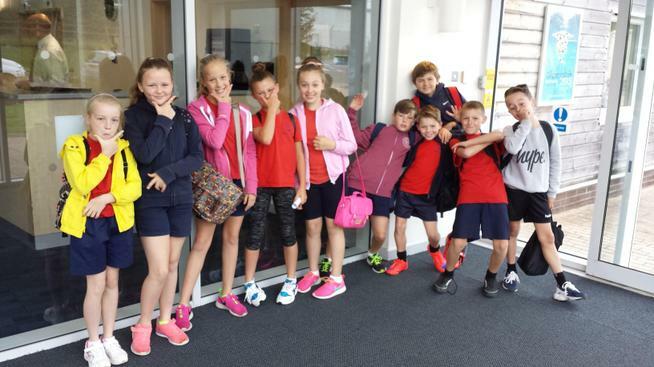 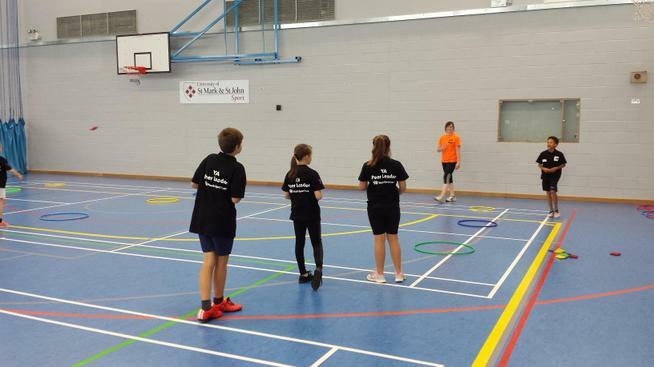 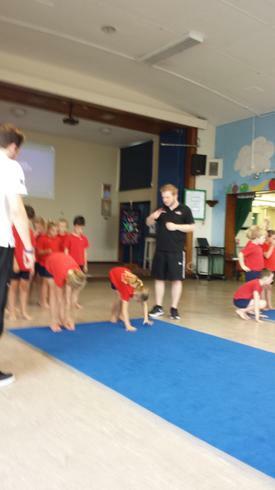 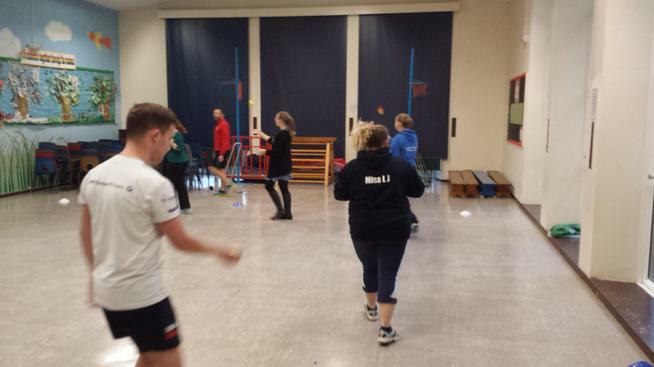 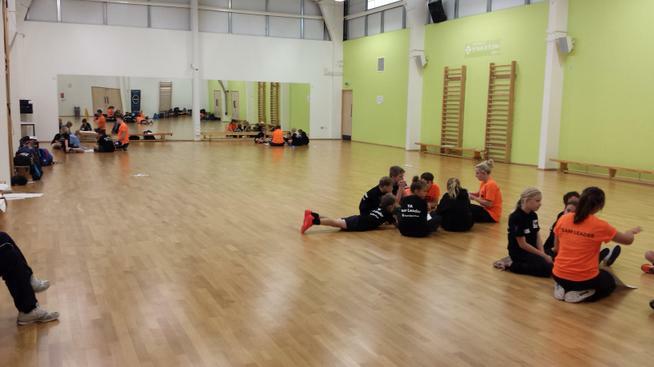 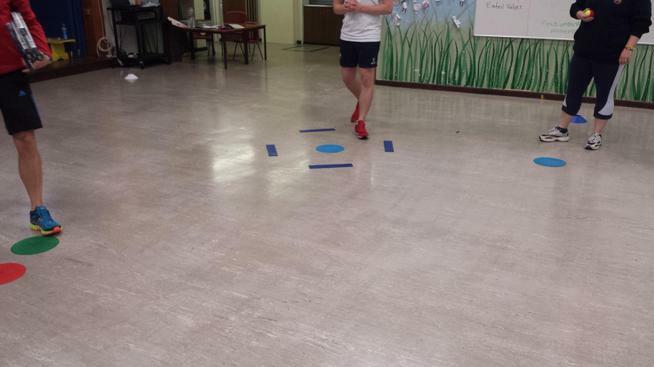 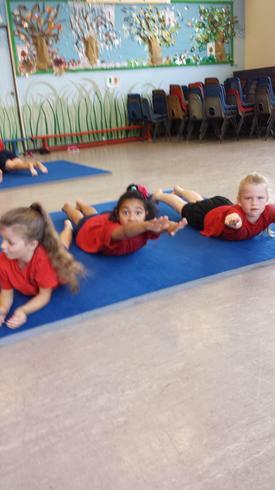 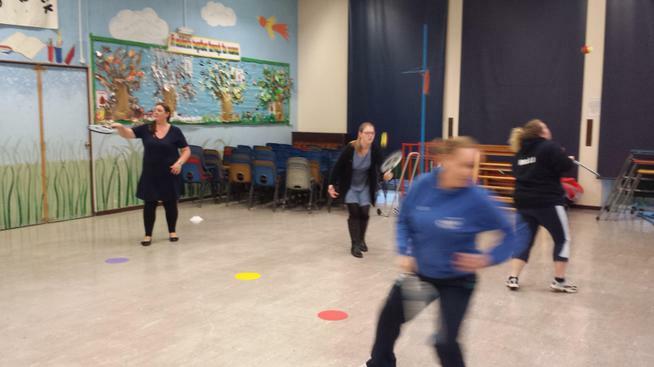 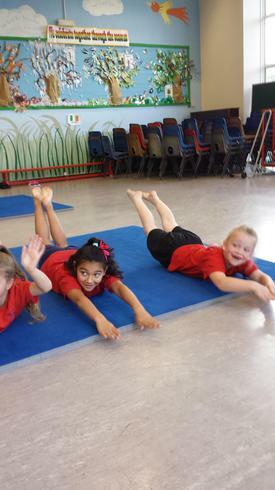 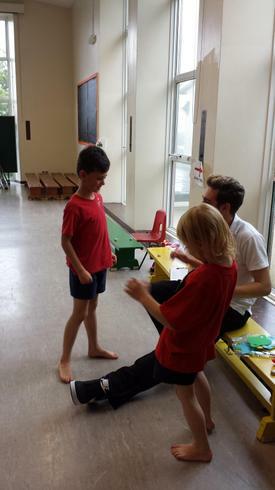 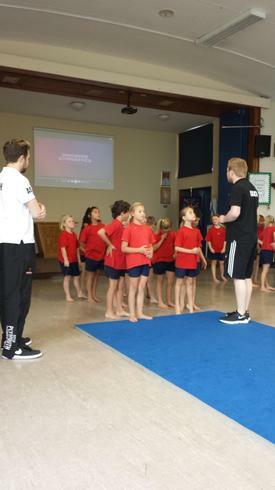 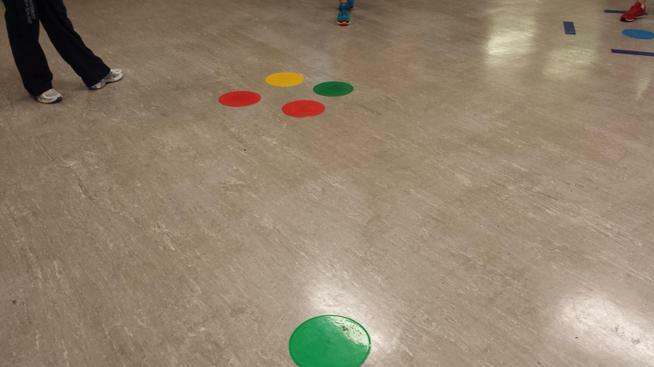 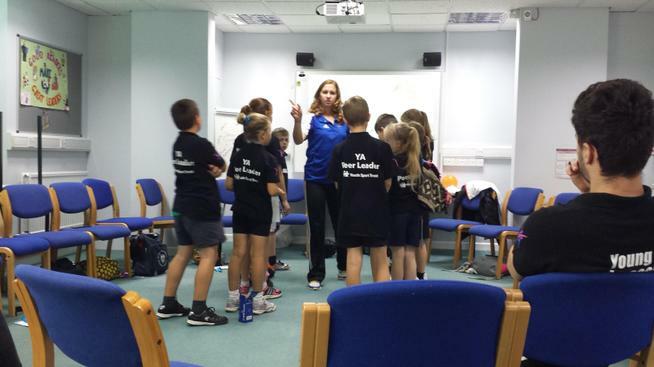 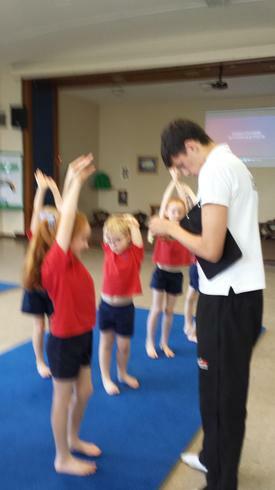 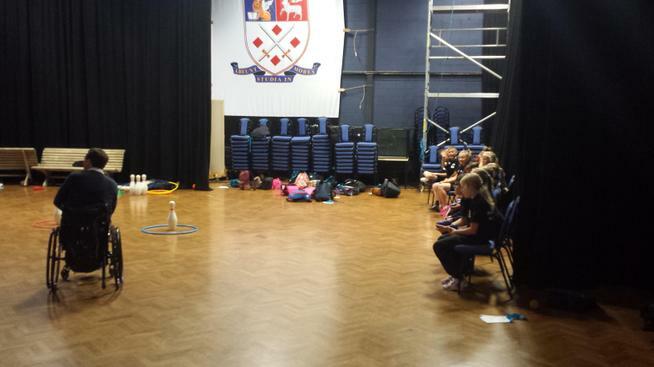 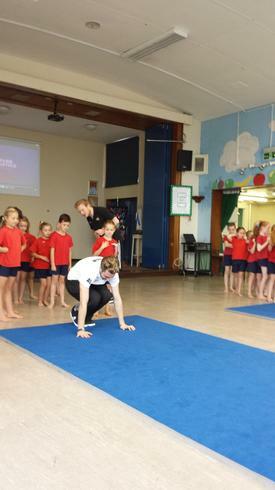 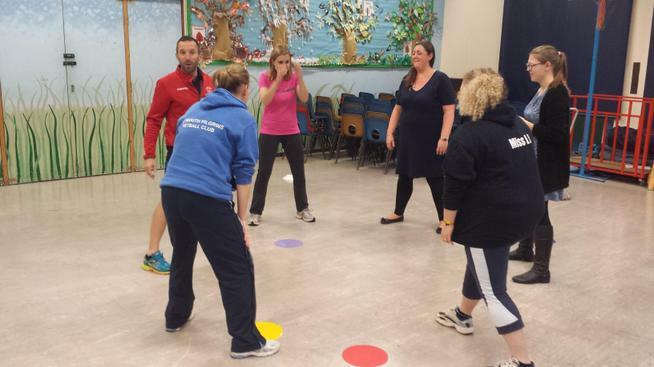 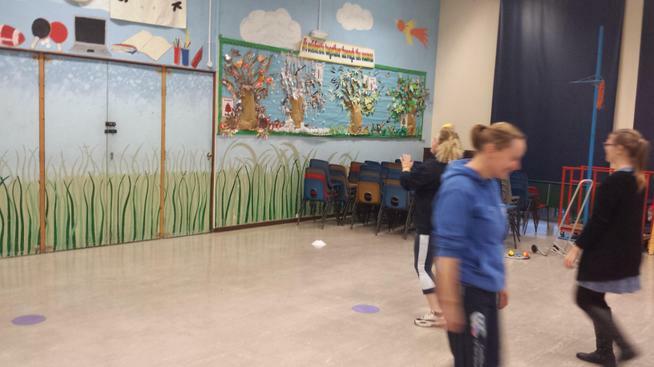 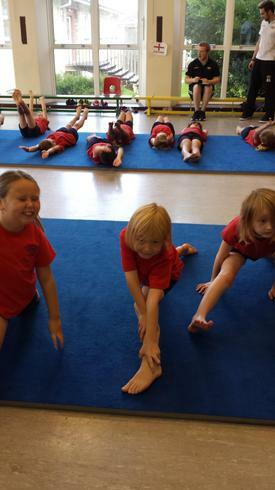 #Y4 teach our #YAPeerLeaders their dance routine ready for the #C4L #PlaygroundChallenges! 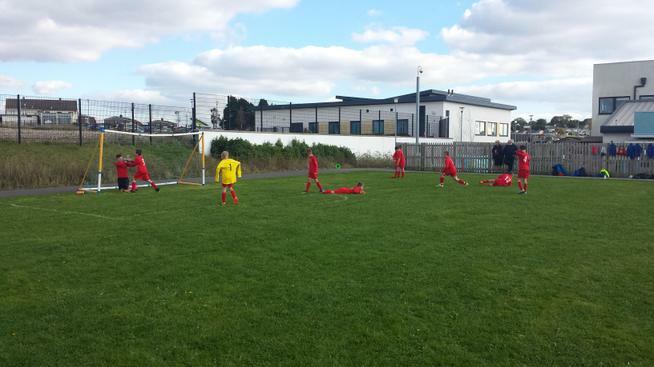 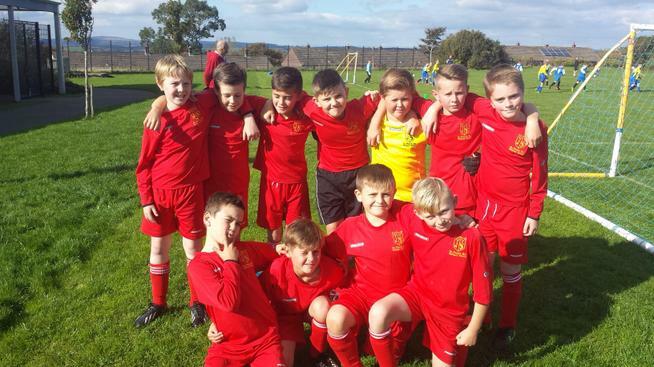 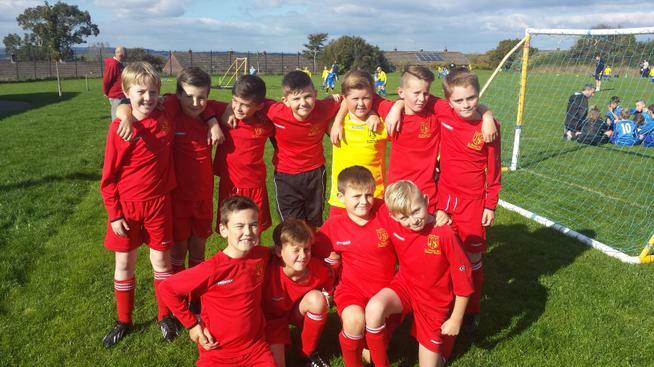 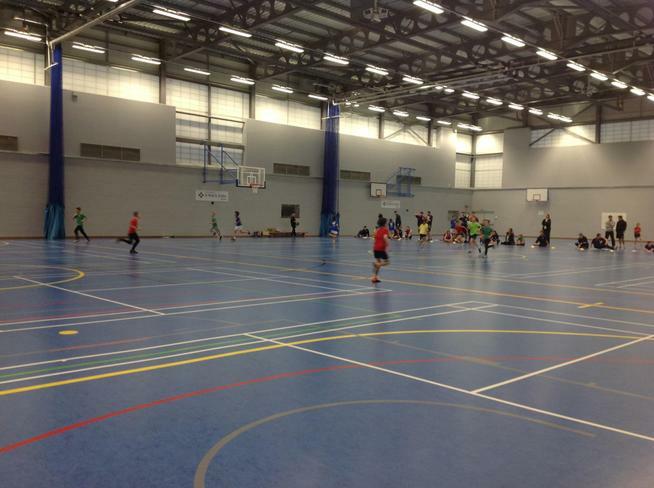 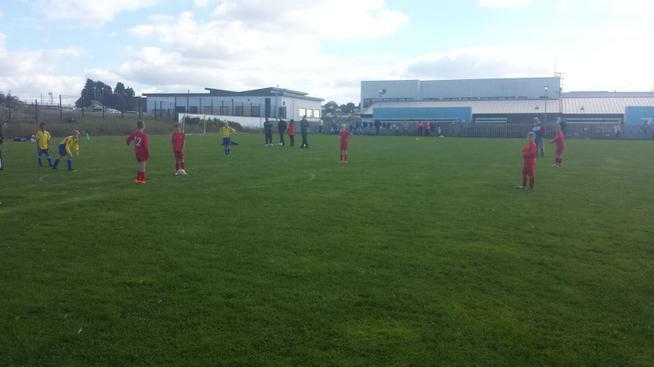 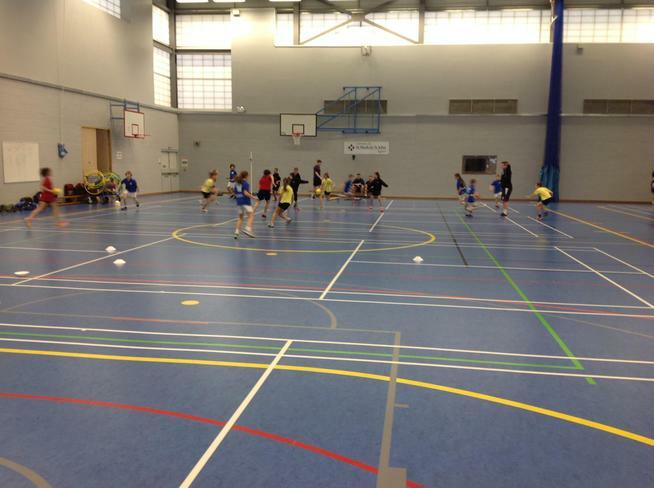 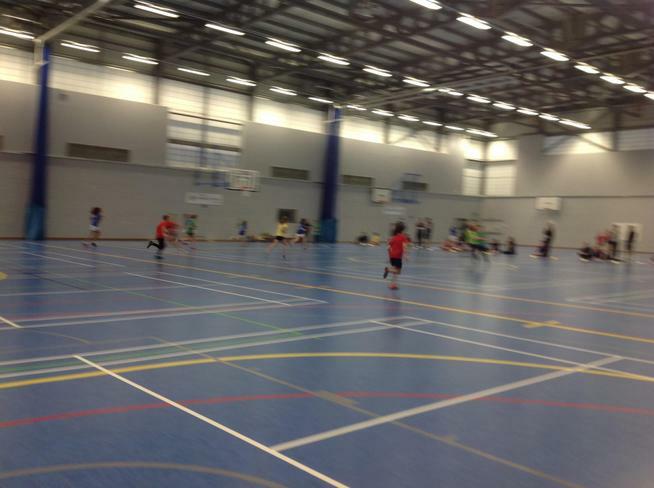 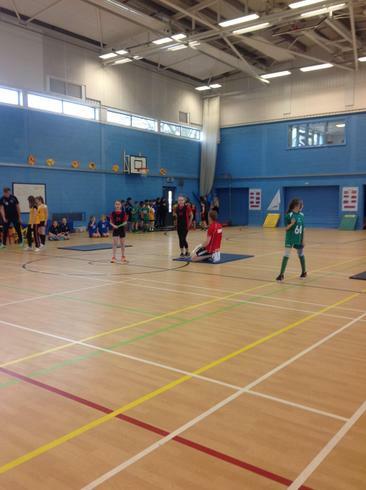 Primary & Special Schools Football @ Goals, Nov '15 Please see the attached link for the report on the Goals Football competition from Wednesday. 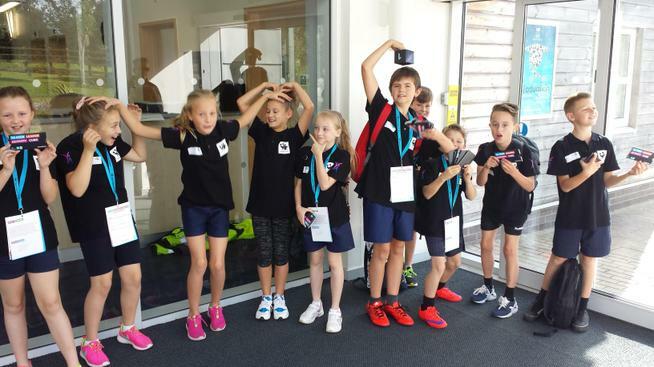 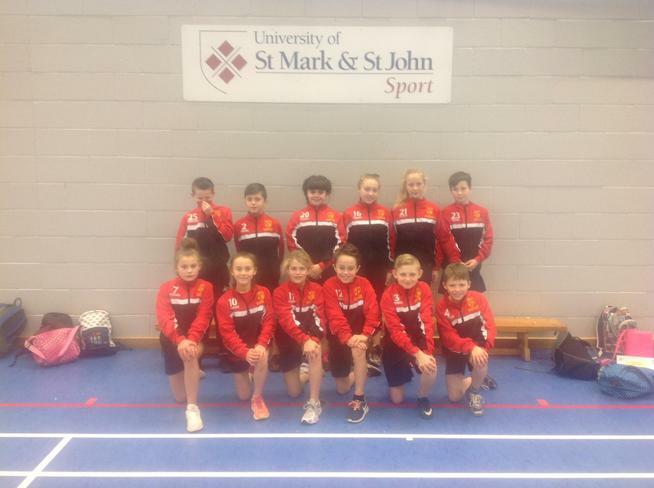 A massive congratulations to the participants that represented St Peter's RC with the upmost maturity and continually demonstrated the six Spirit of the Games values of: Determination, Selfbelief, Honesty, Teamwork, Passion and Respect. 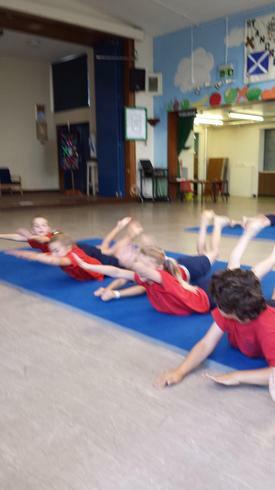 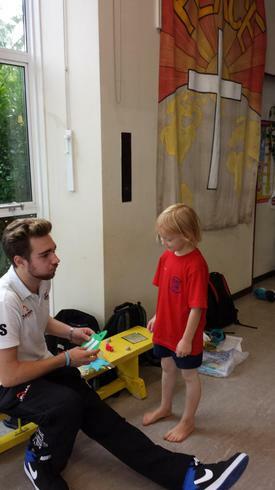 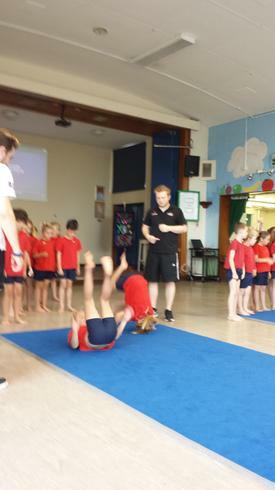 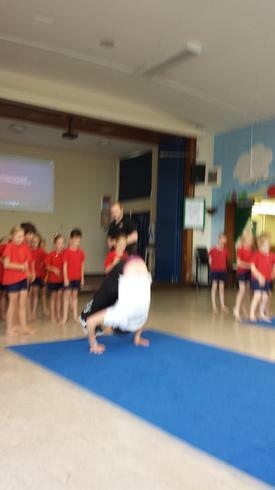 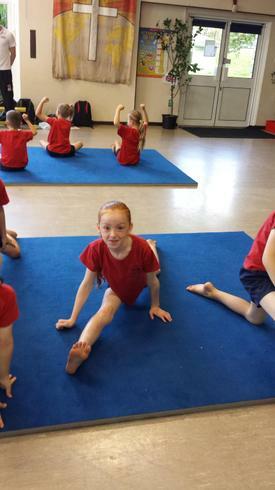 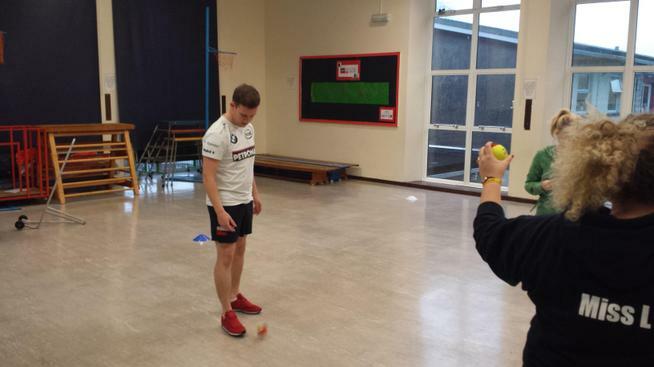 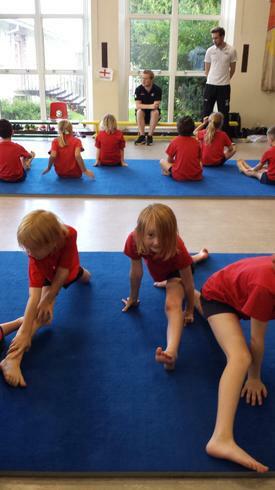 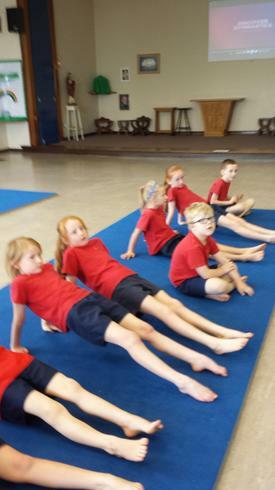 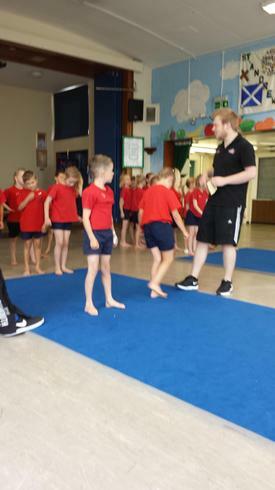 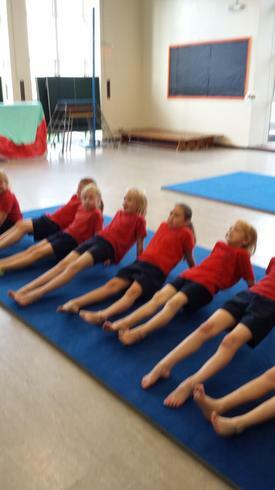 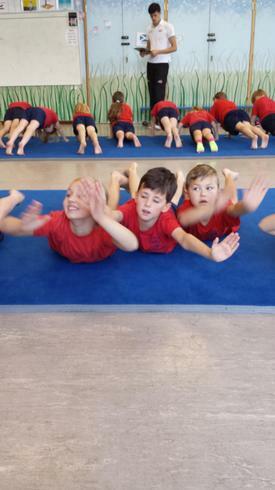 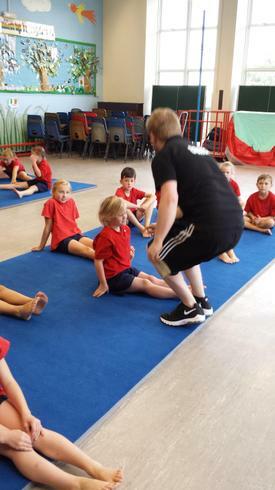 Mr Ballett was very impressed! 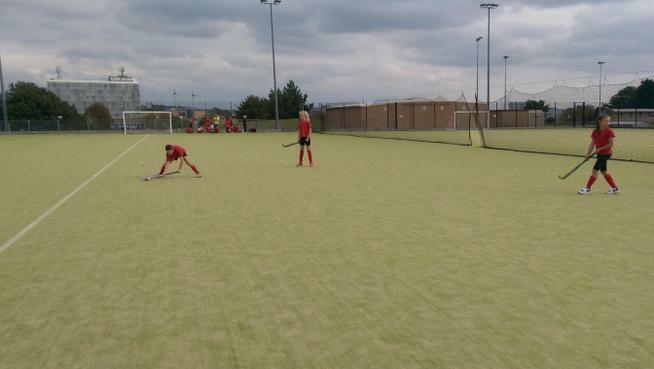 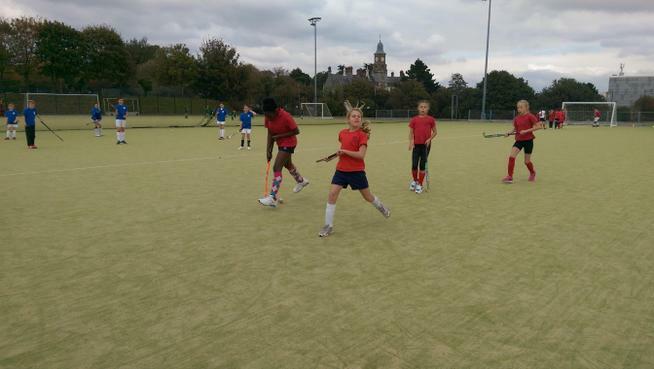 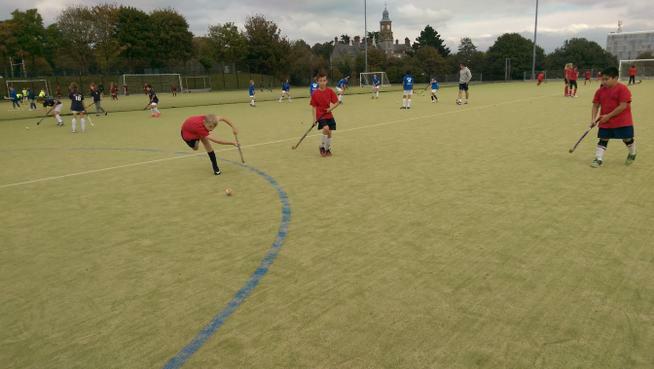 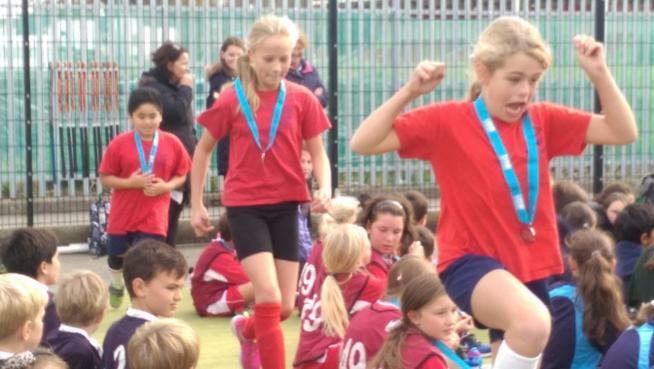 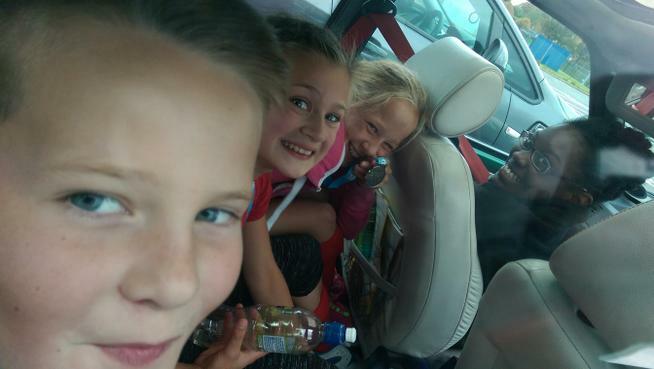 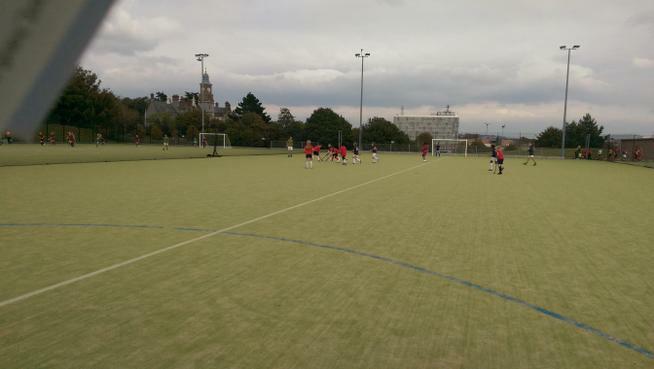 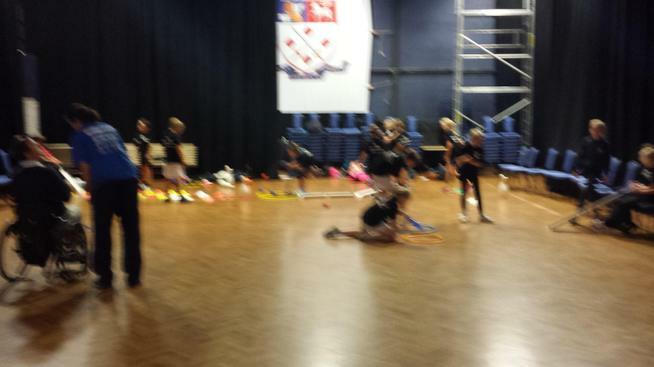 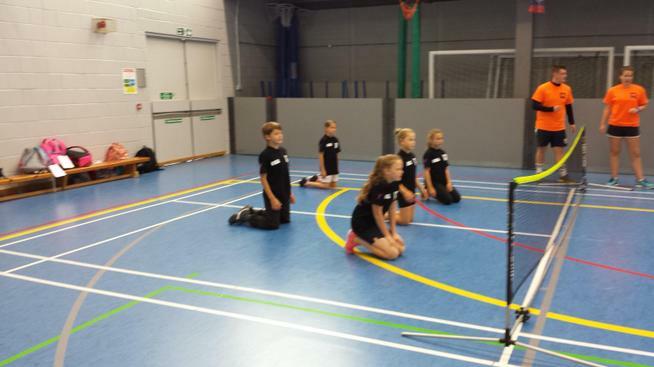 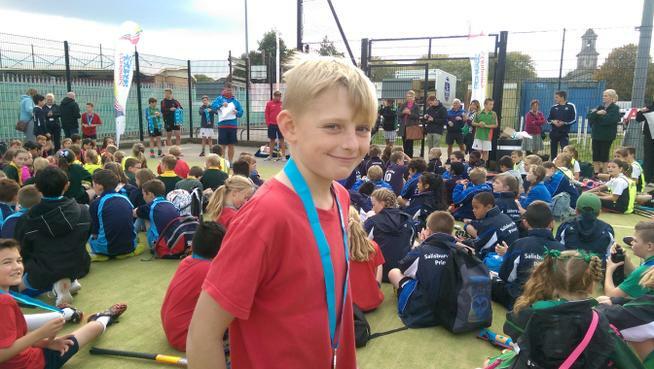 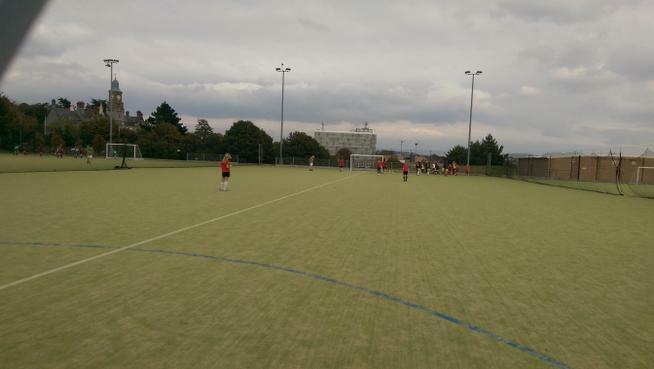 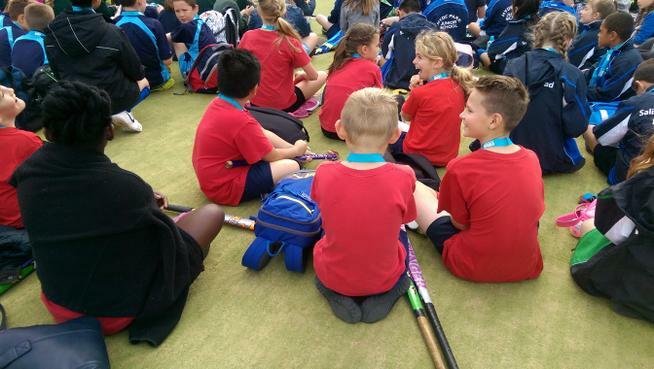 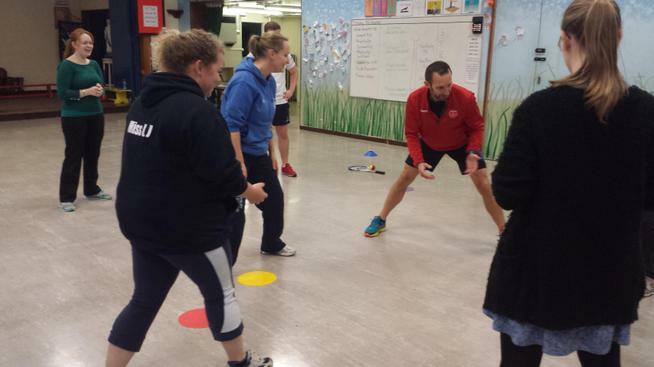 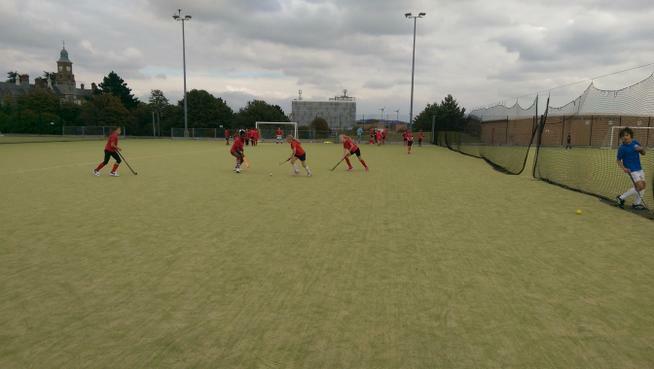 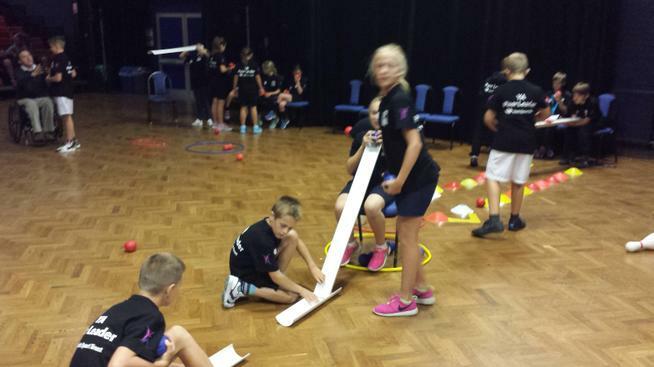 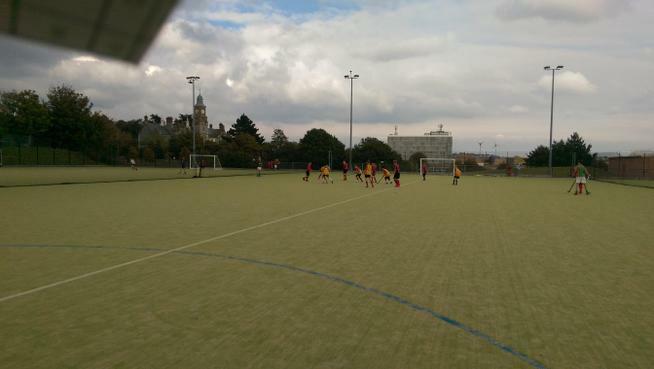 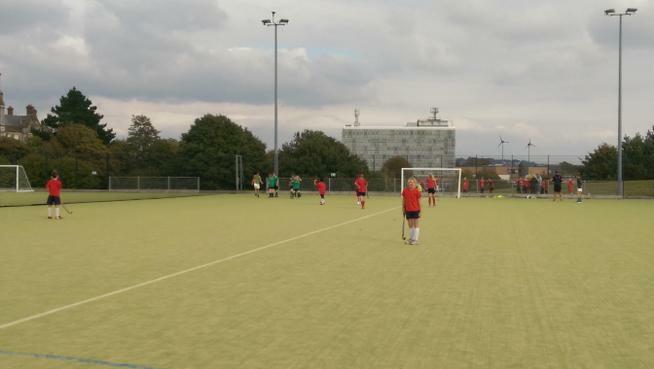 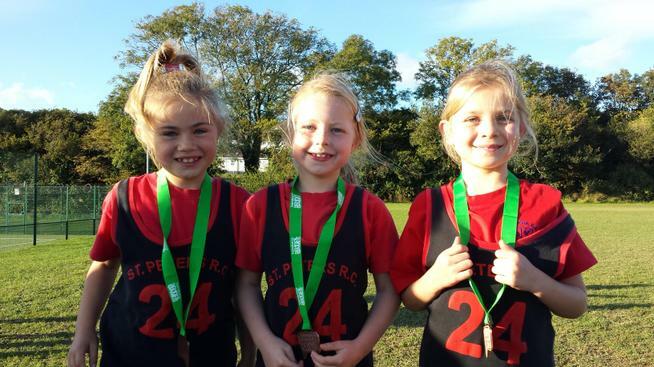 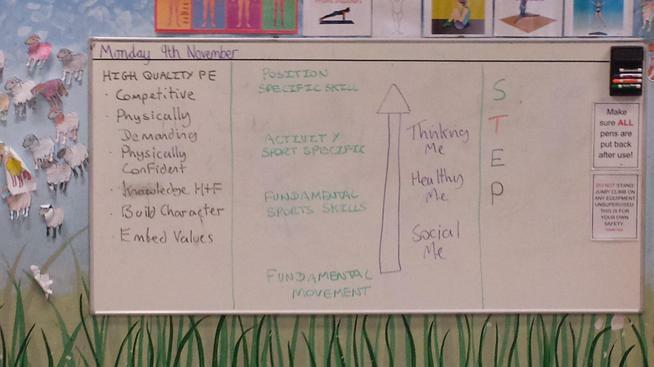 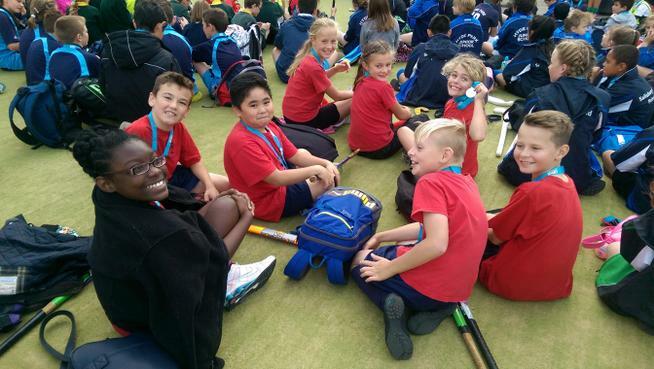 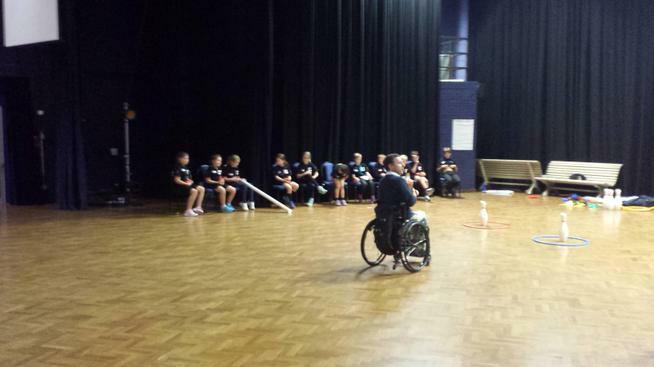 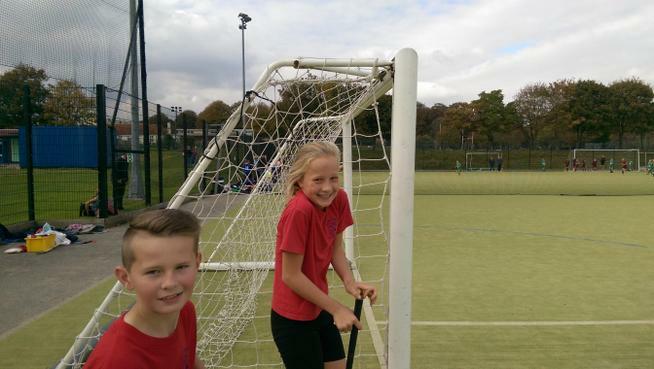 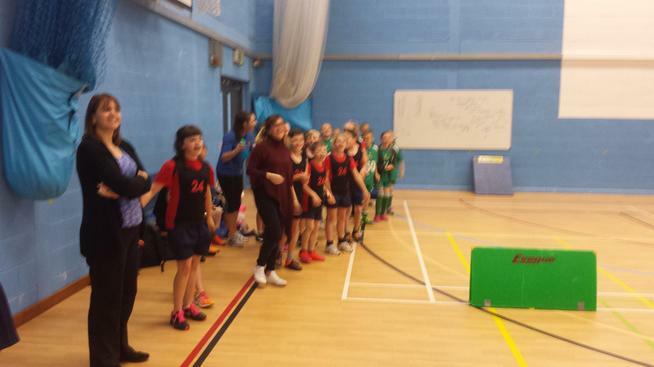 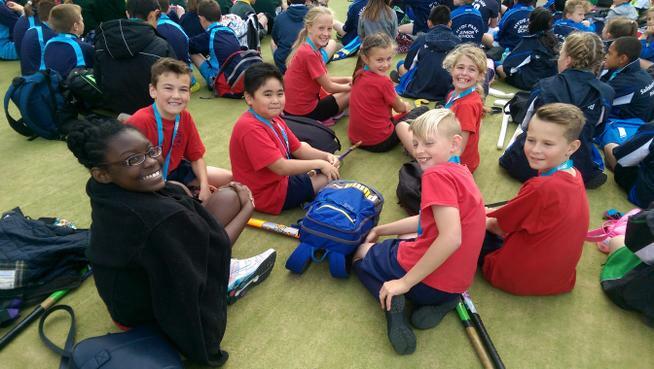 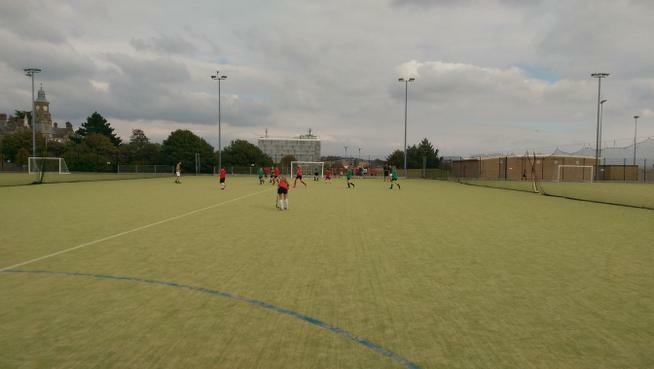 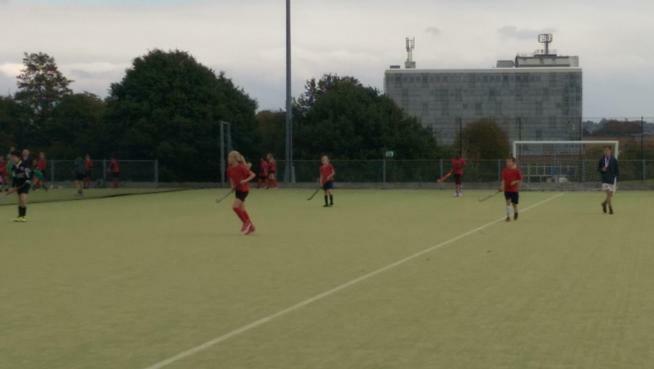 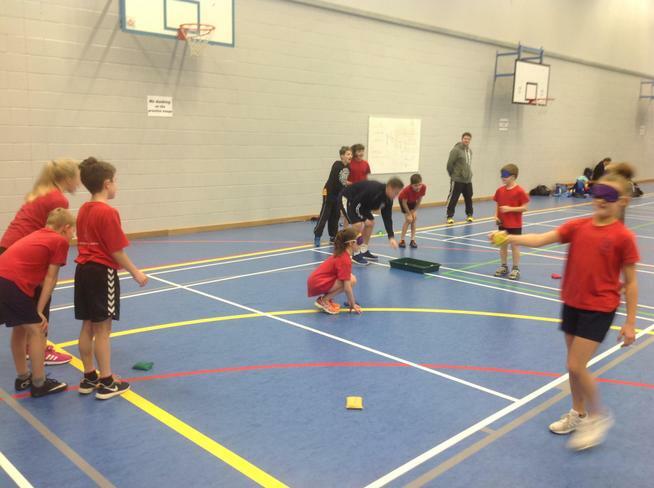 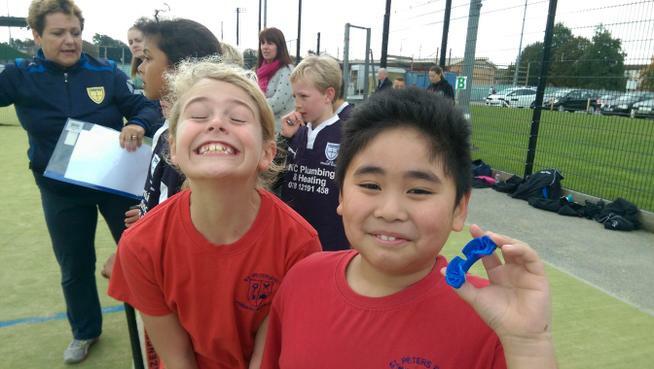 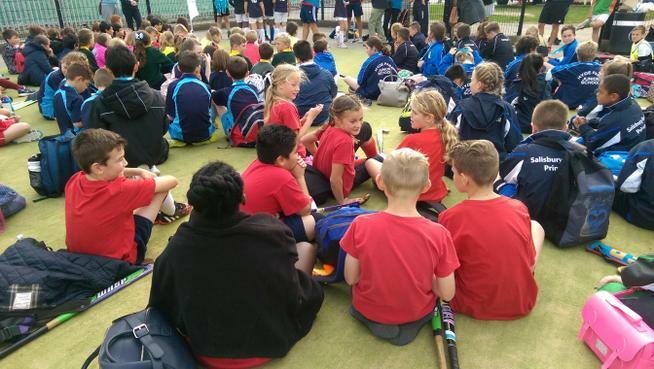 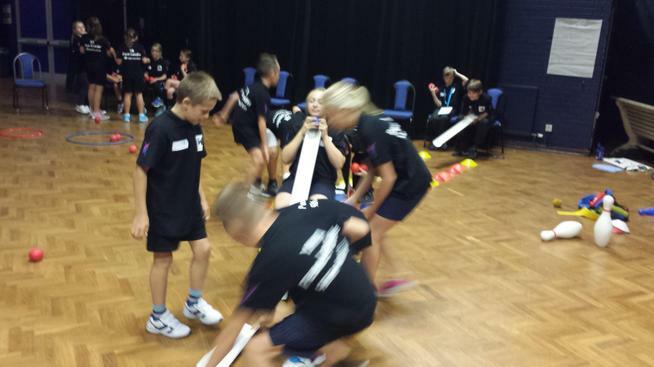 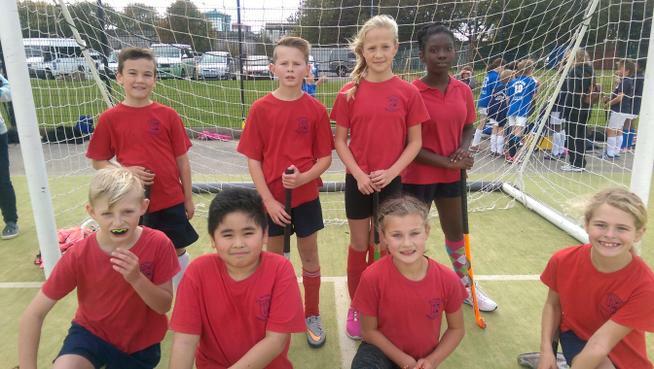 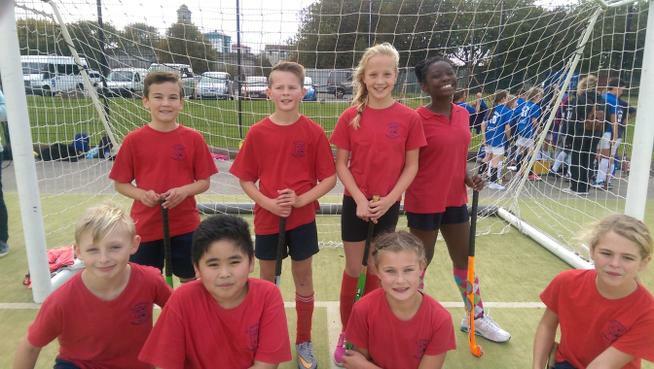 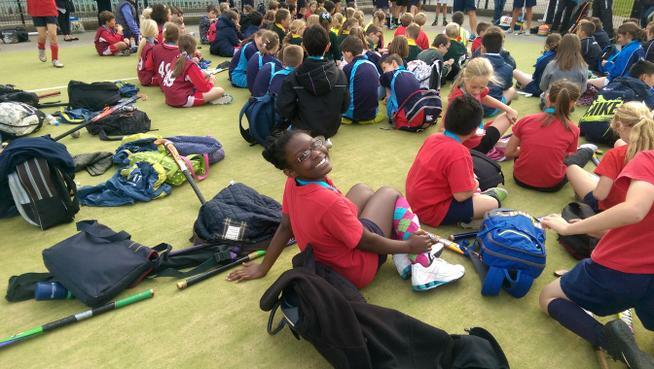 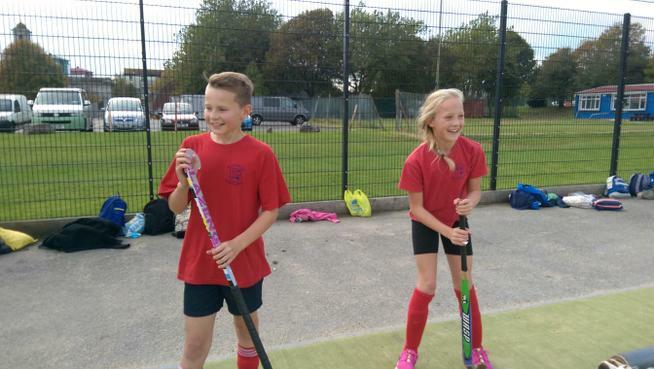 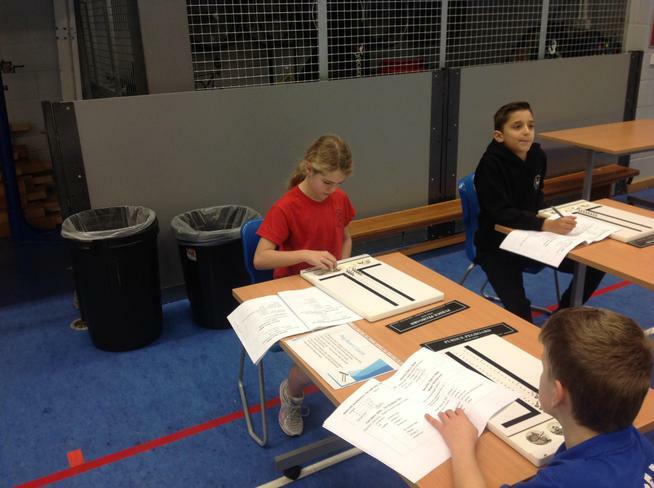 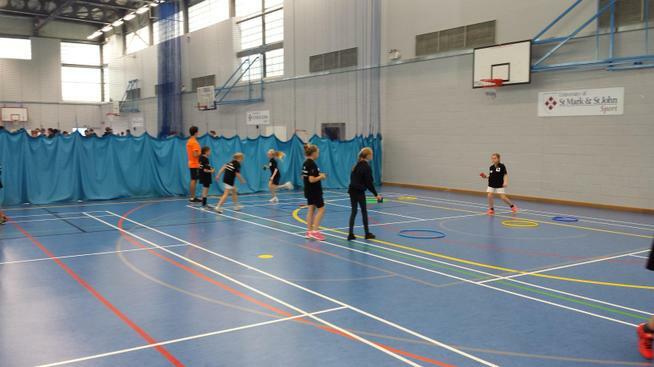 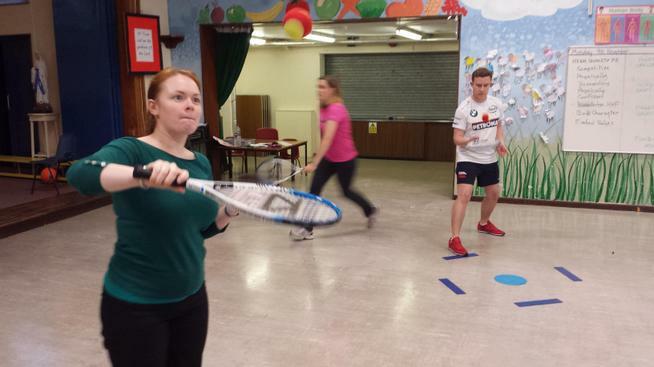 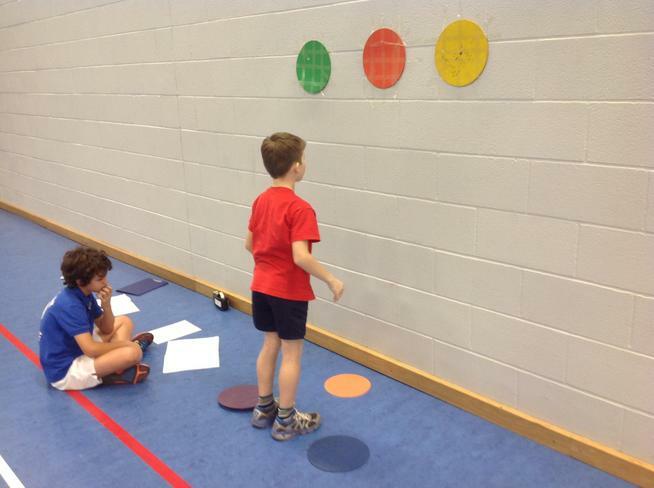 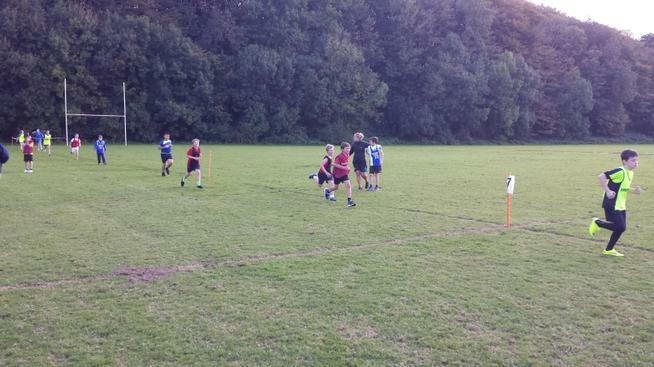 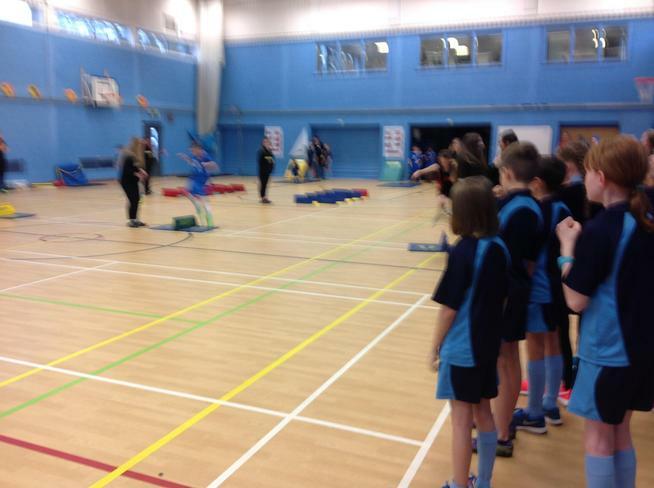 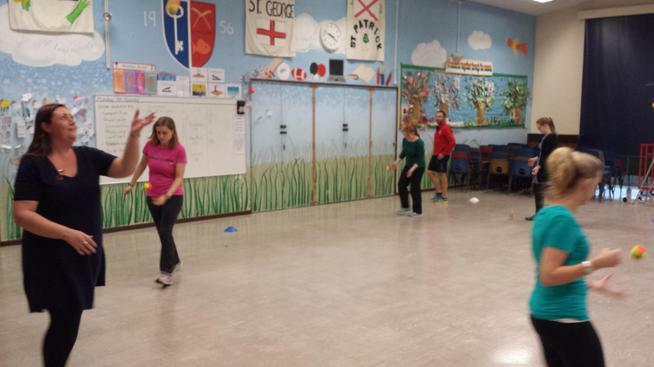 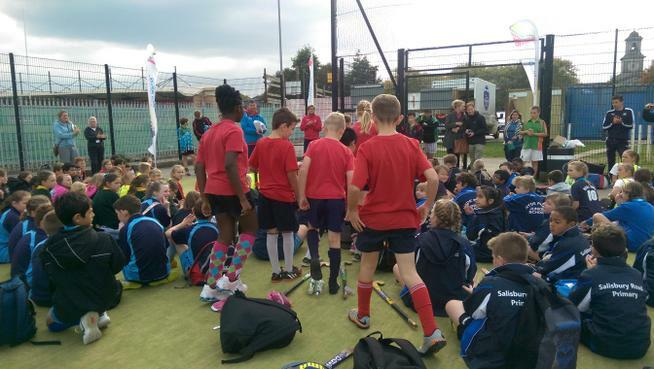 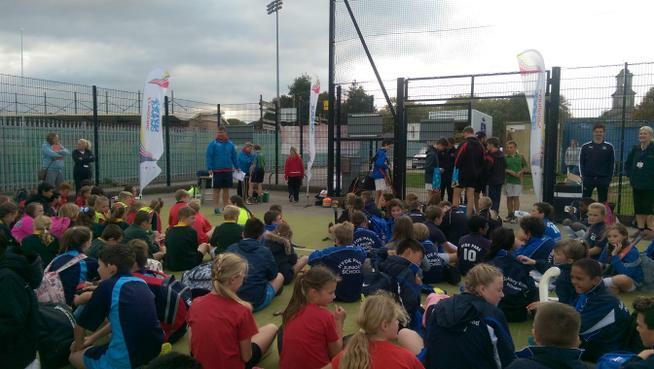 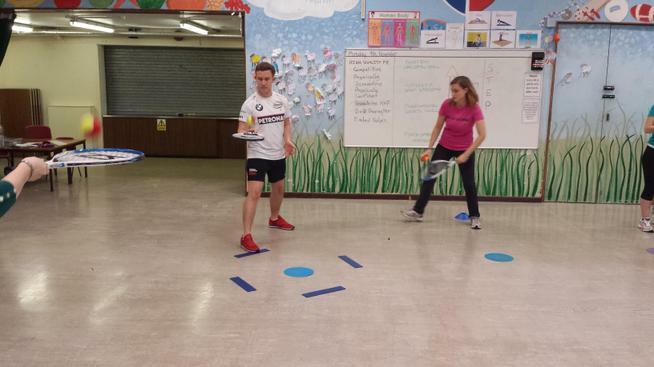 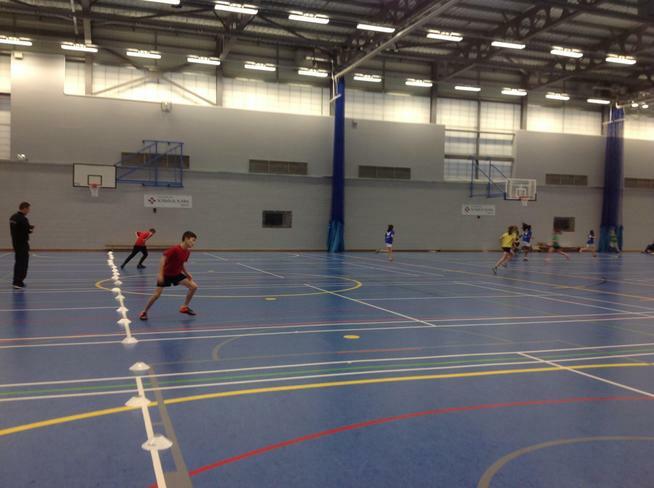 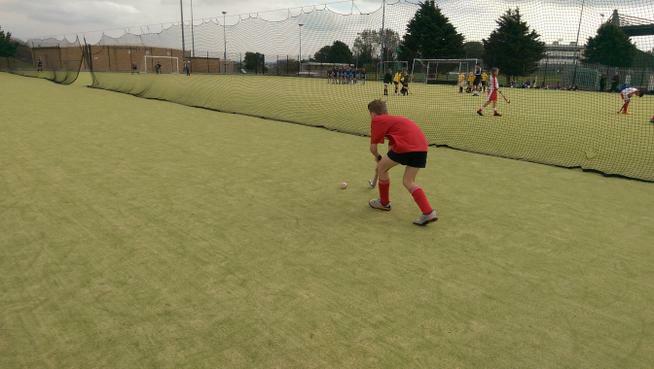 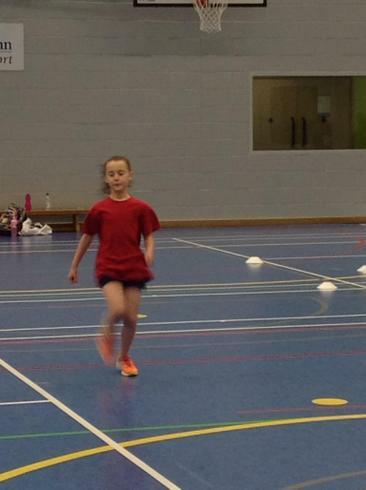 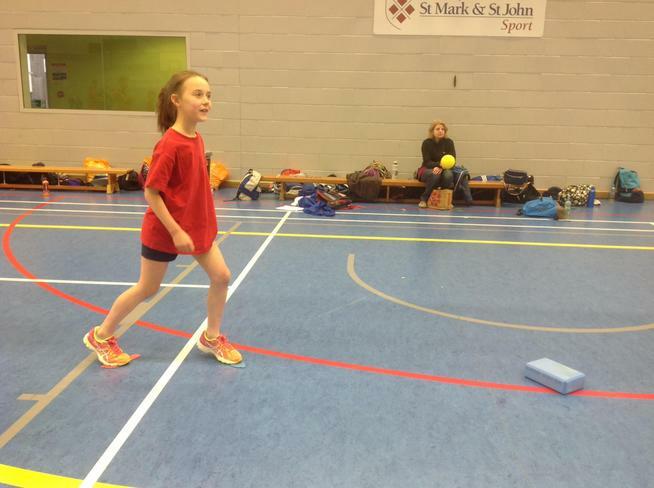 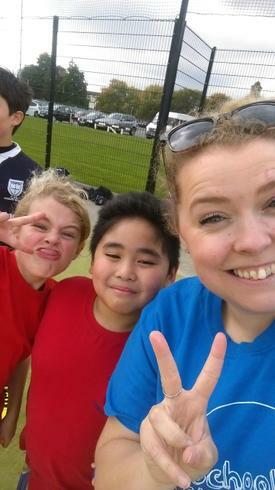 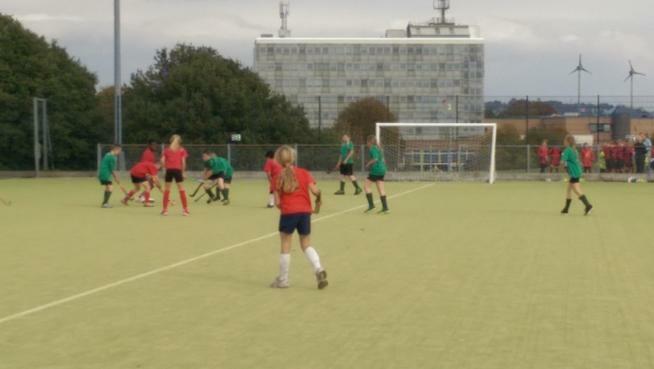 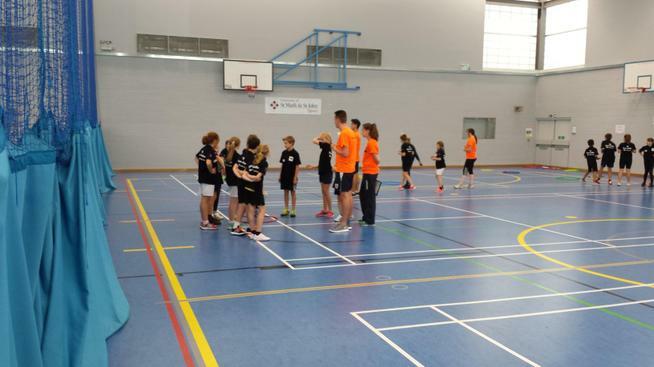 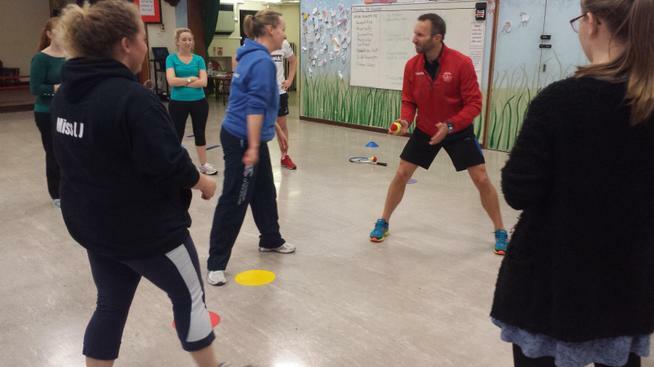 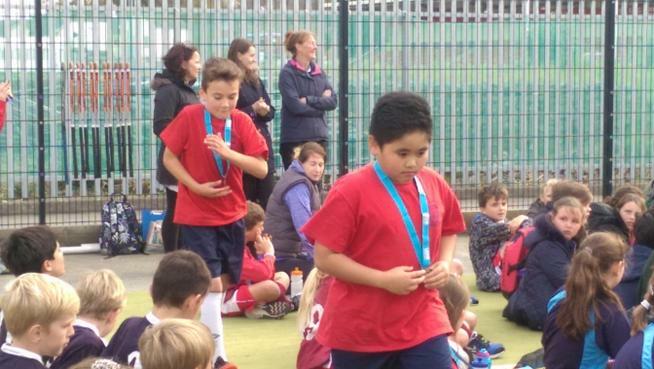 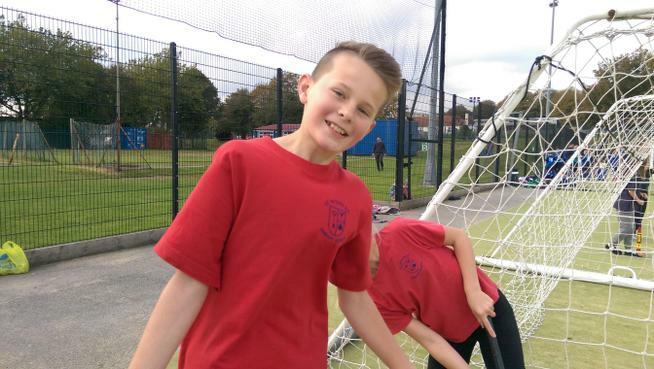 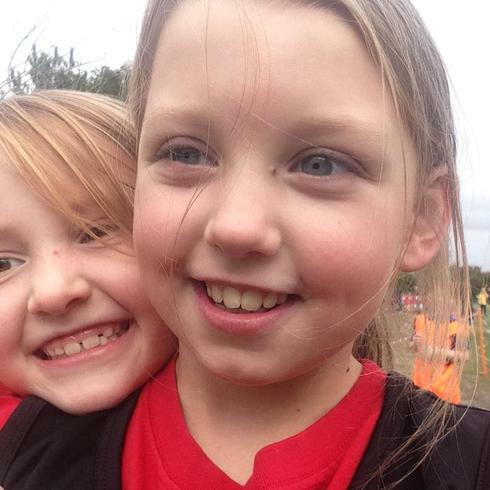 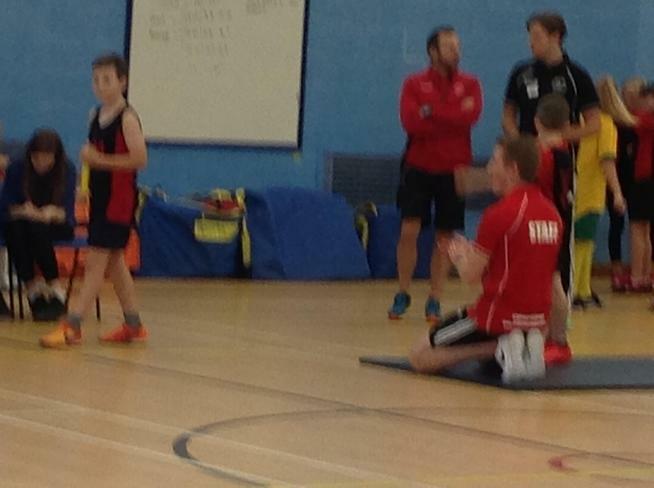 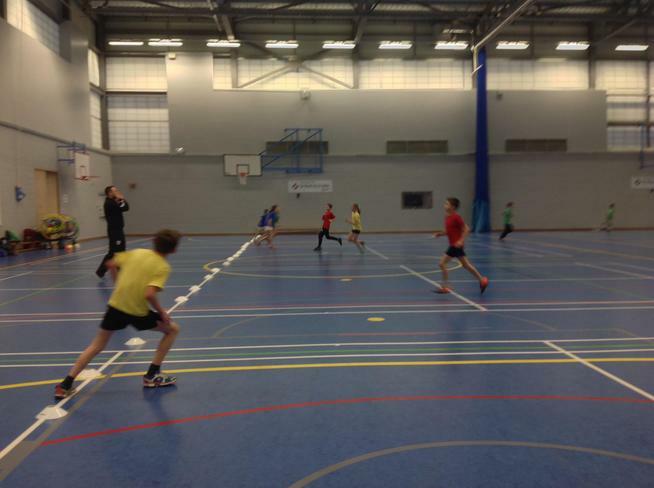 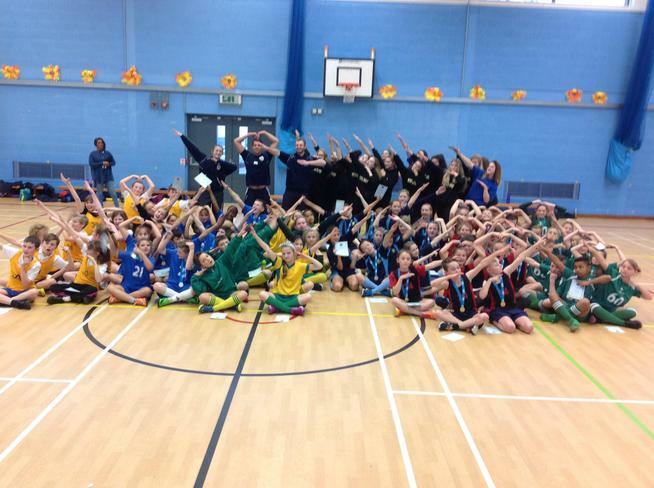 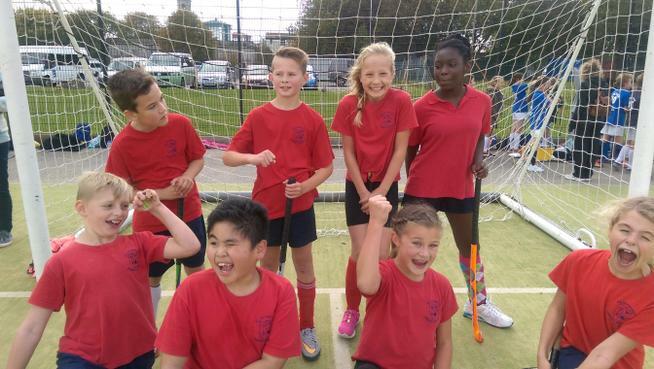 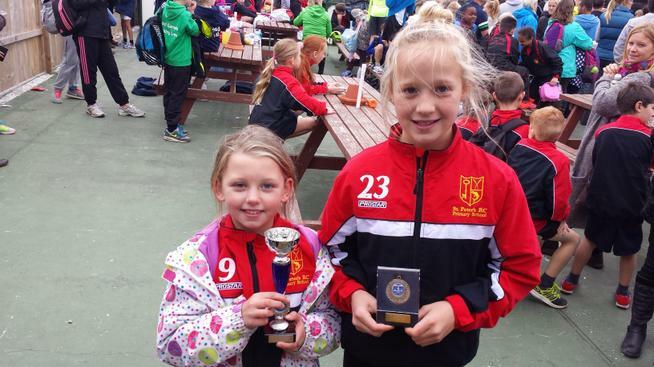 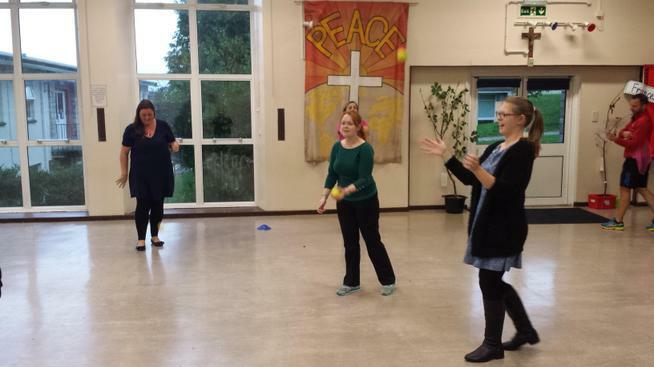 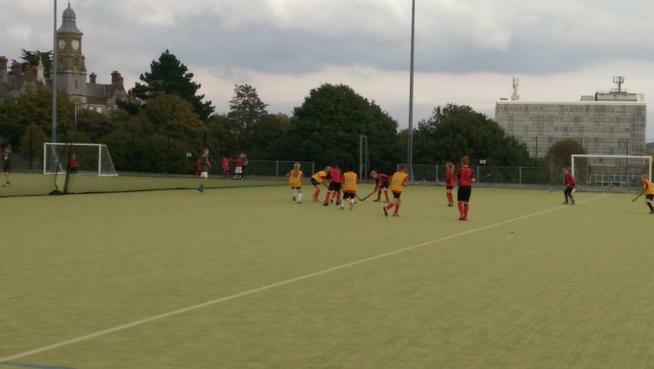 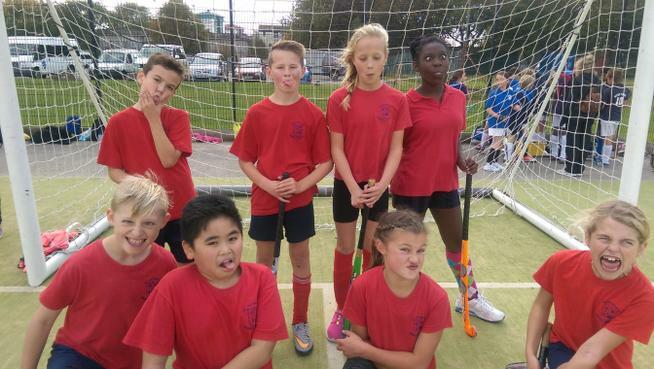 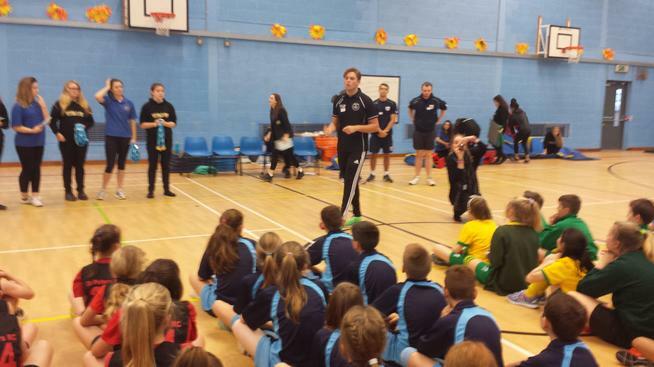 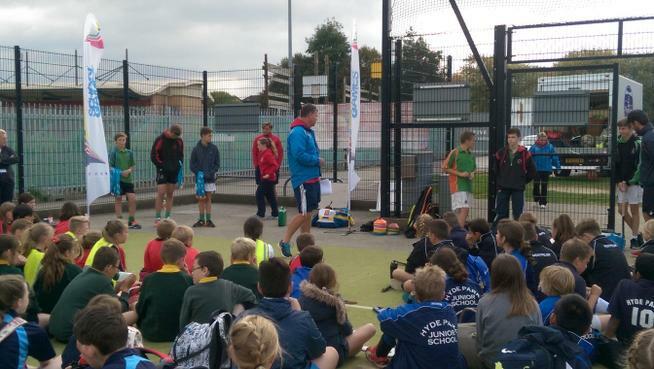 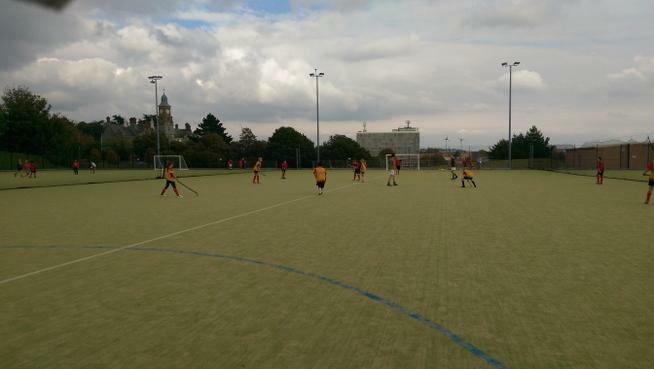 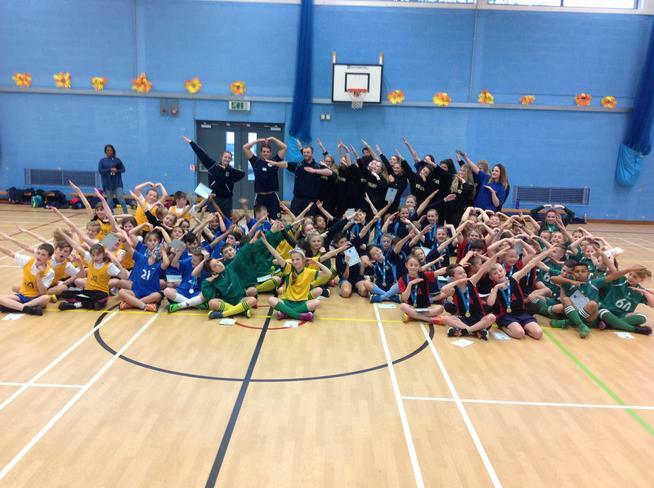 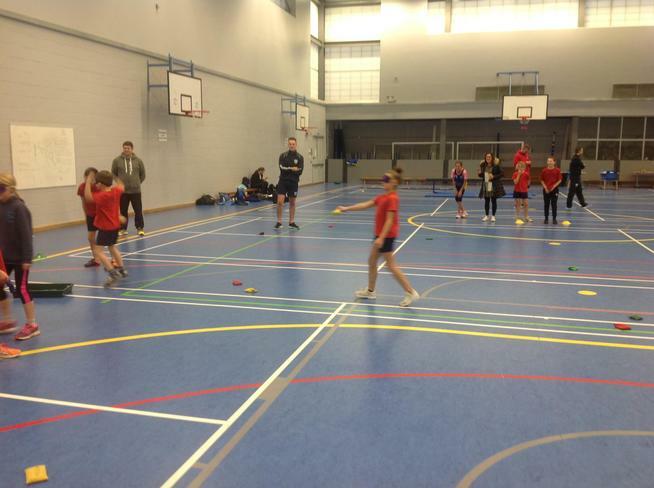 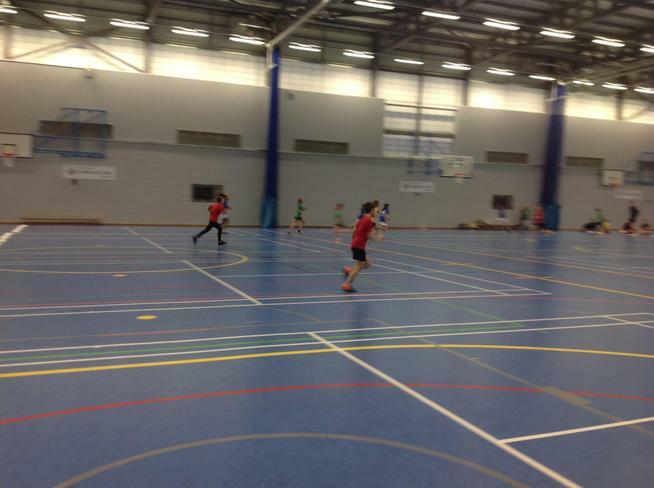 Quicksticks Hockey @ The Brickfields, Oct '15 Please see the attached link for a report by the Plymouth SSP on last week's Level 2 Hockey festival. 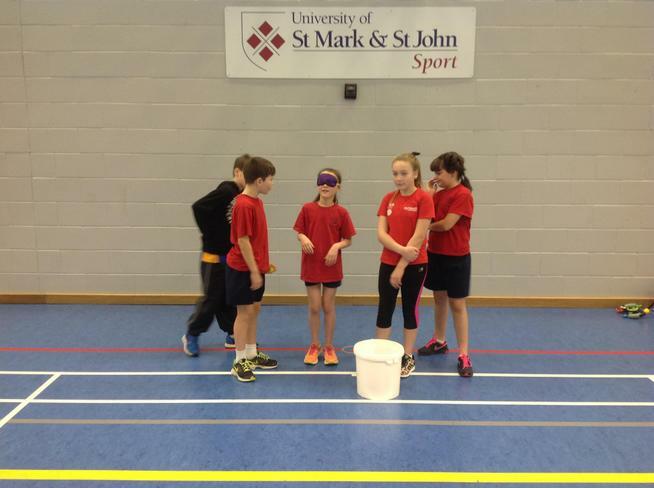 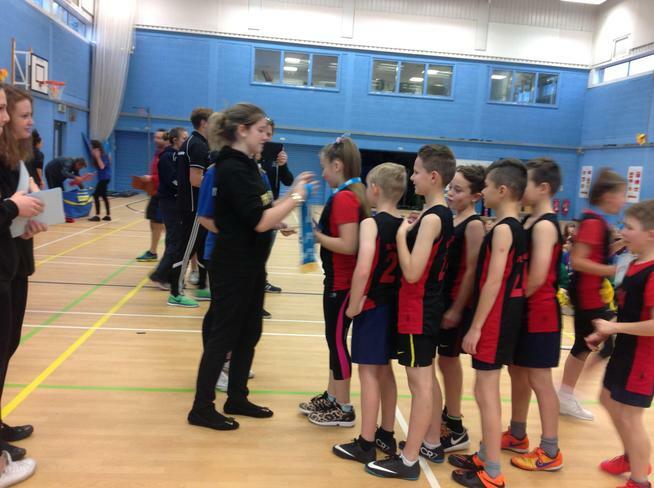 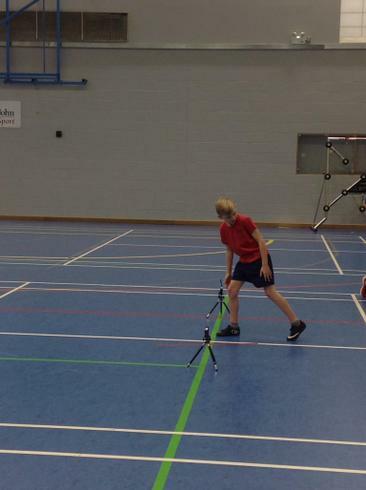 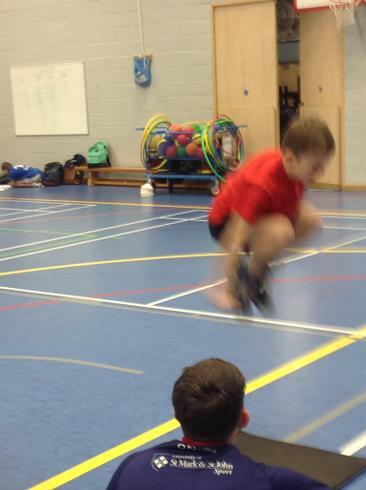 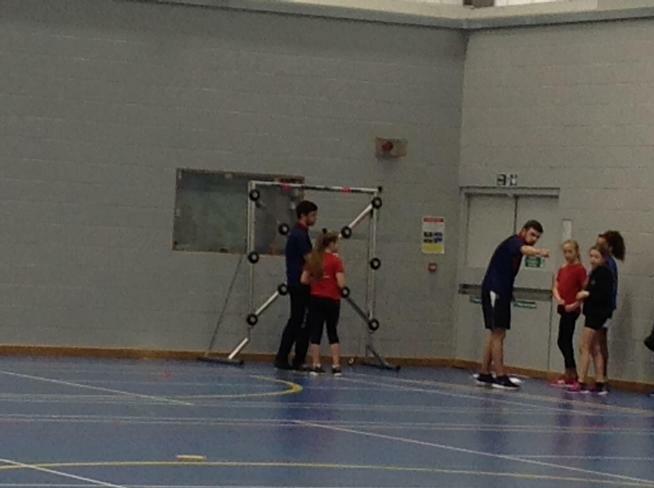 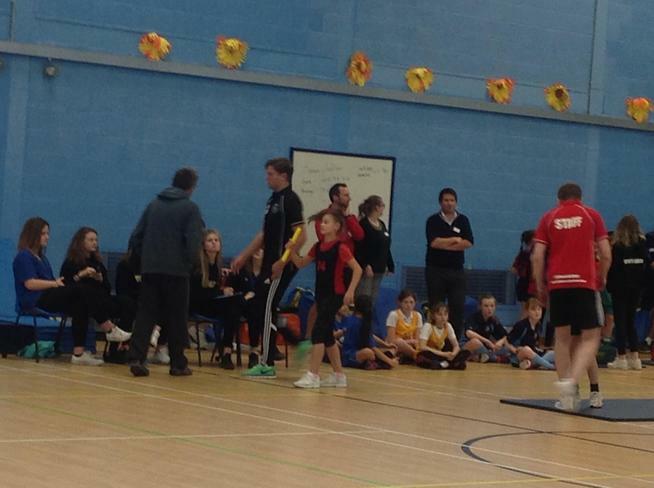 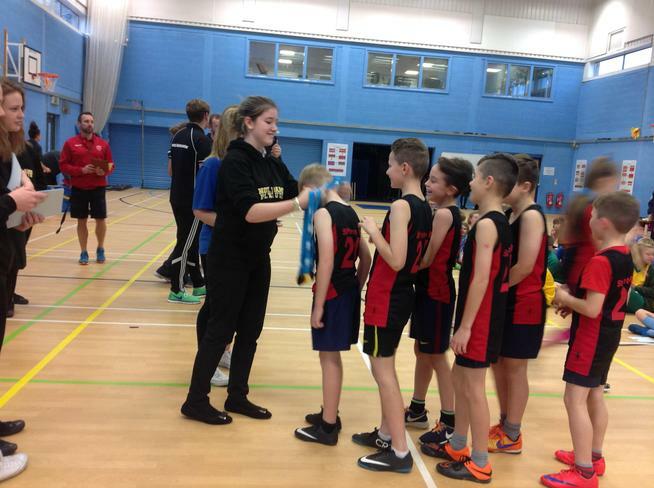 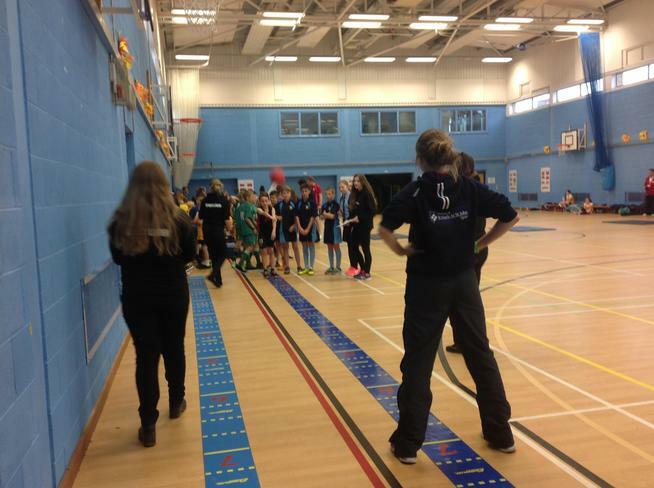 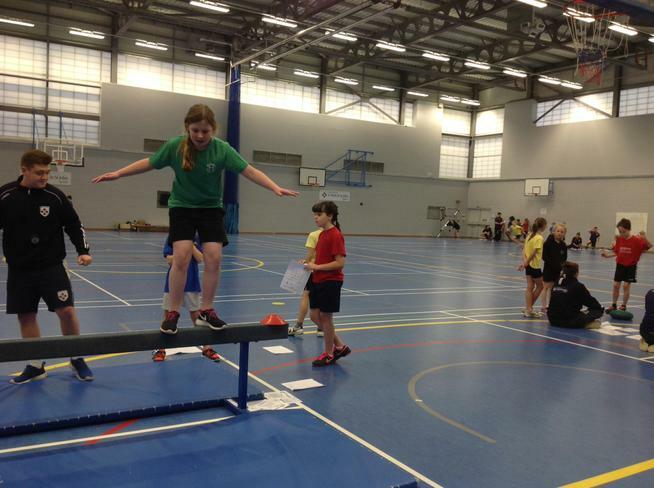 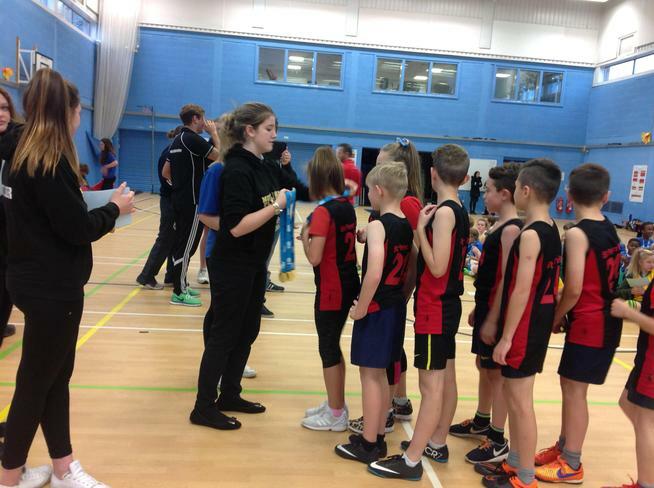 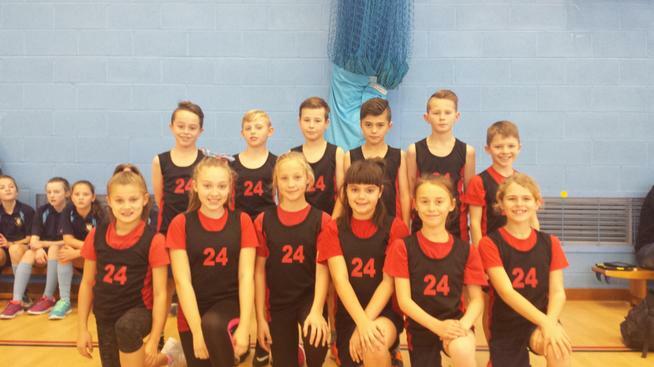 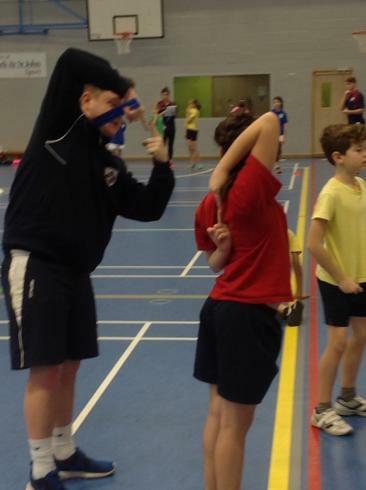 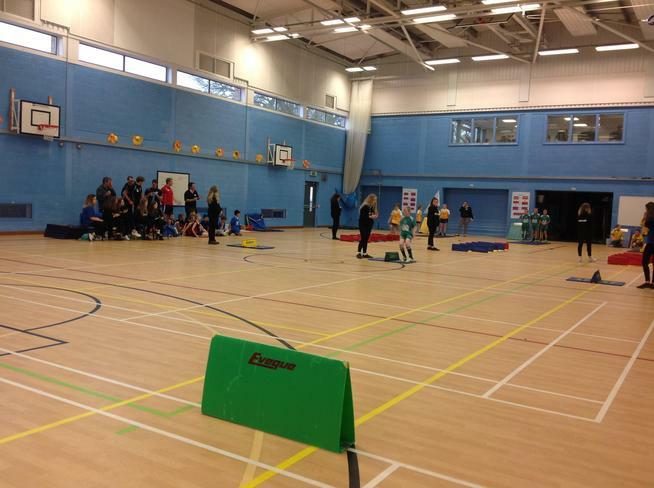 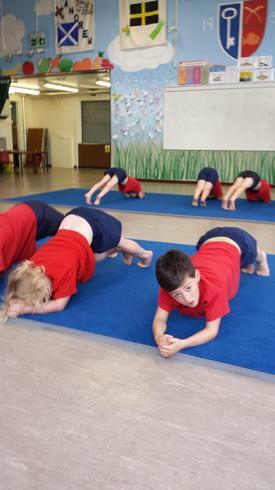 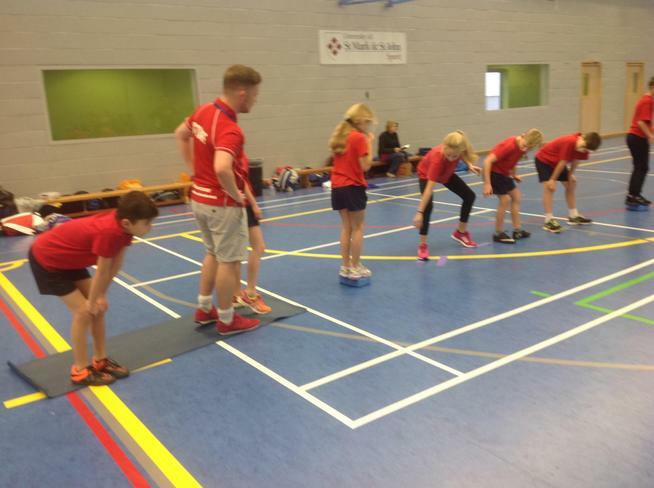 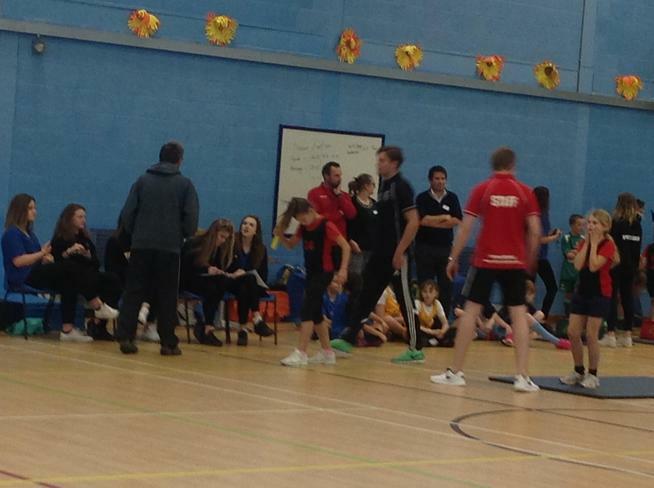 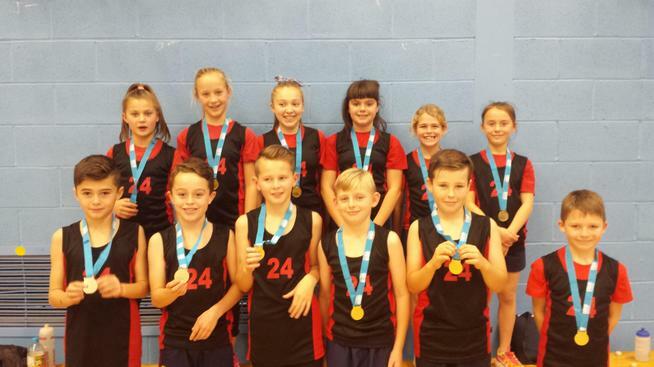 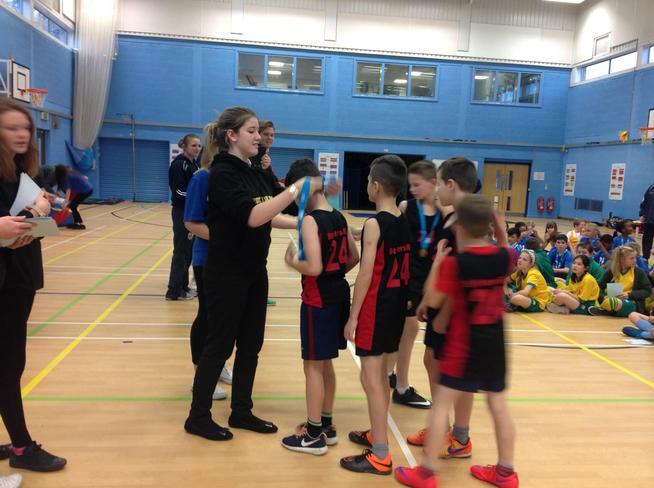 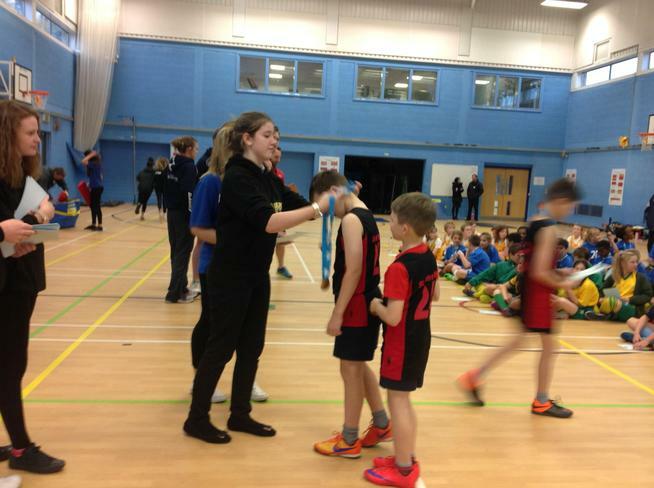 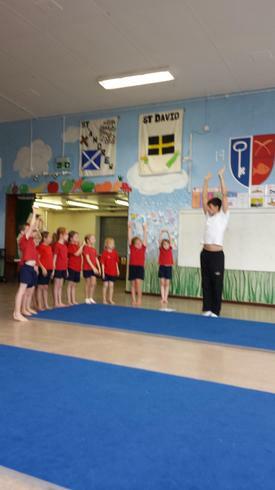 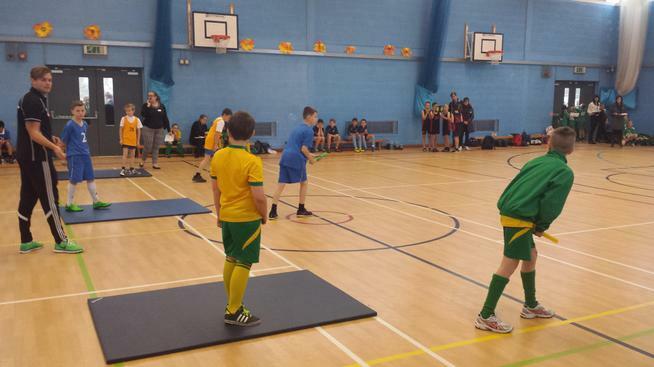 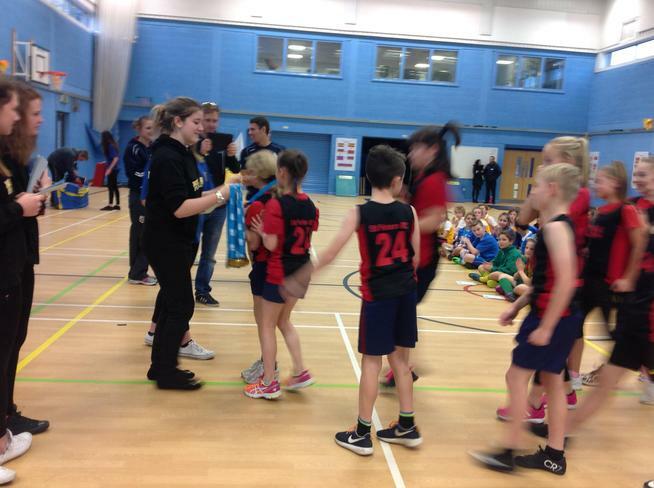 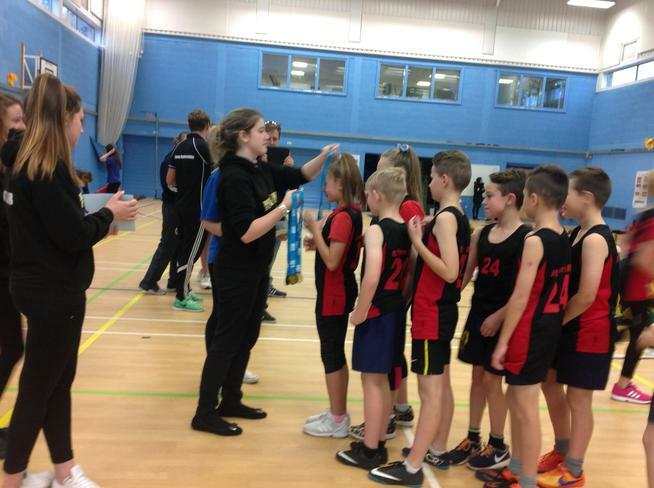 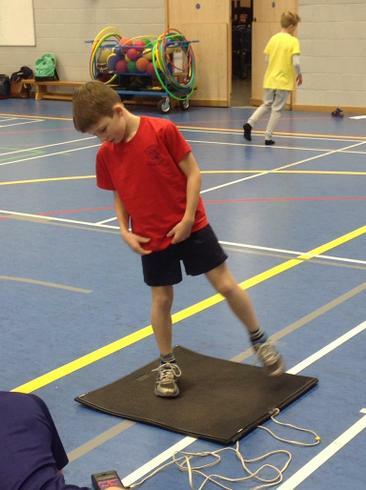 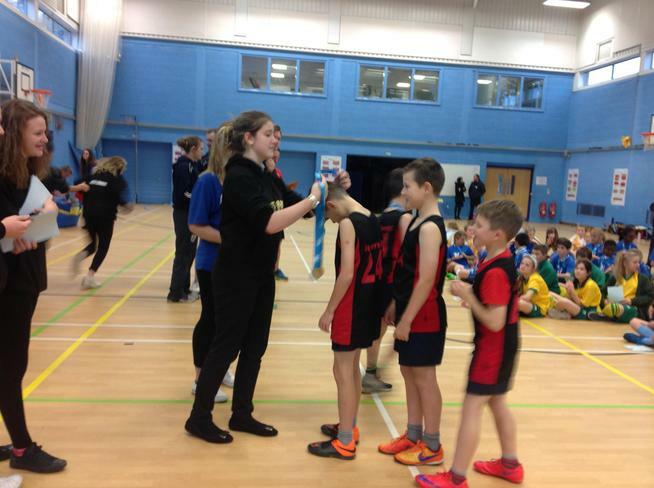 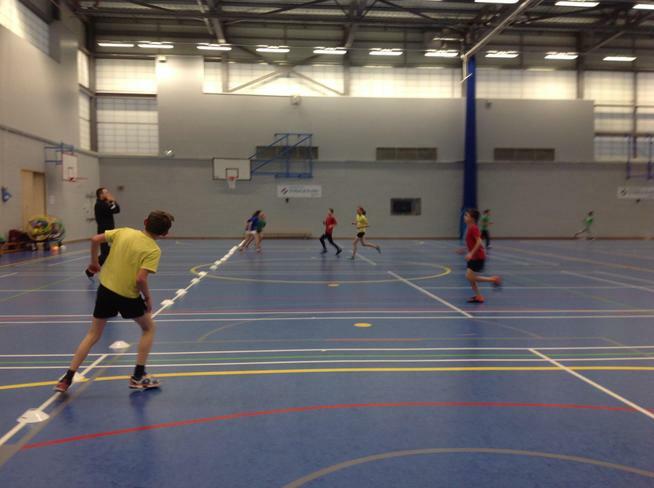 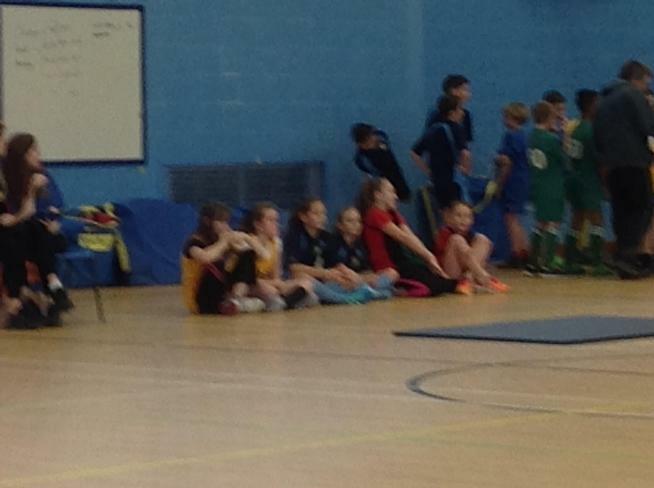 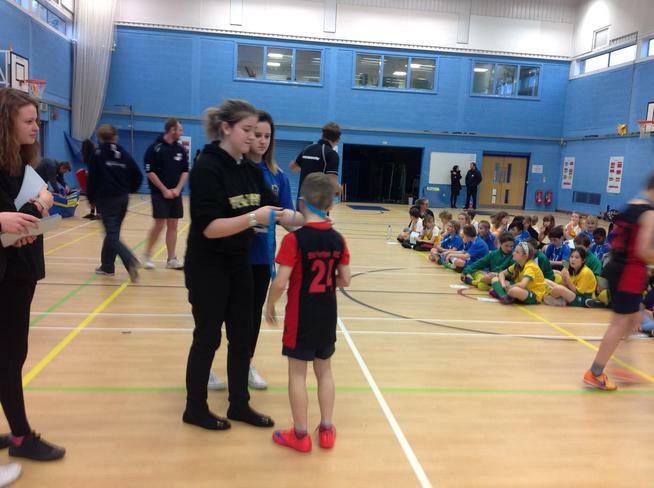 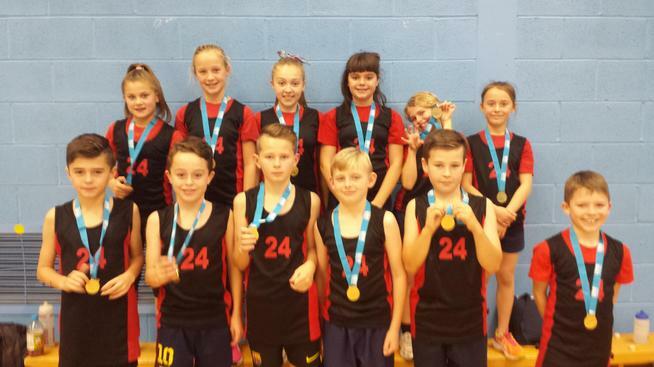 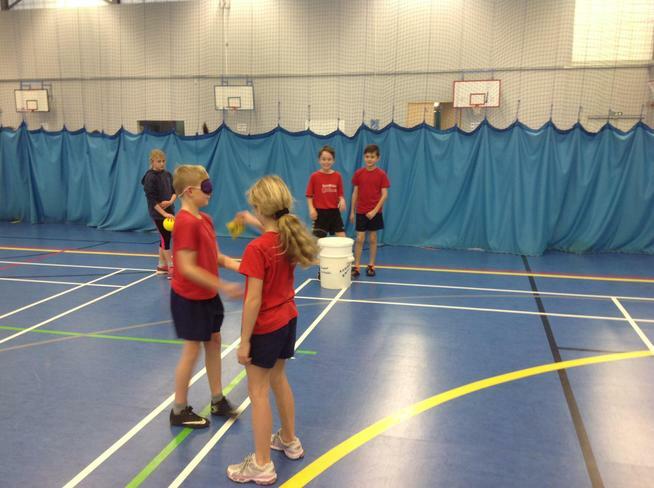 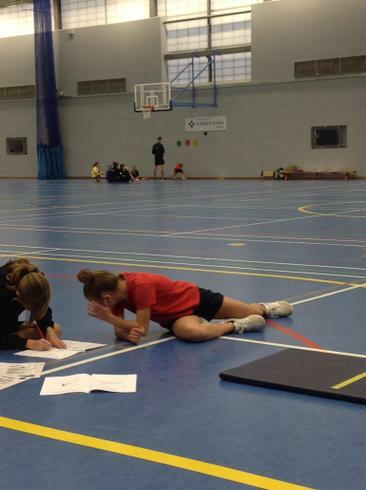 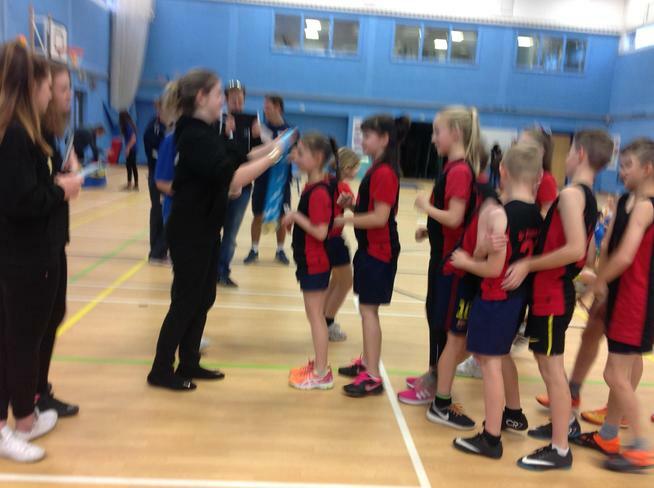 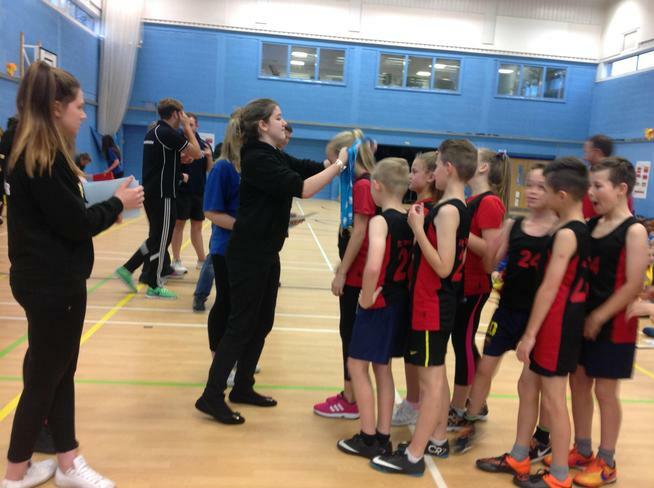 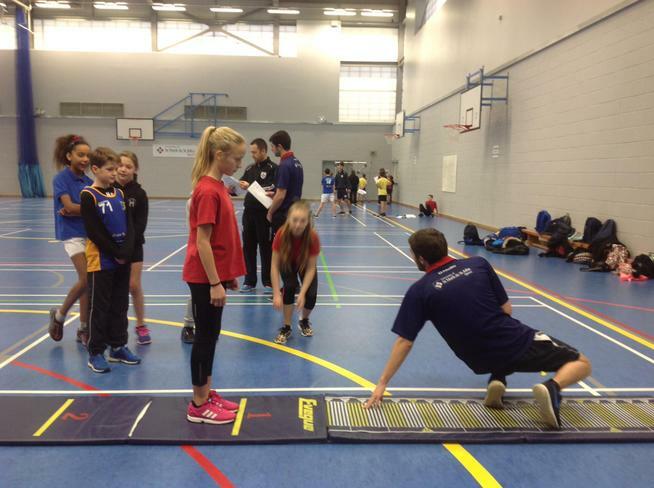 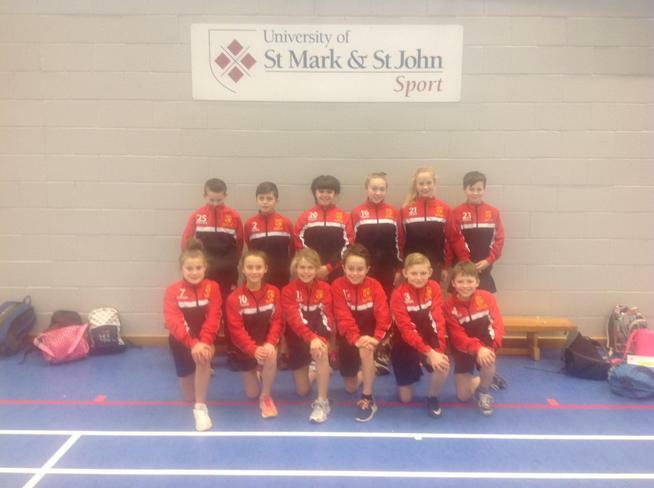 Again, congratulations to the team on their progression to the Level 3 Devon Winter Games in March! 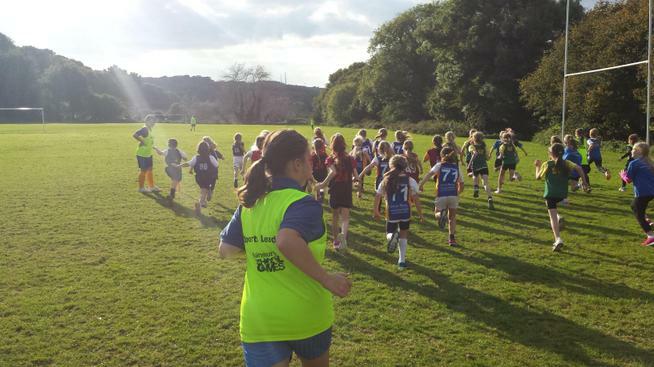 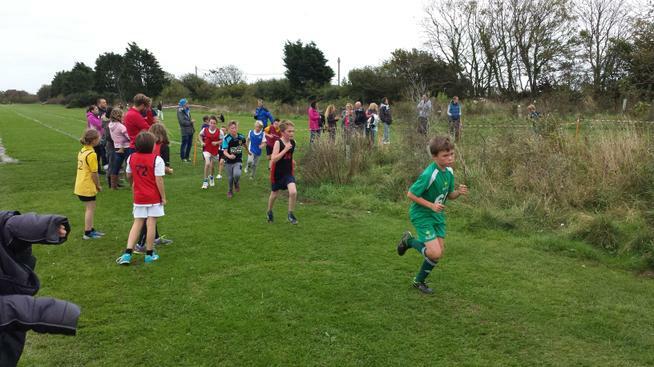 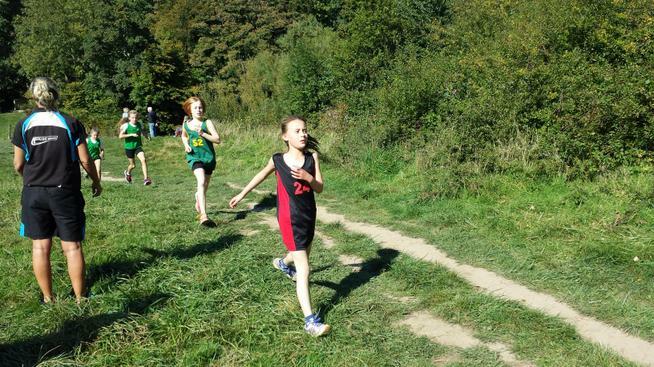 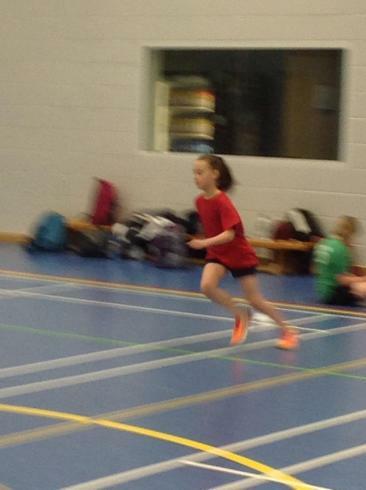 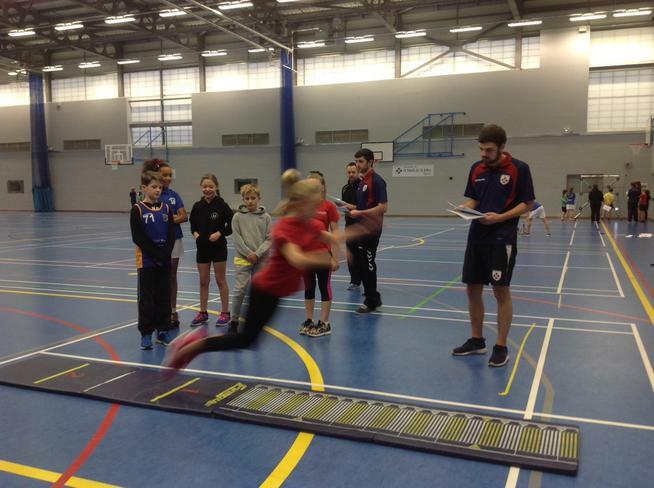 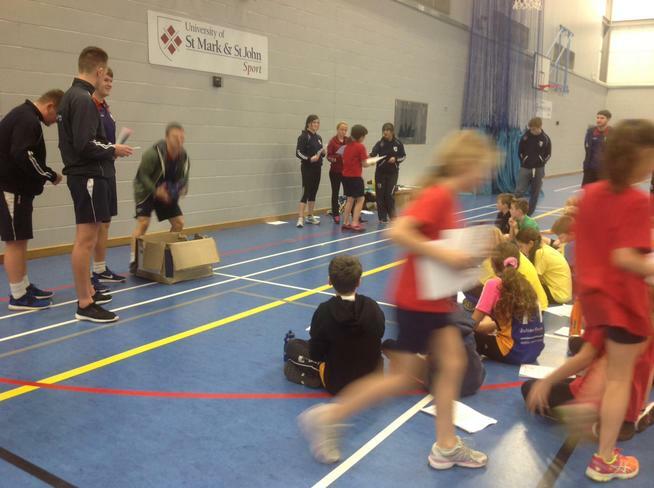 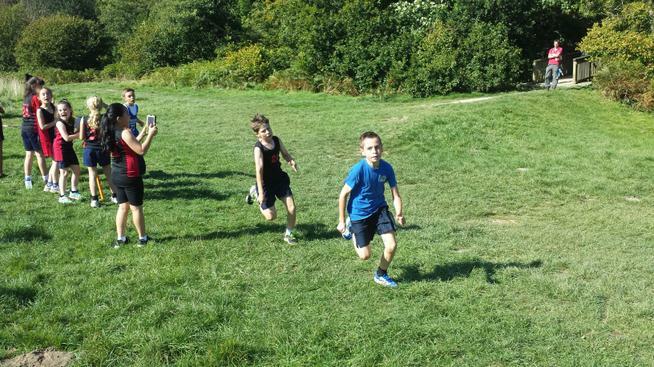 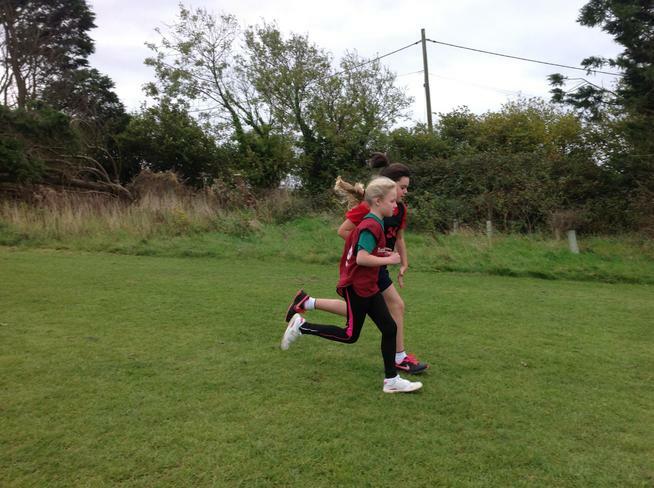 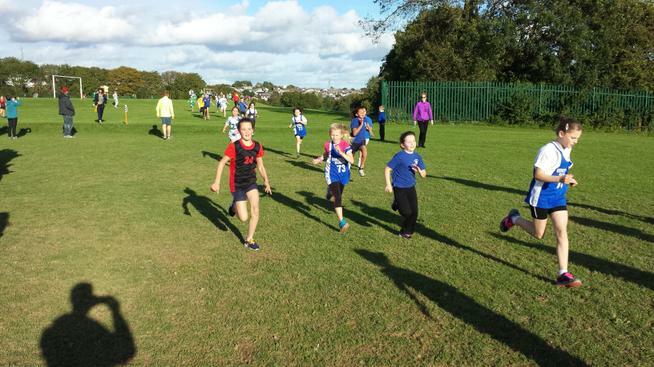 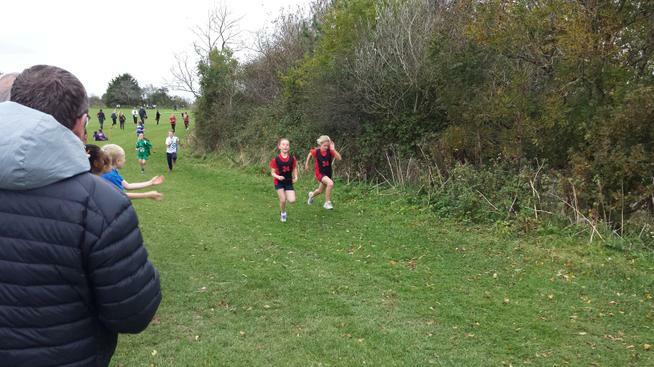 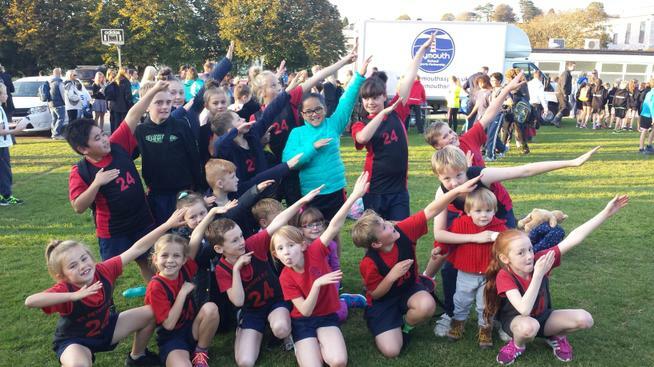 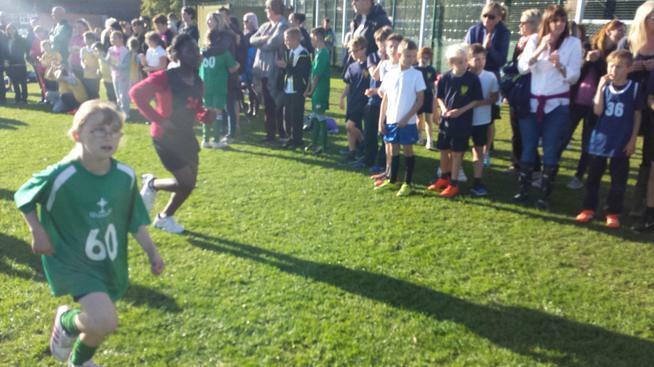 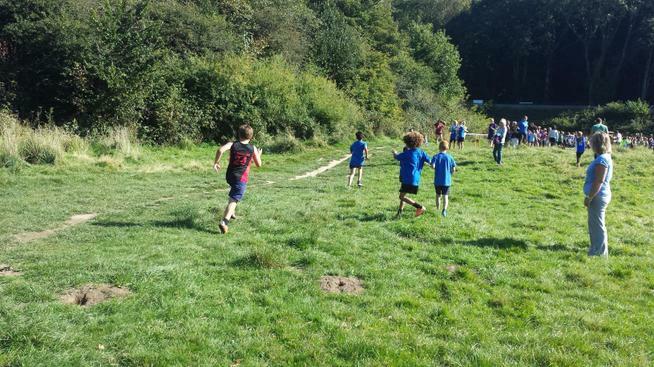 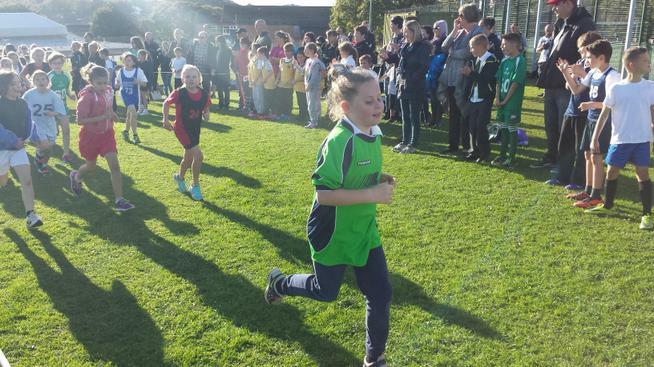 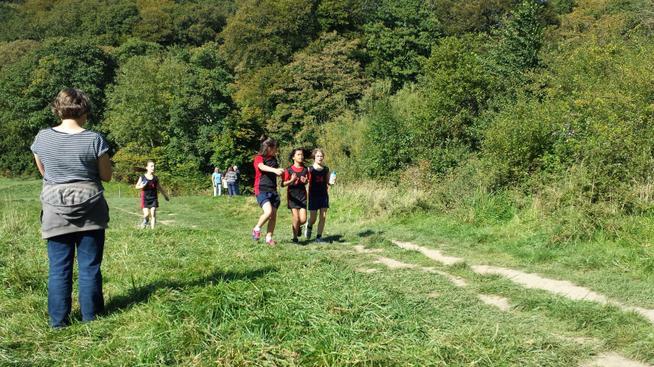 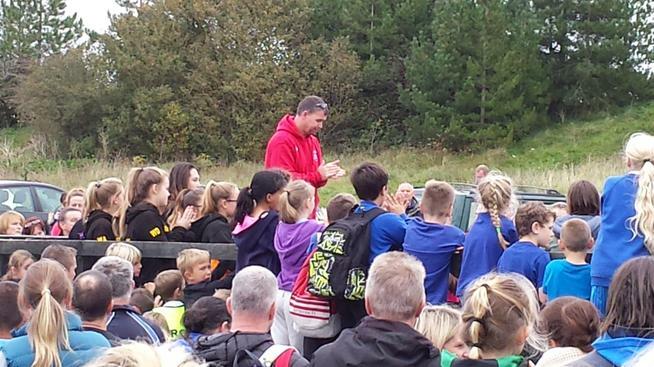 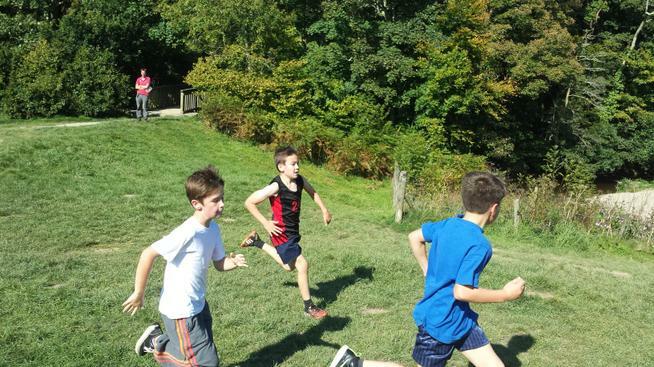 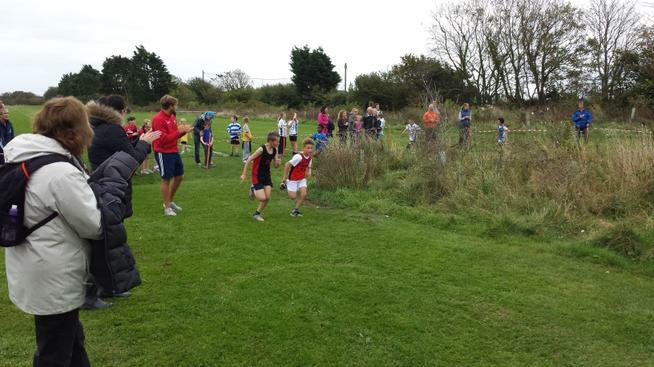 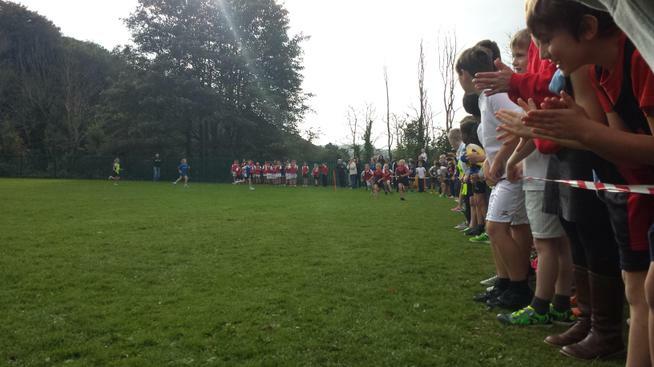 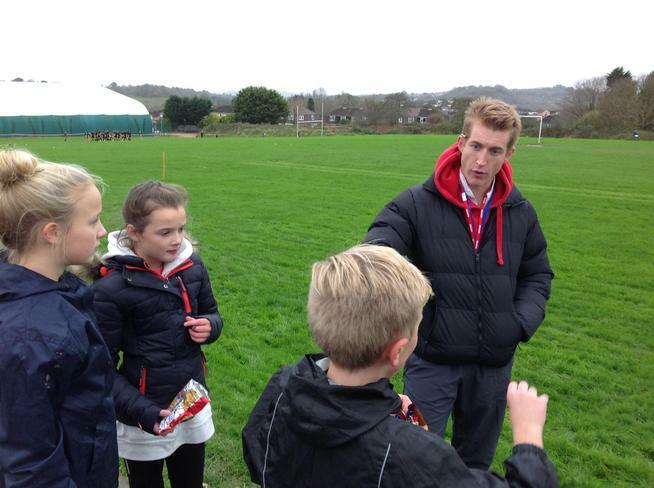 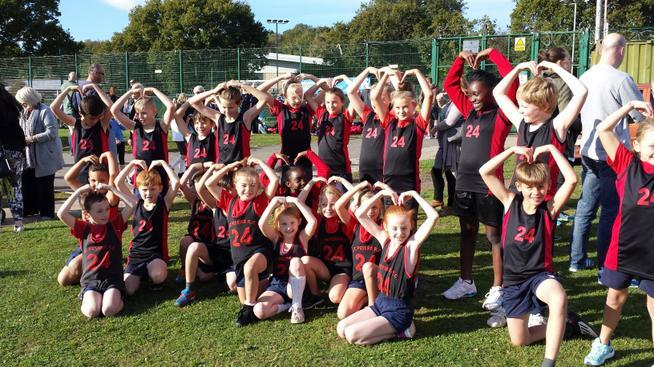 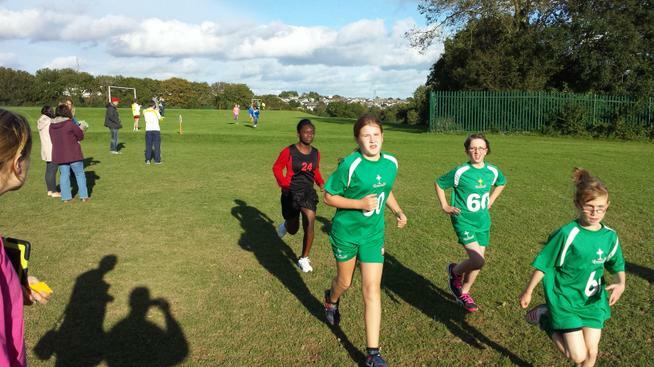 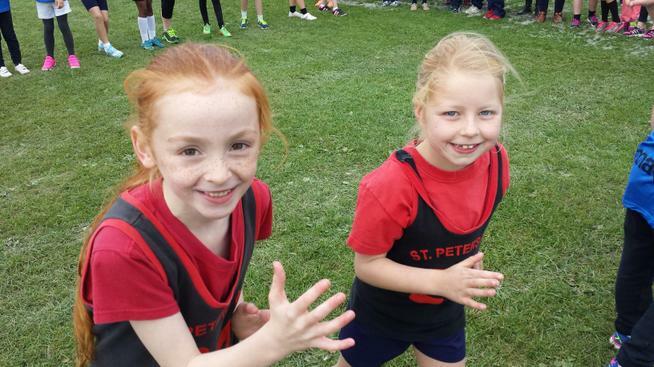 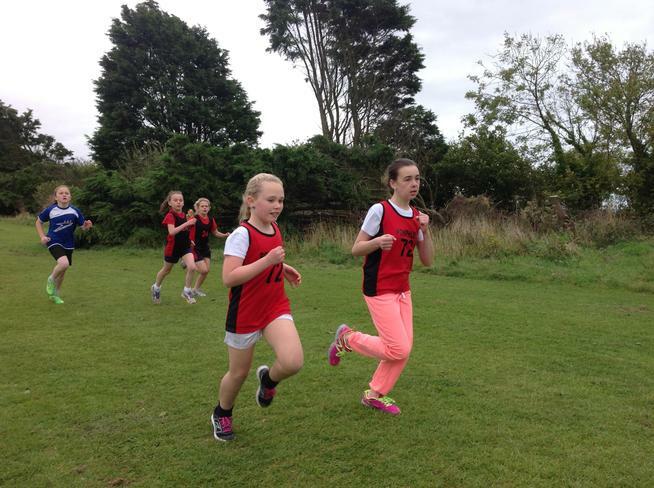 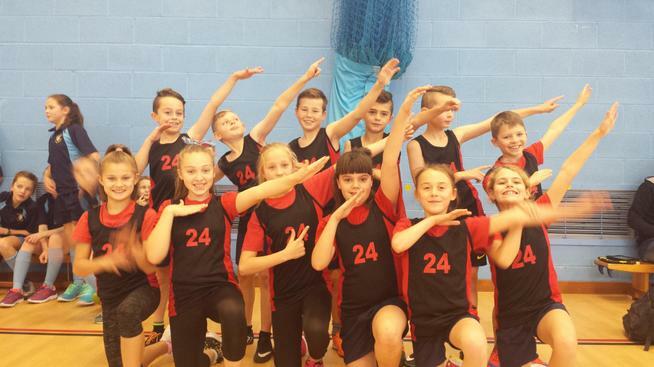 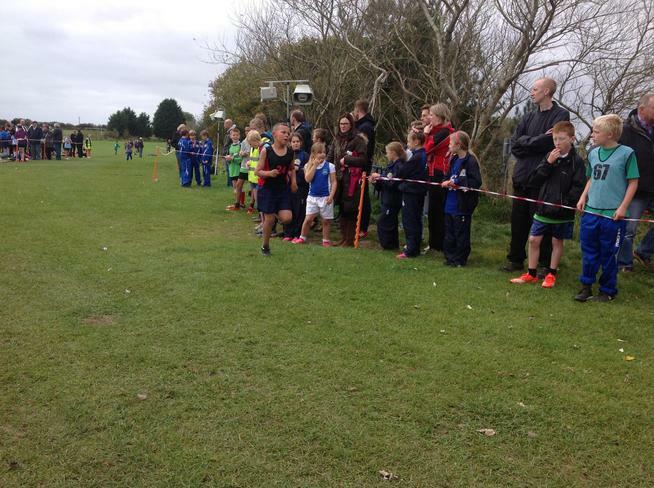 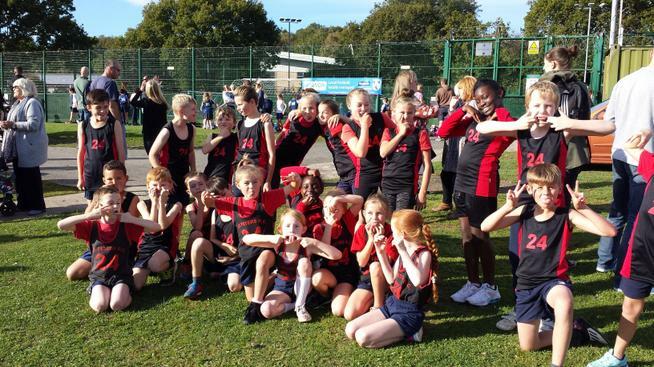 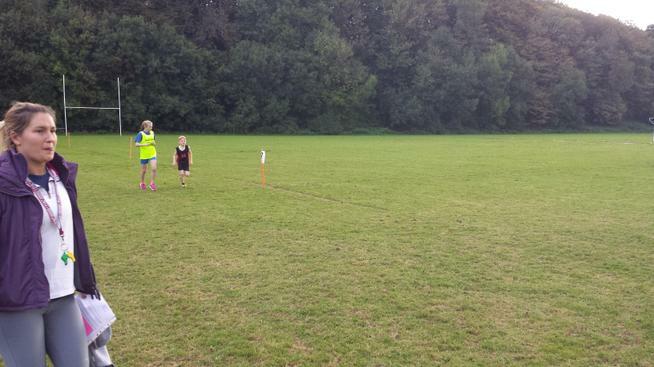 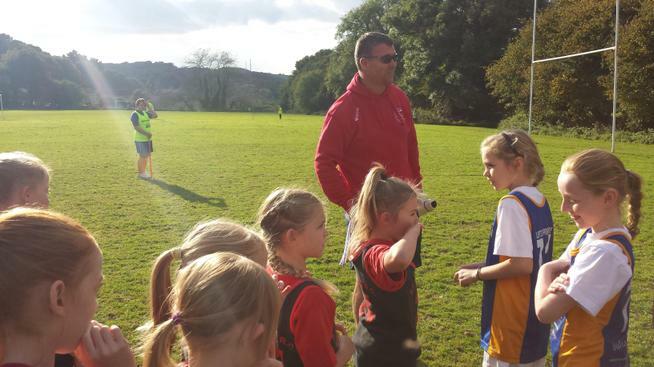 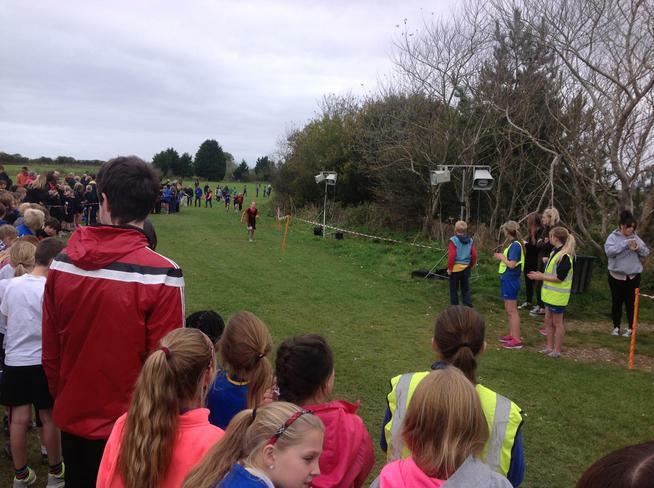 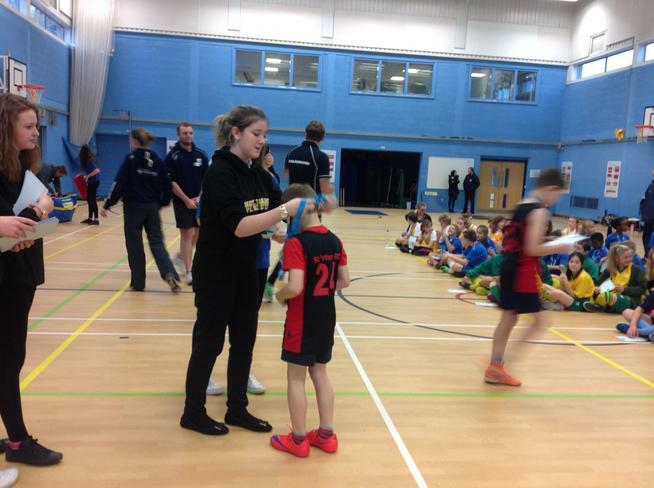 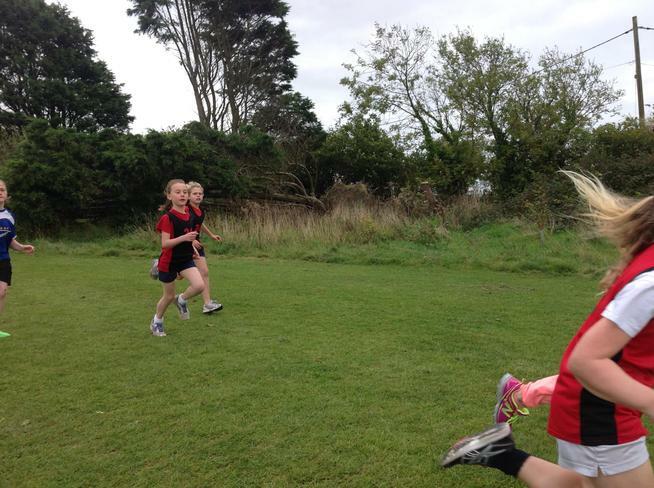 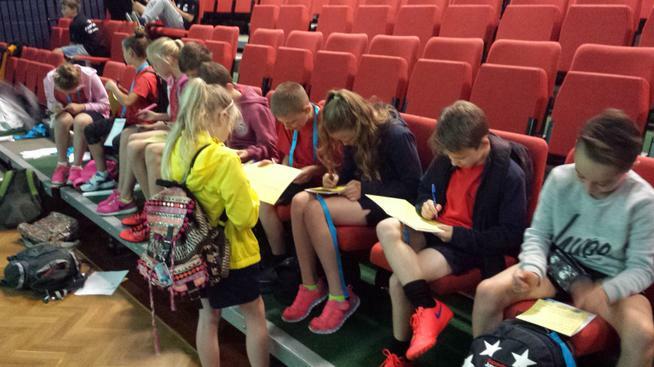 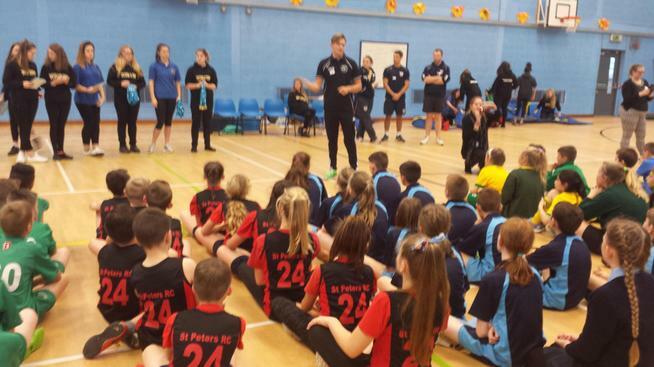 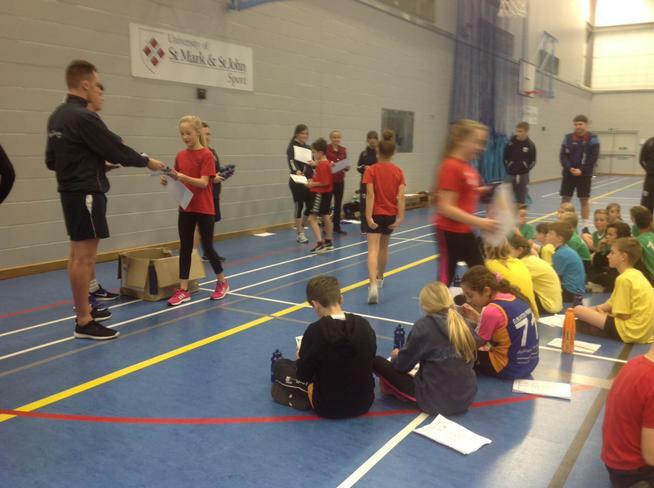 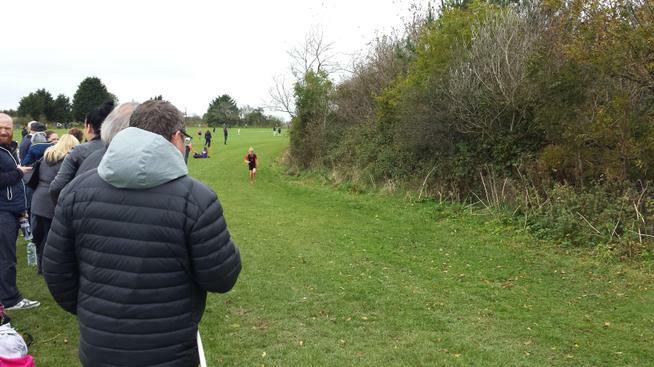 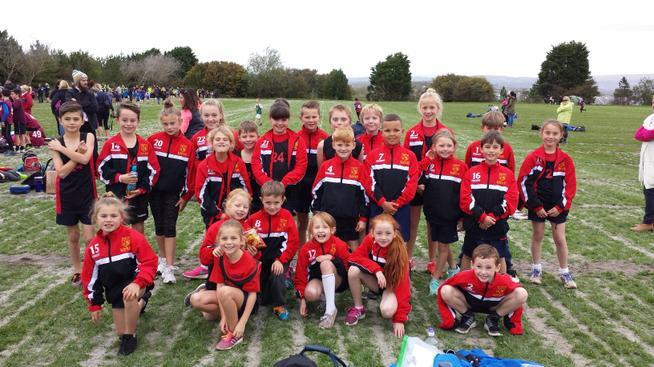 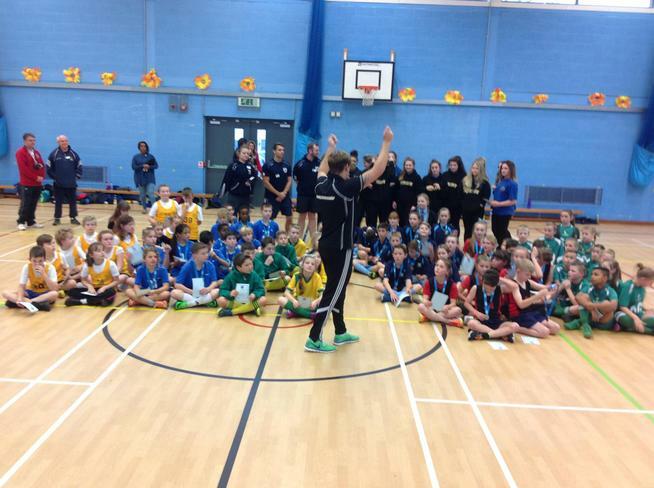 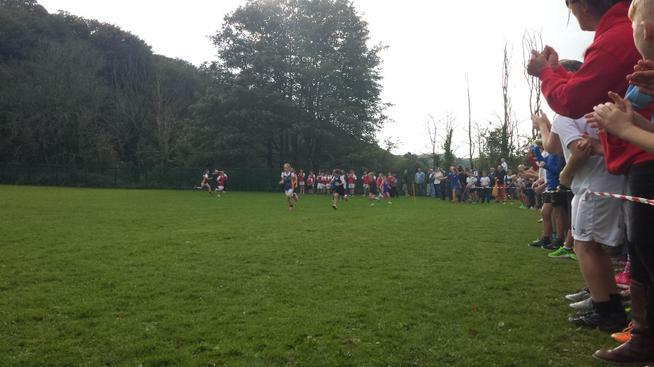 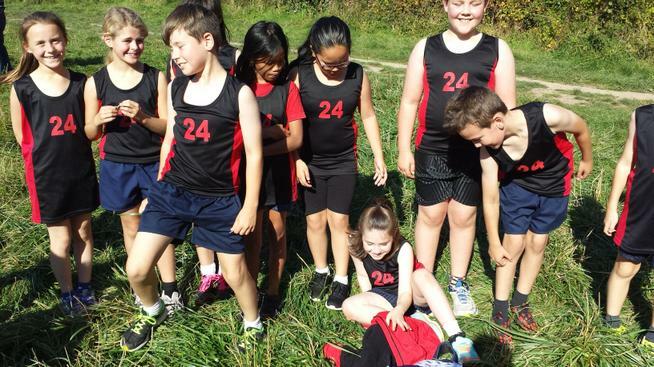 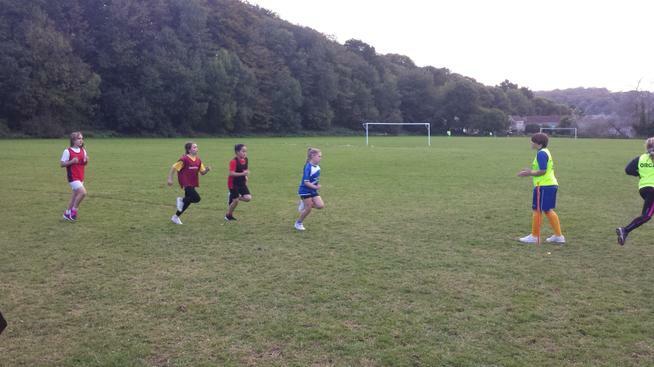 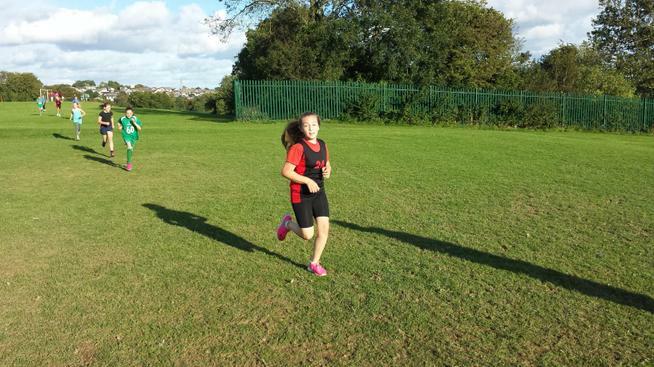 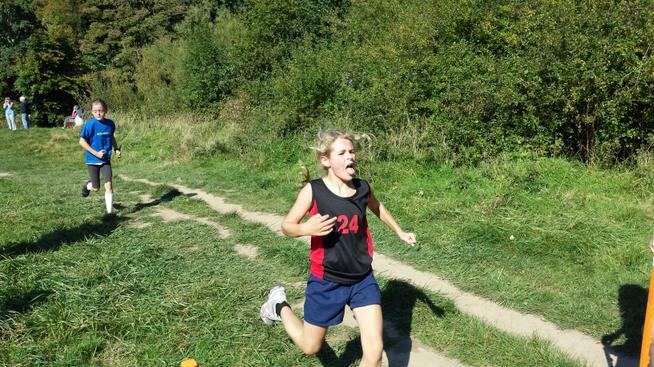 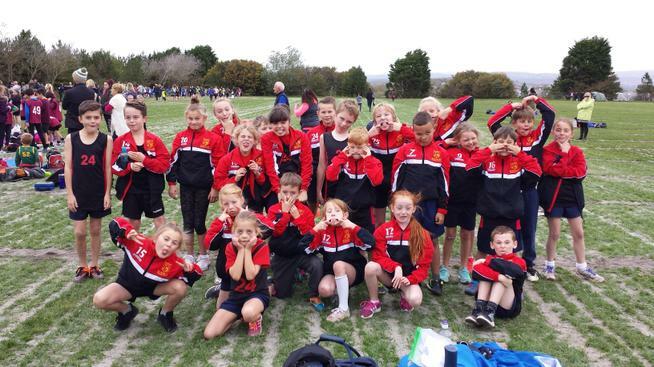 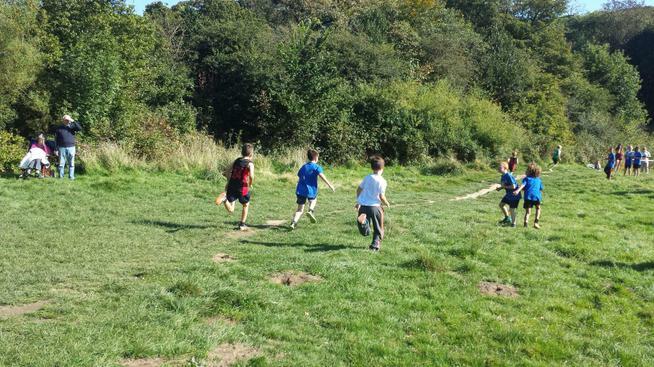 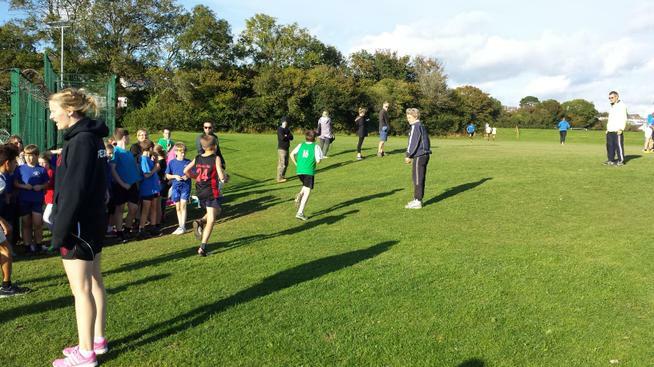 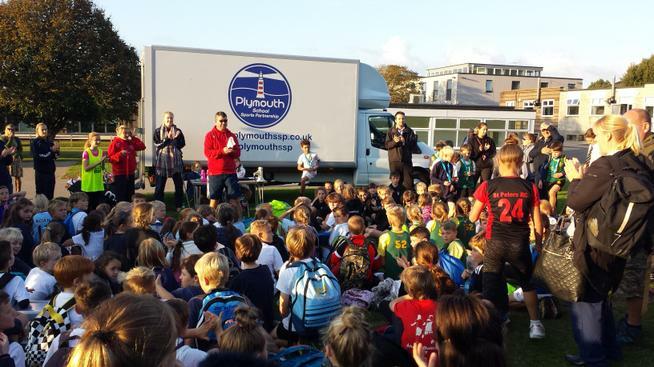 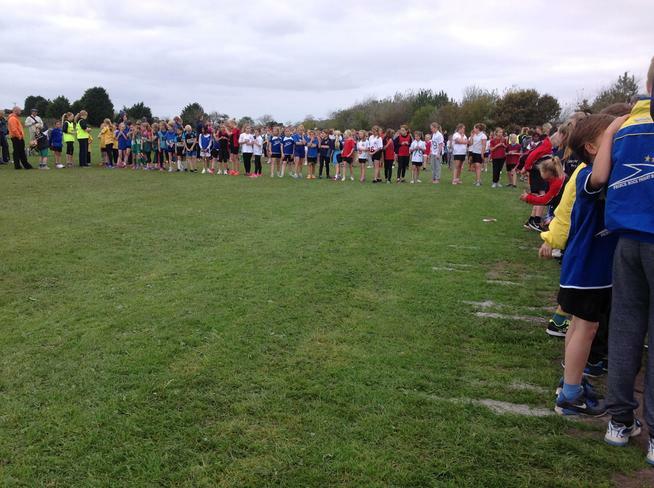 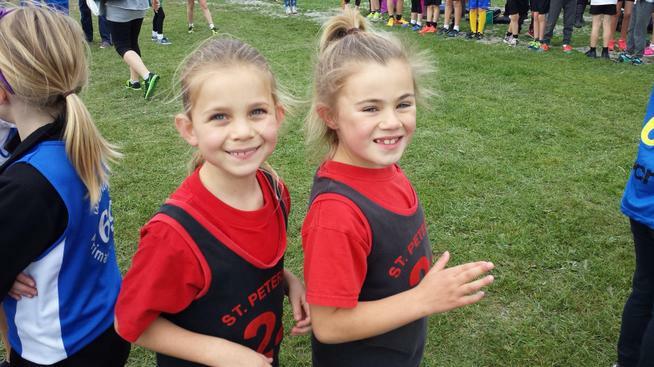 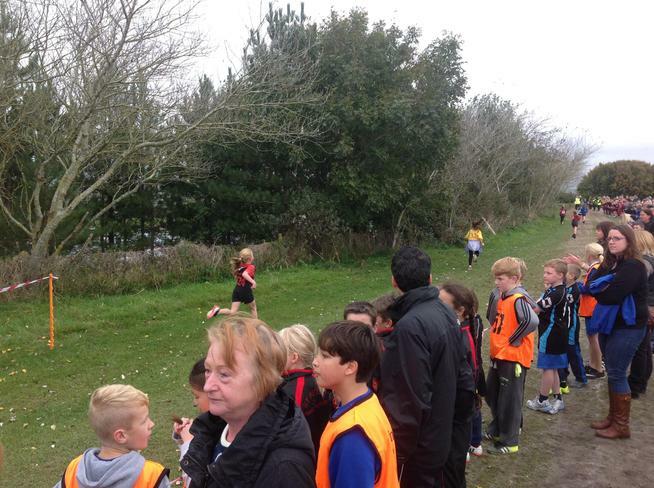 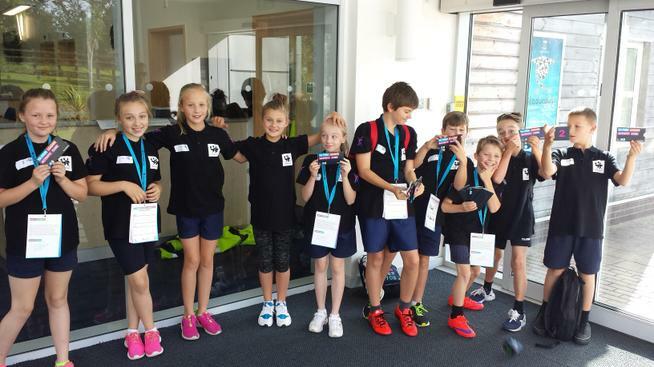 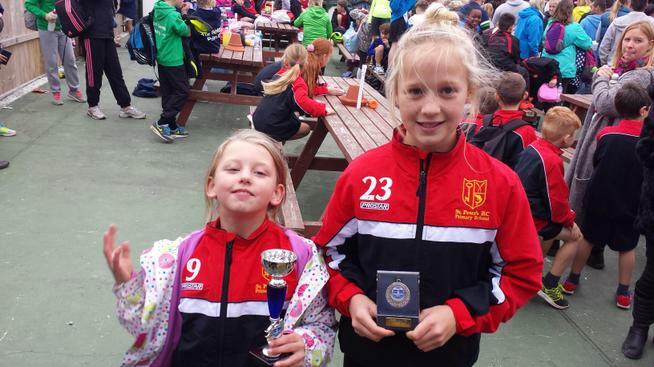 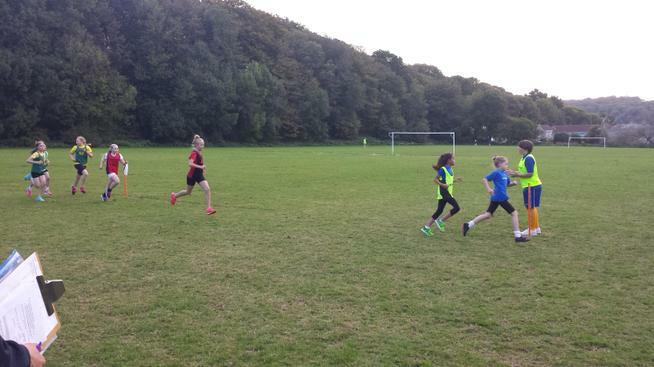 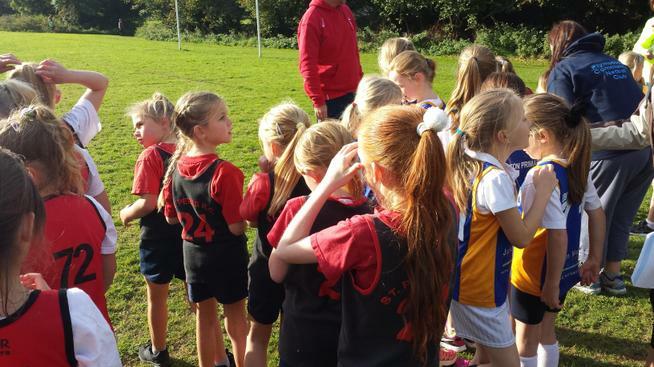 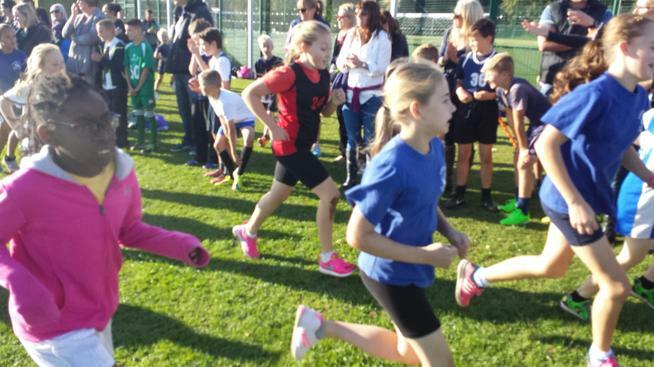 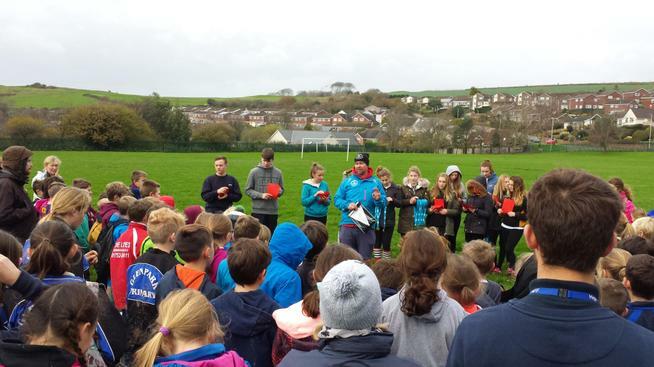 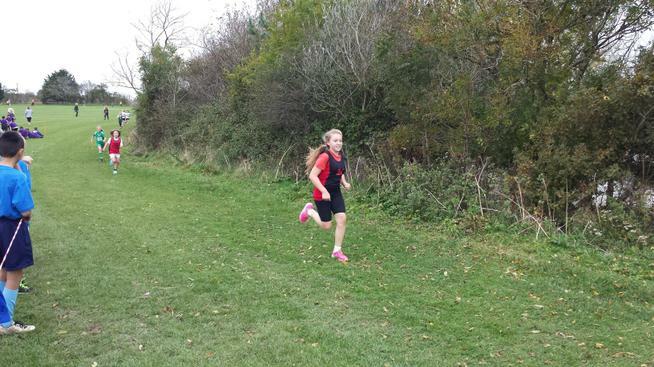 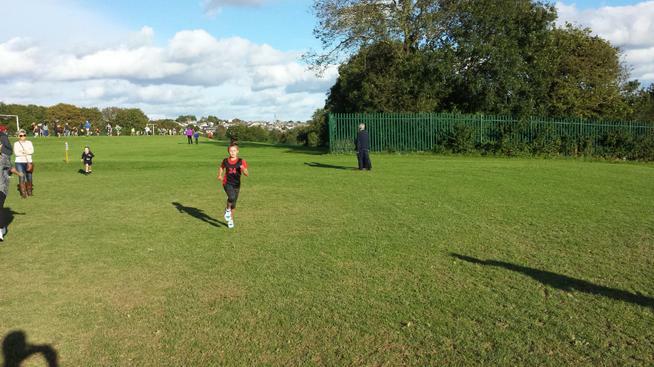 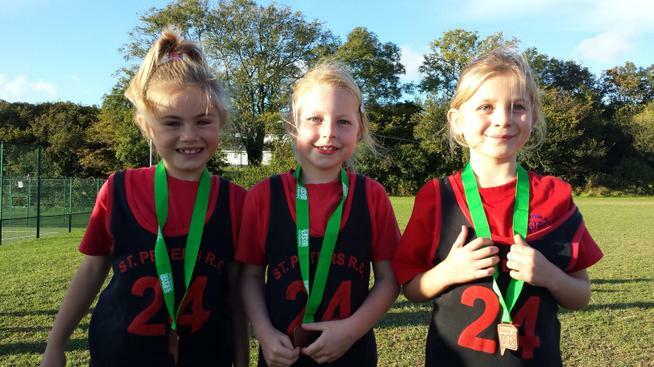 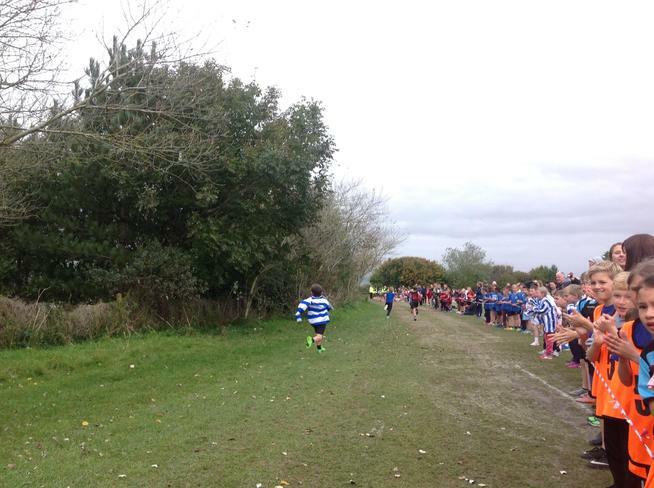 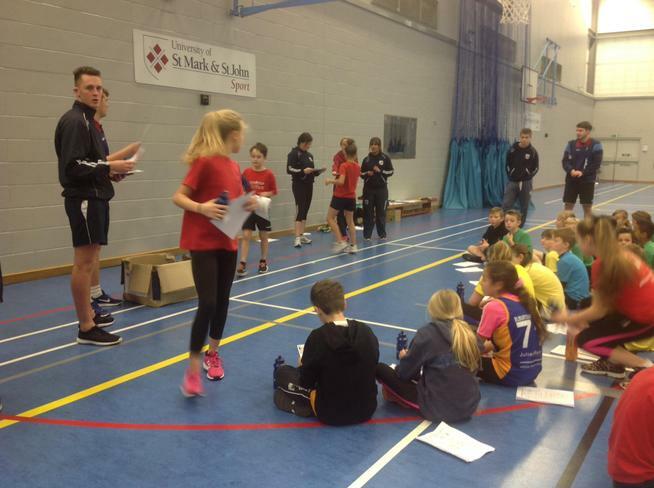 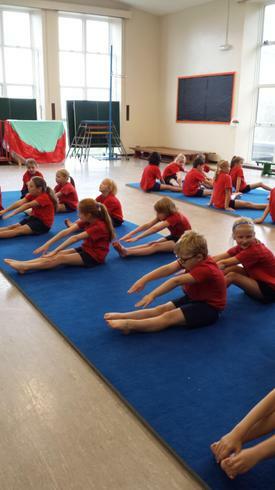 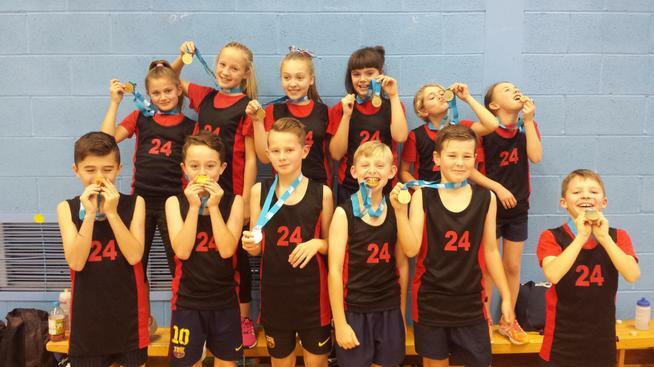 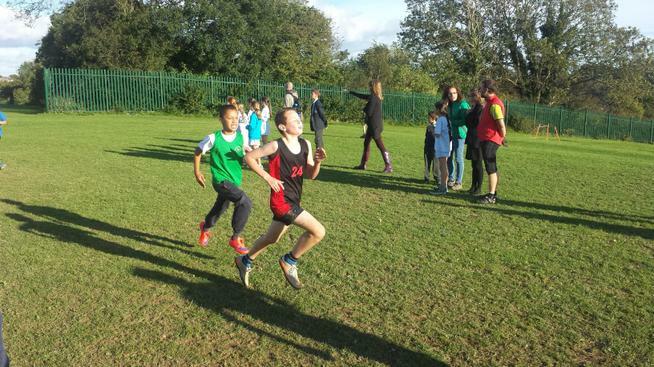 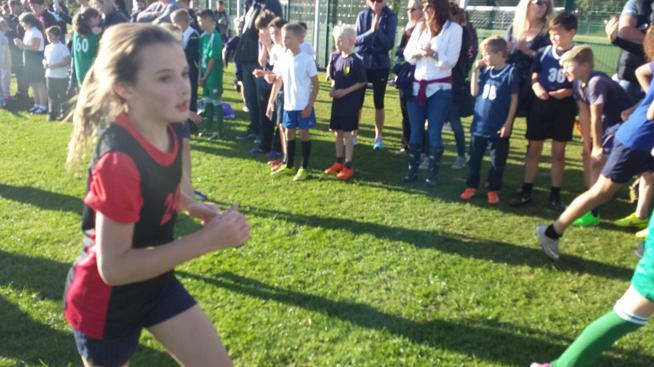 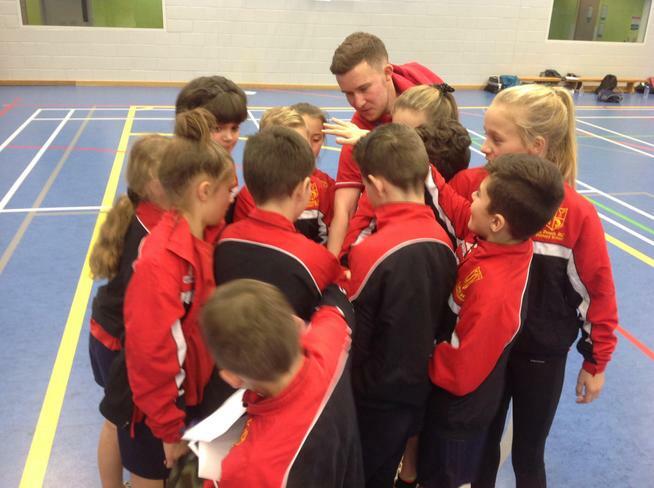 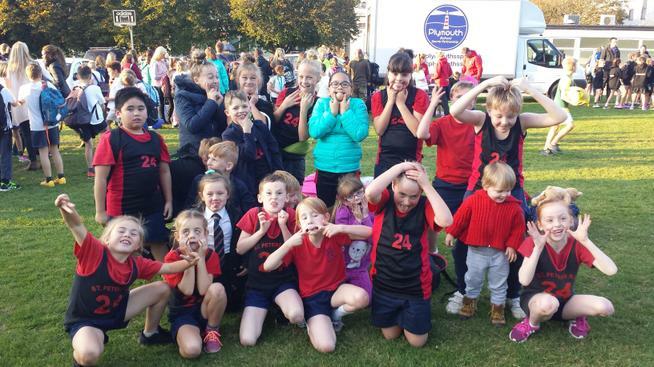 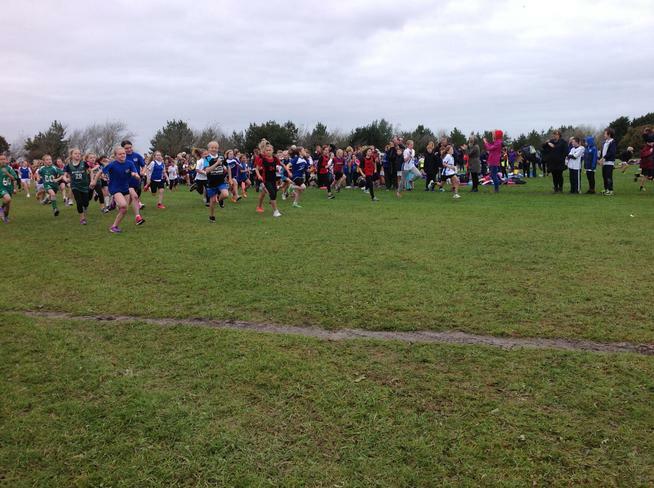 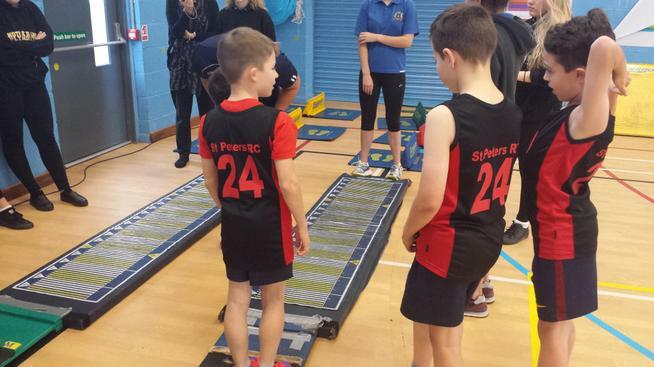 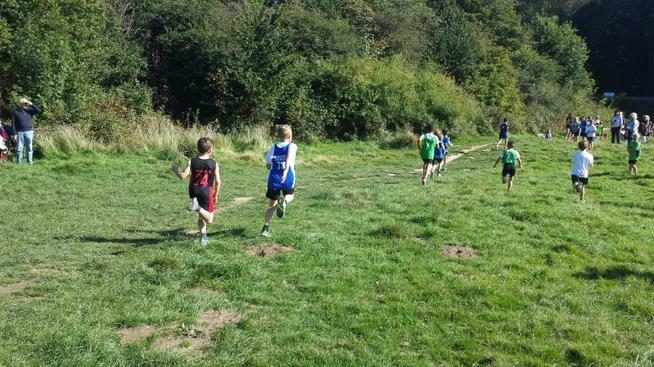 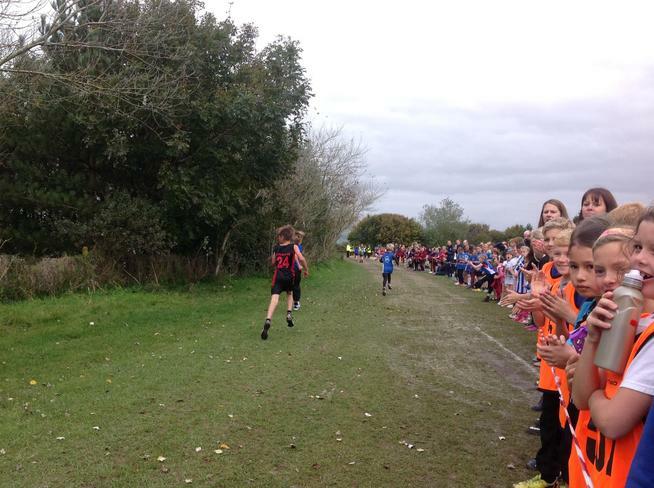 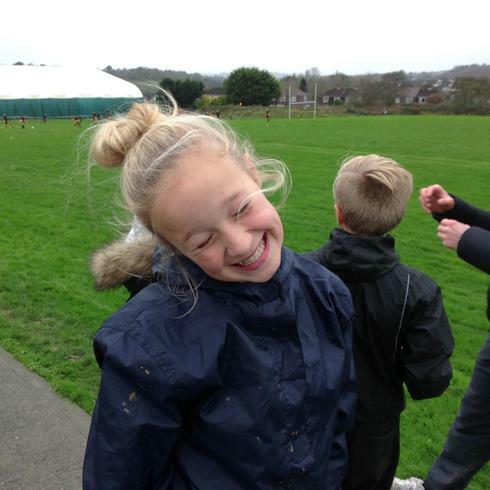 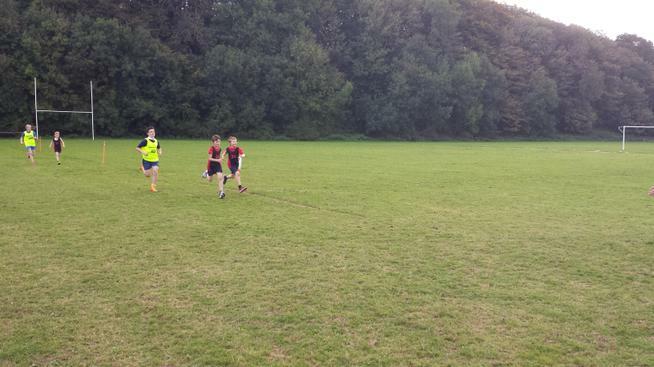 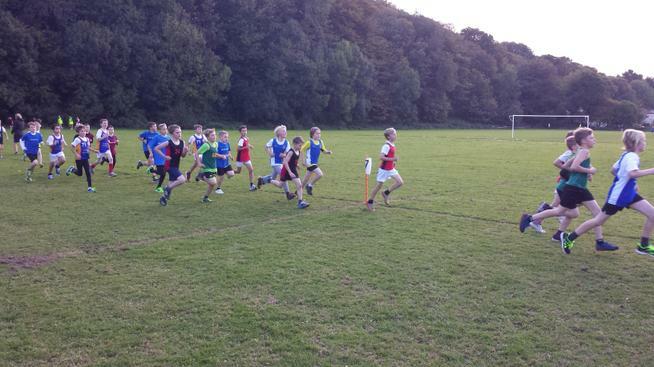 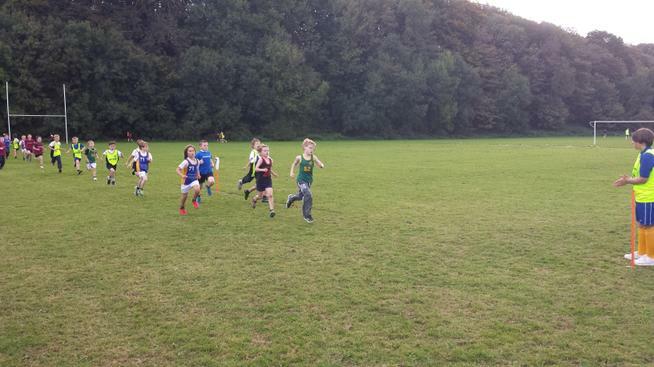 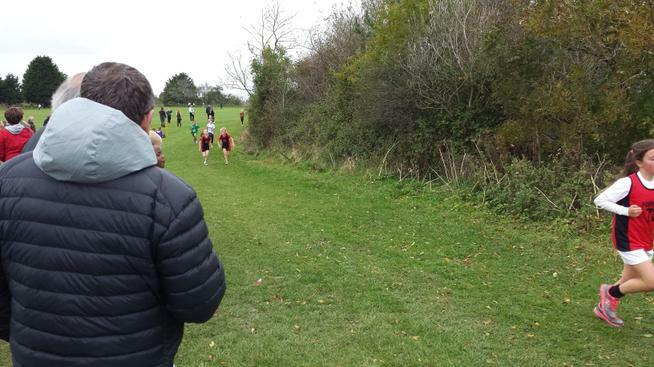 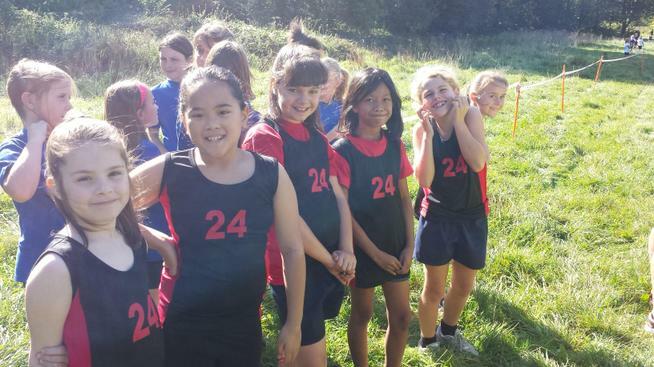 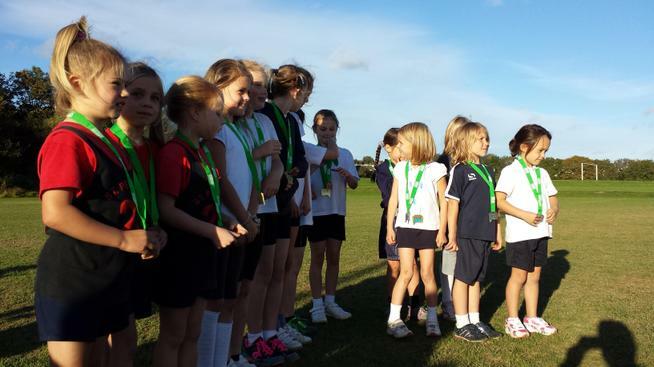 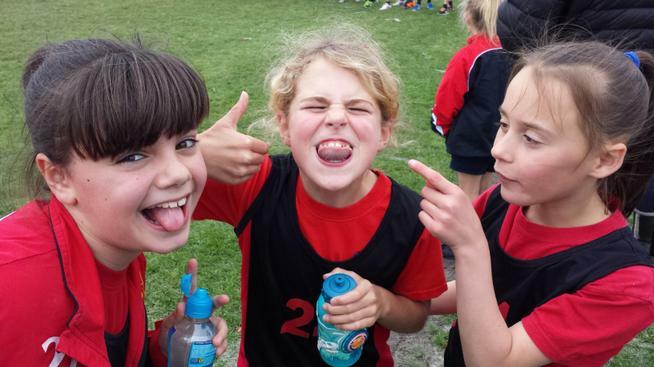 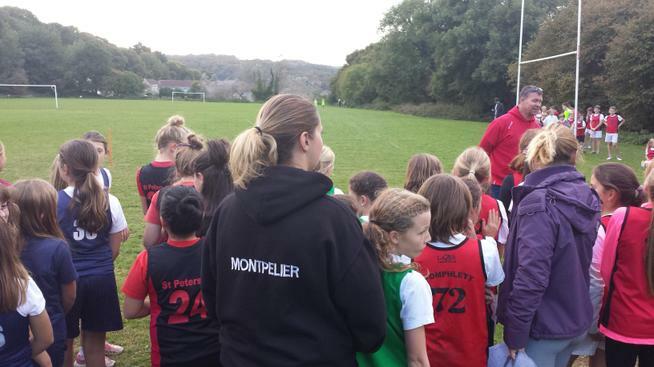 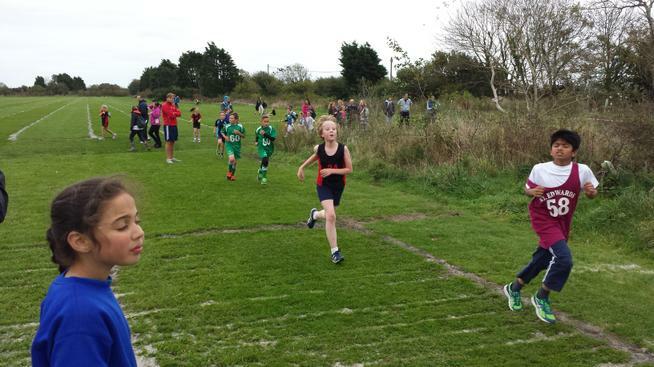 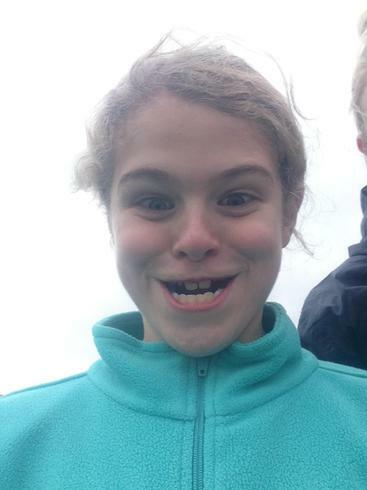 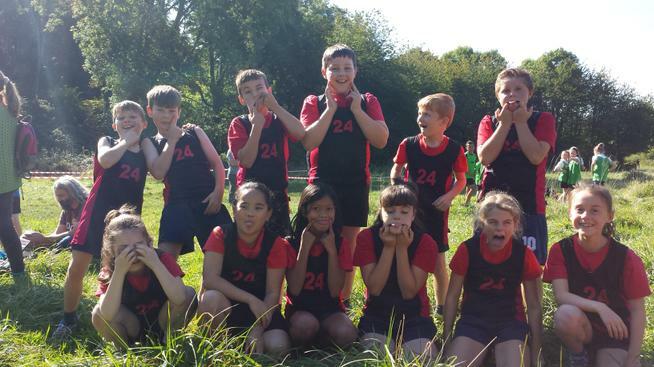 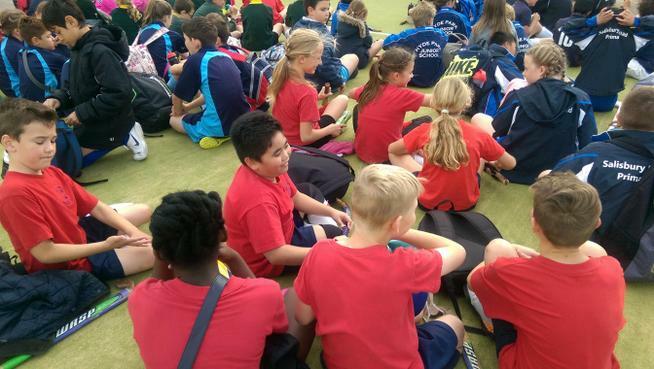 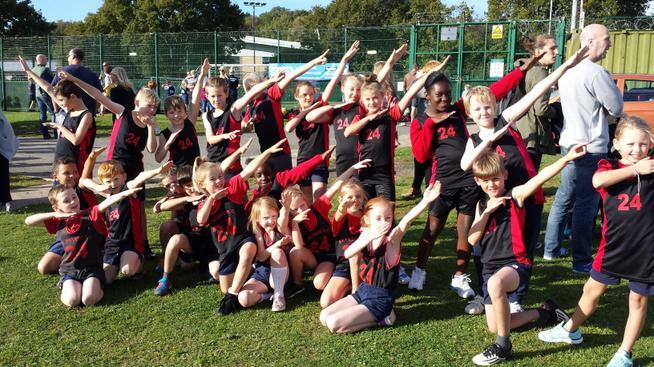 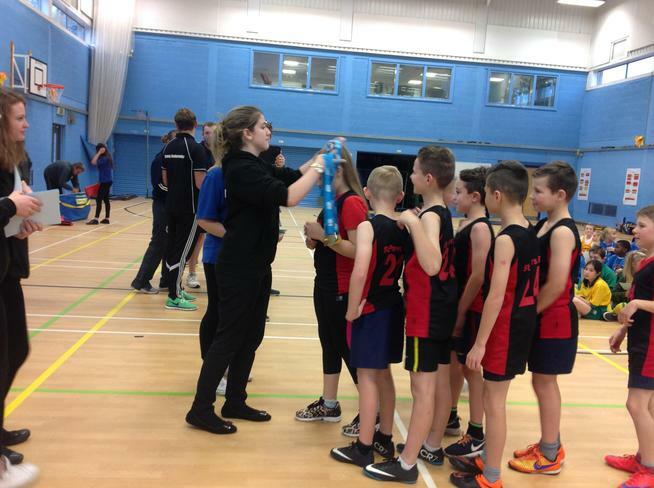 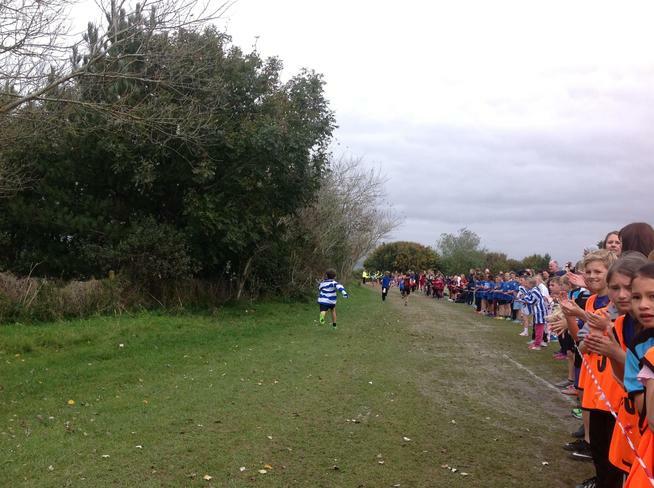 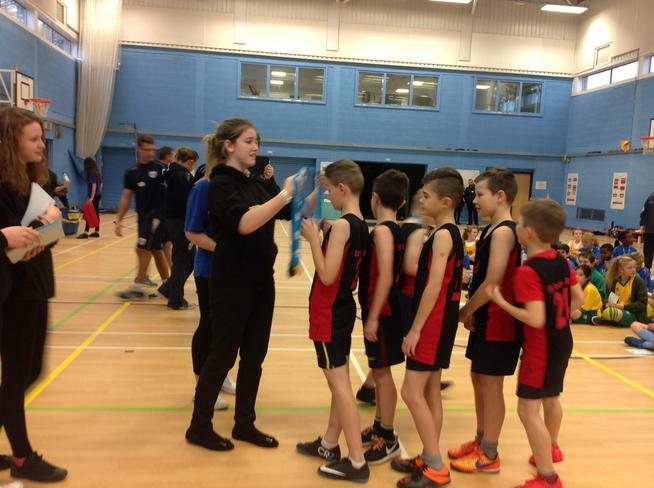 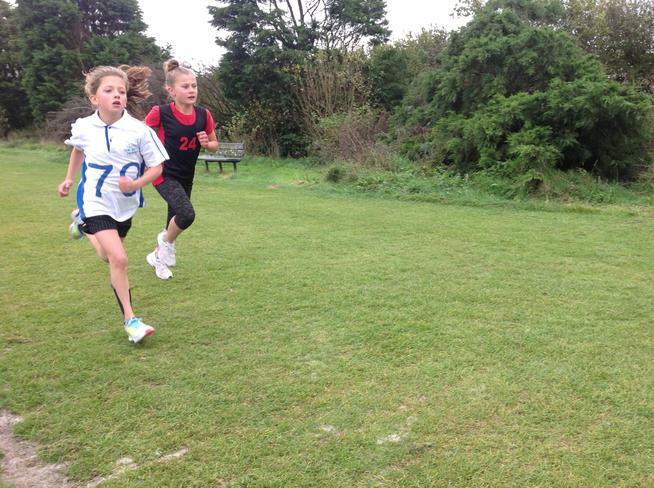 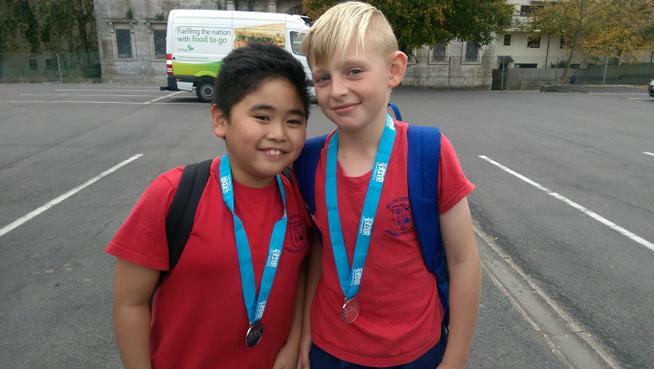 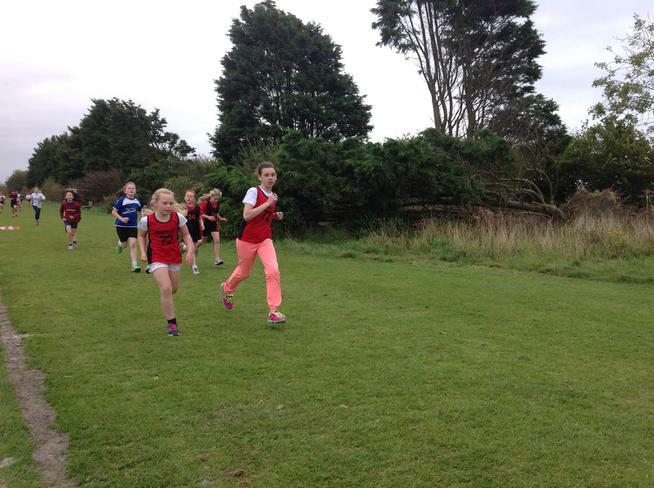 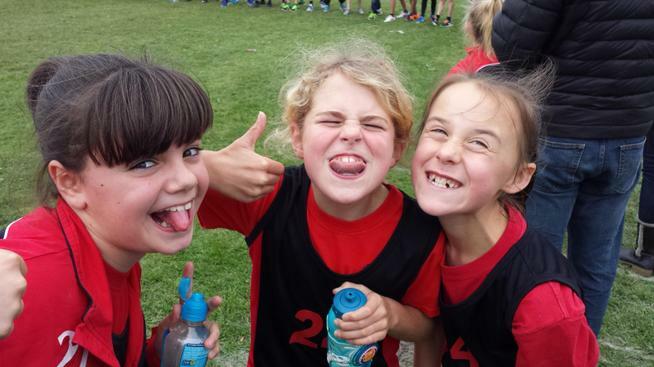 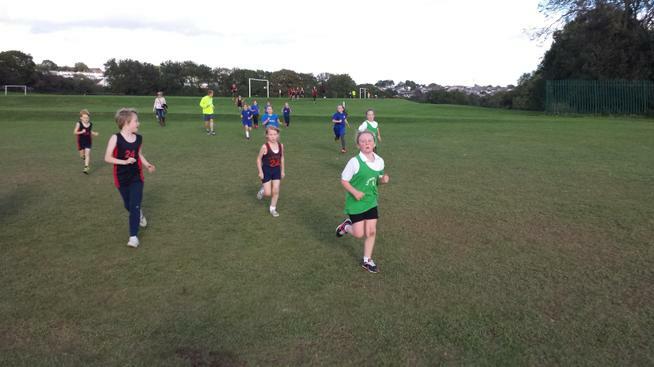 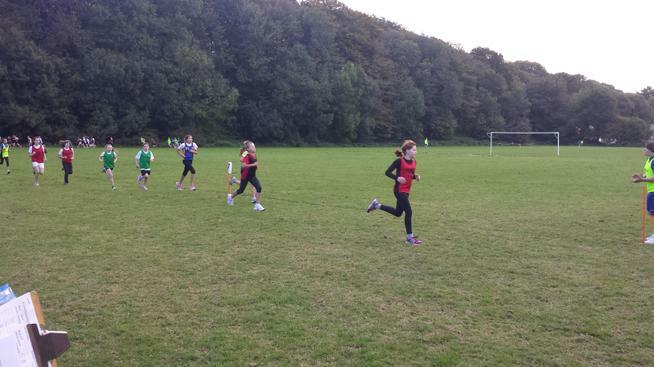 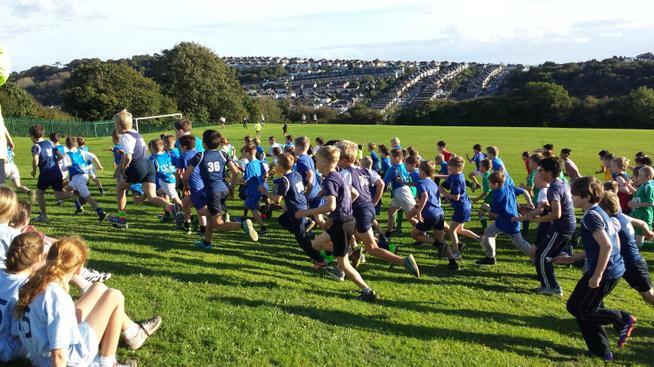 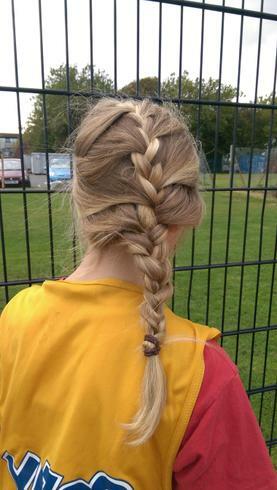 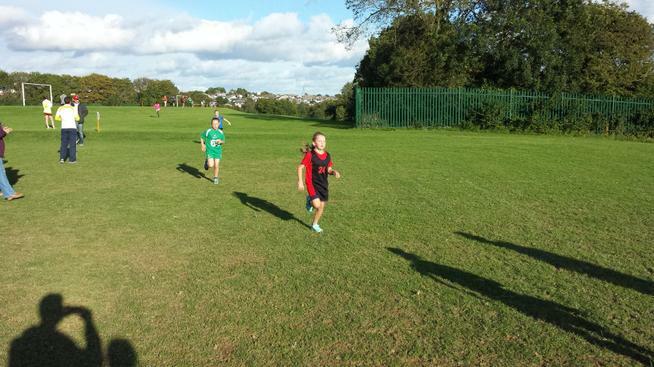 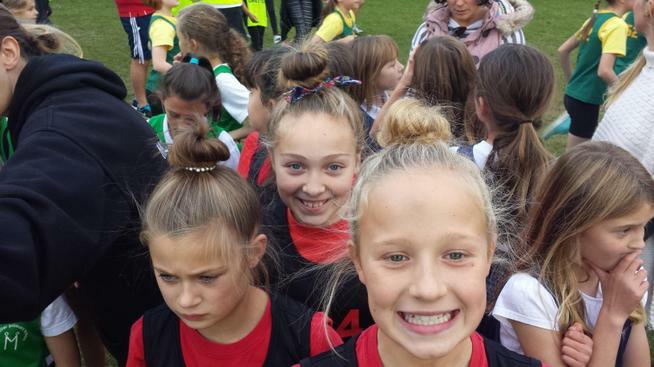 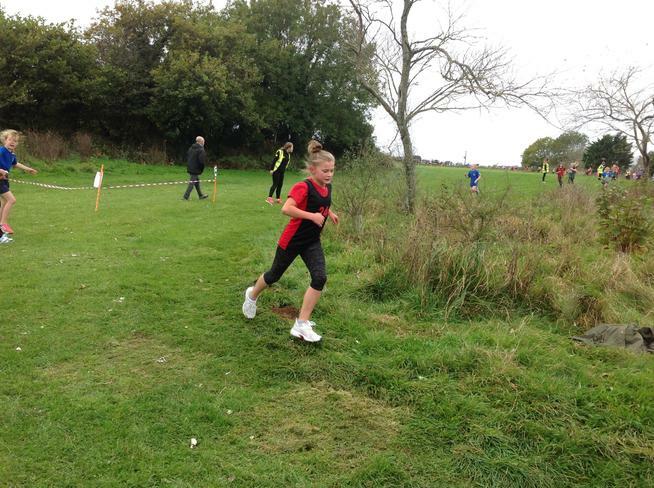 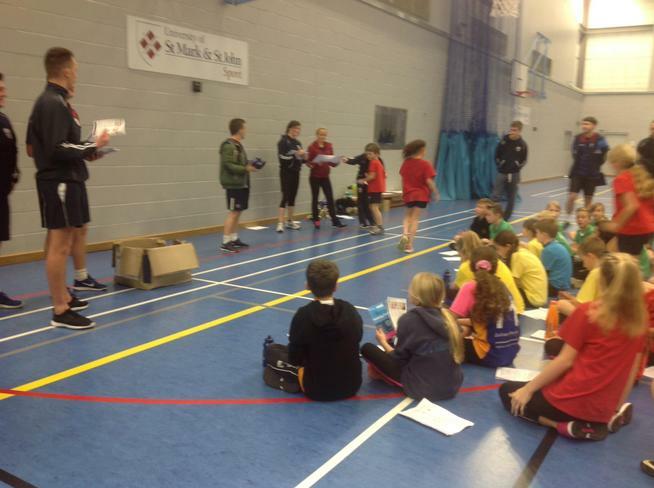 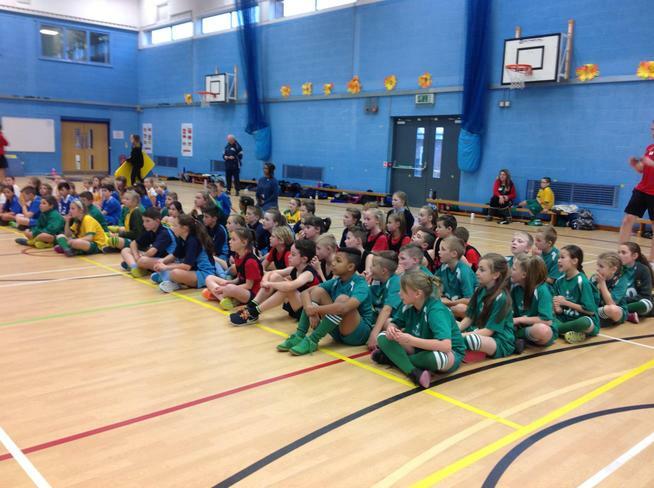 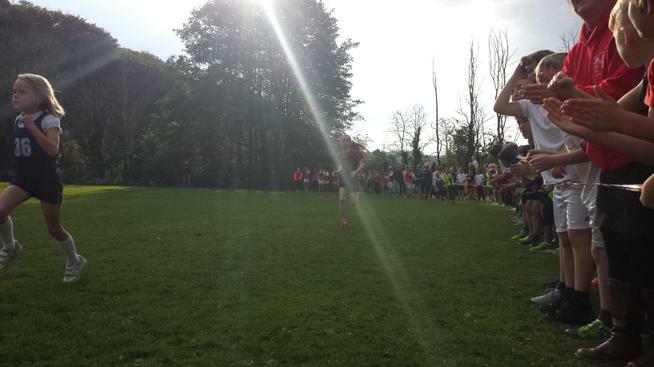 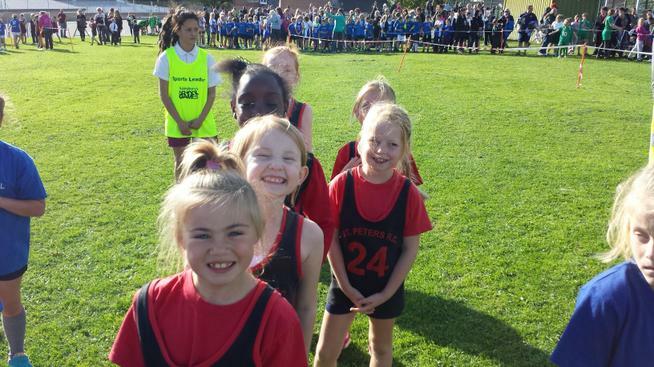 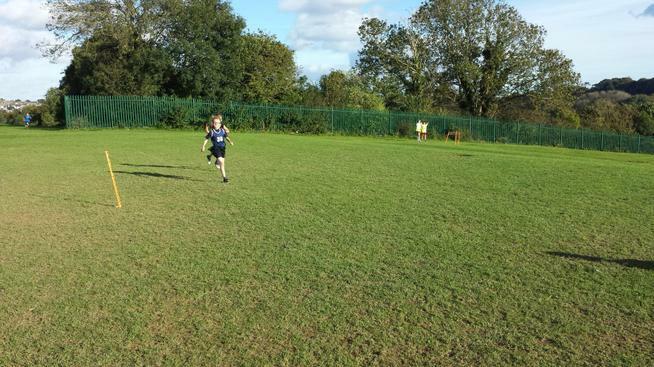 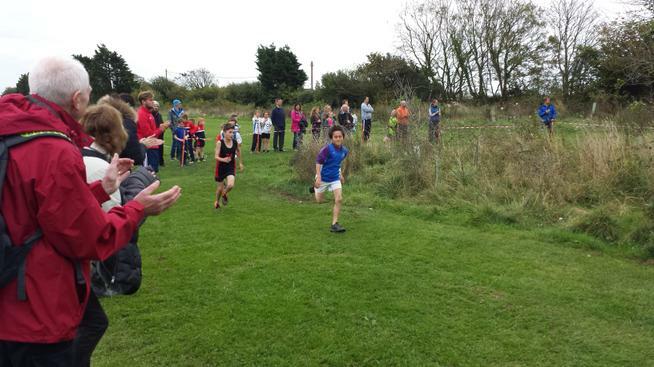 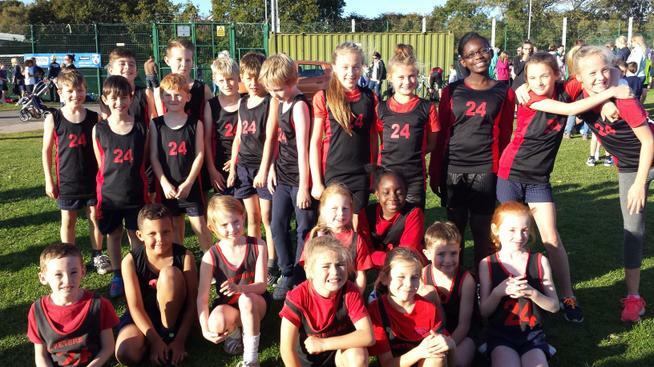 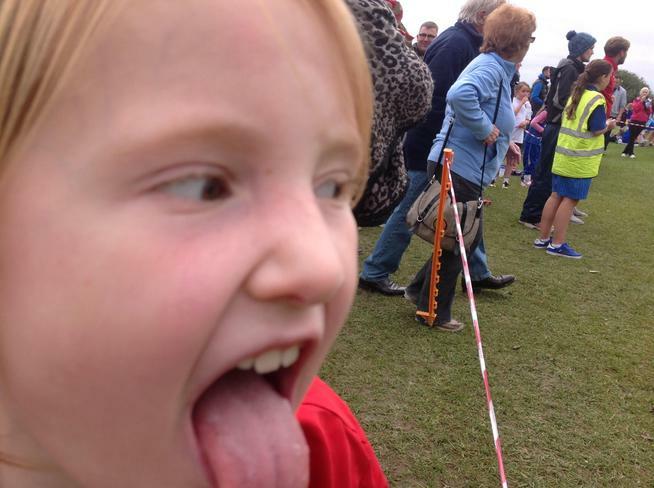 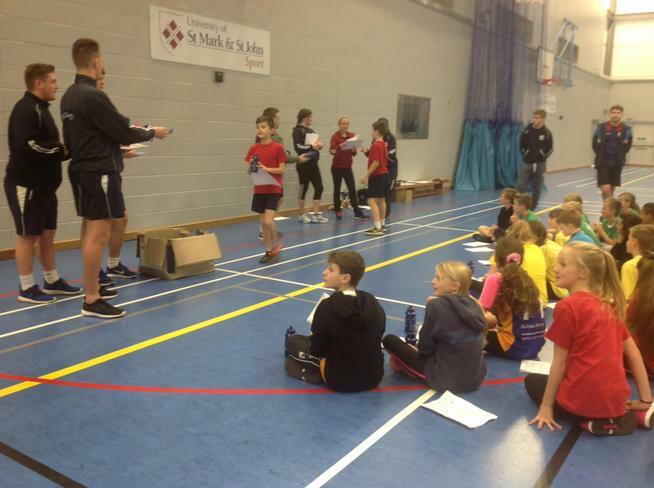 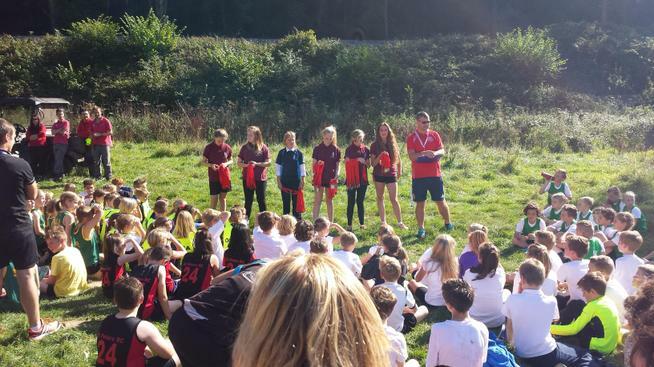 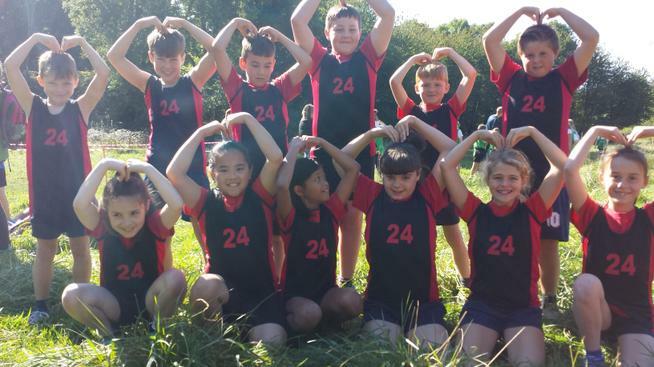 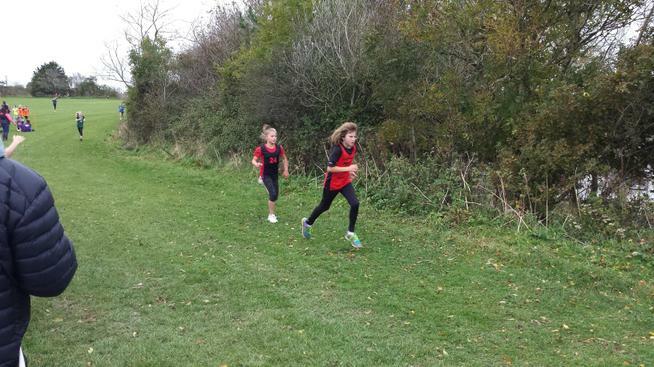 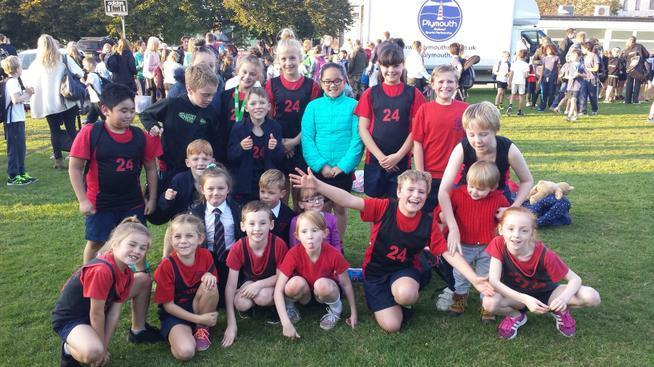 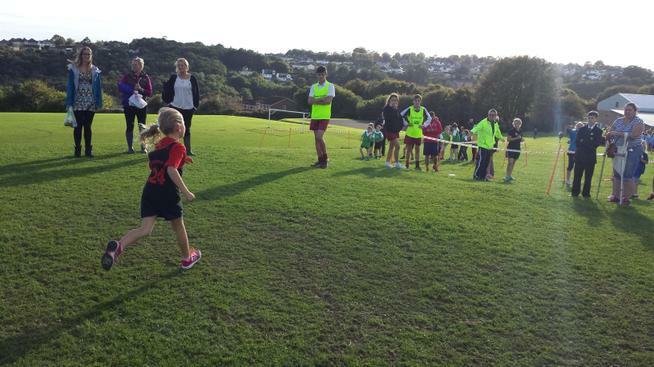 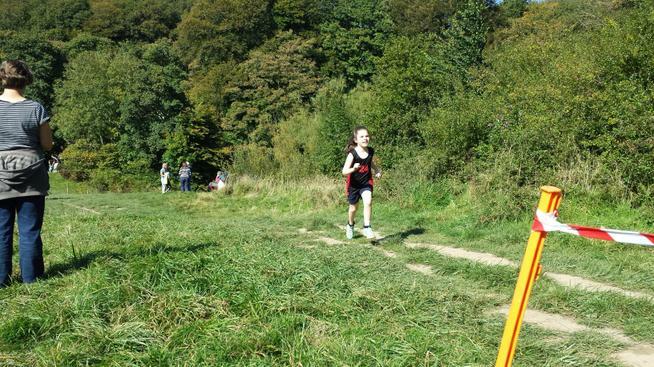 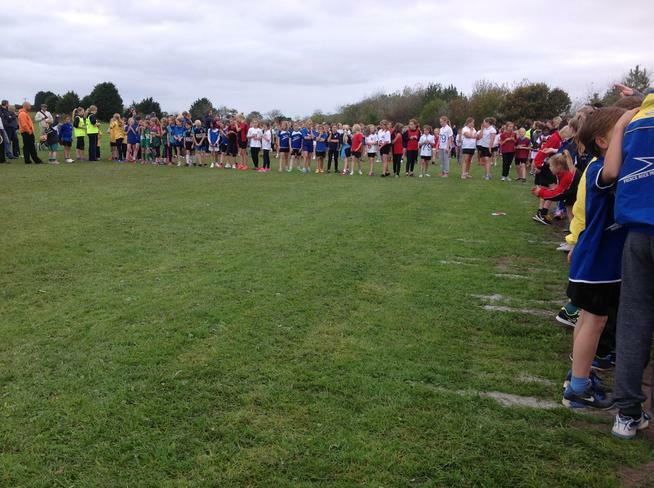 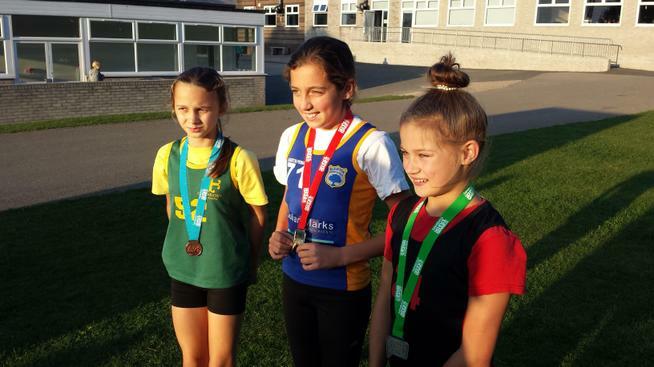 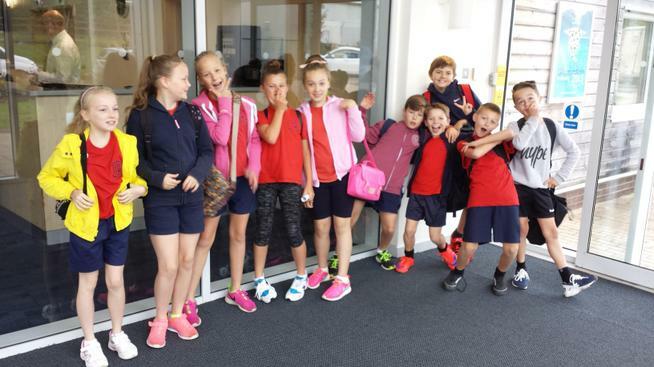 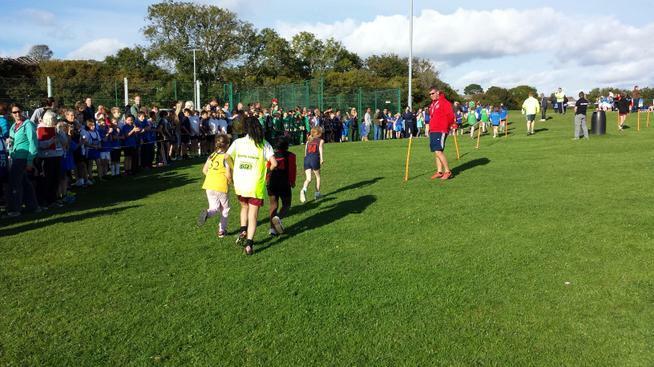 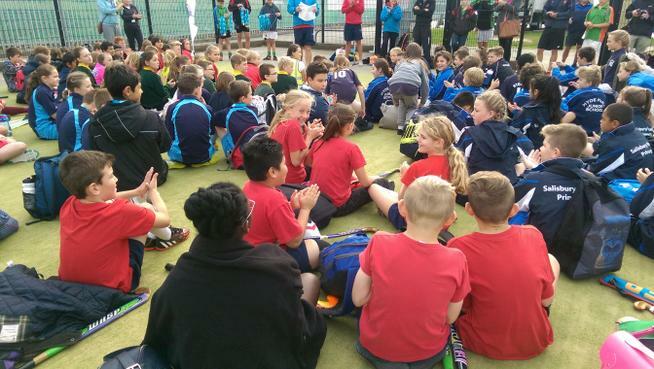 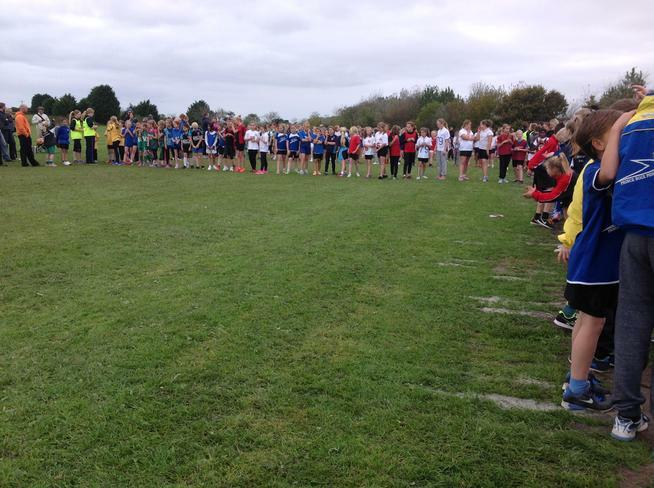 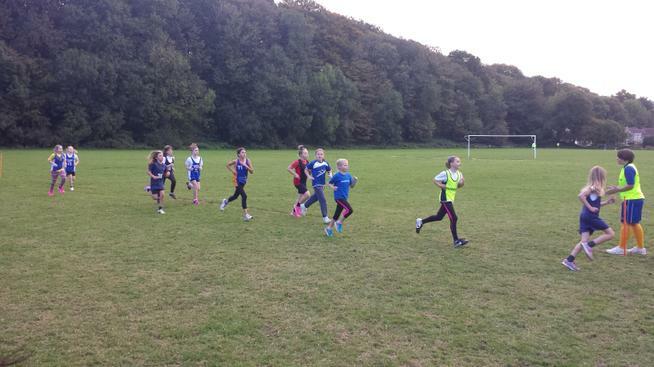 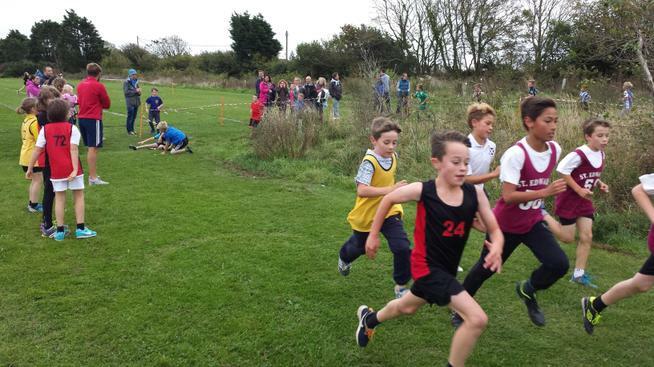 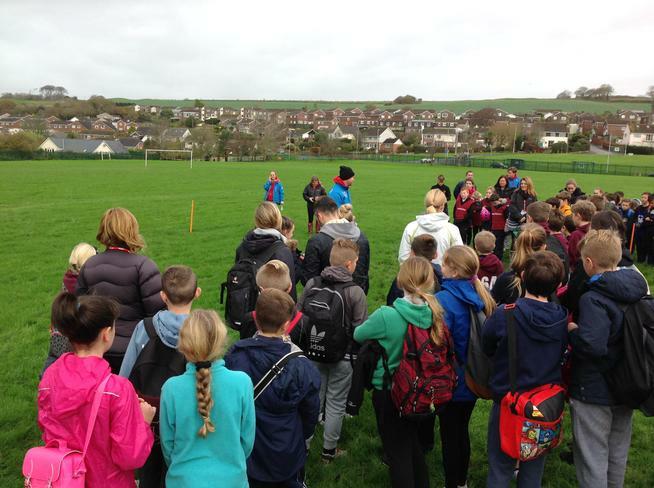 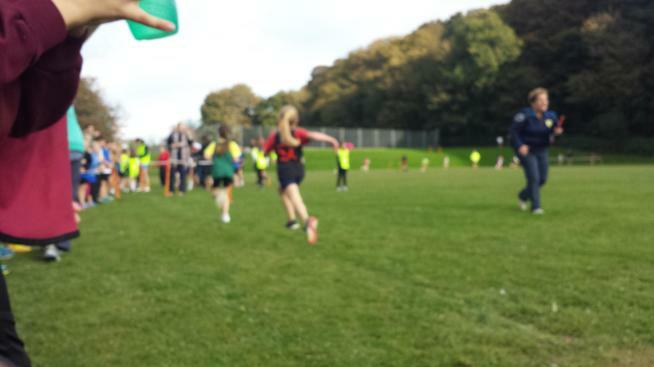 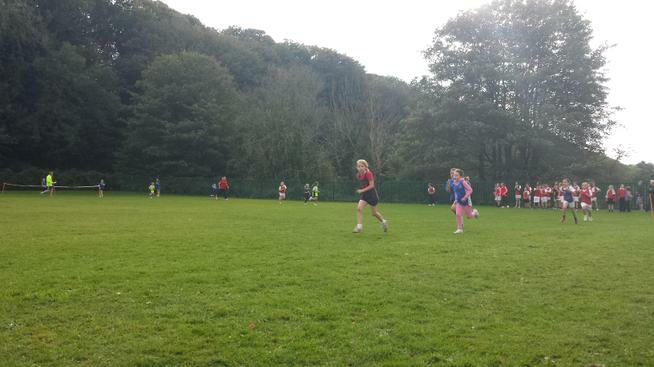 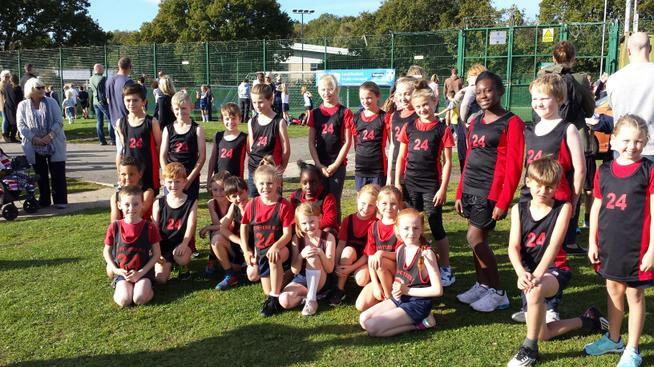 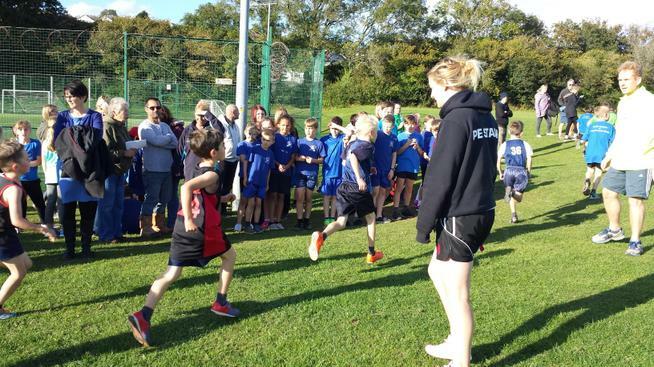 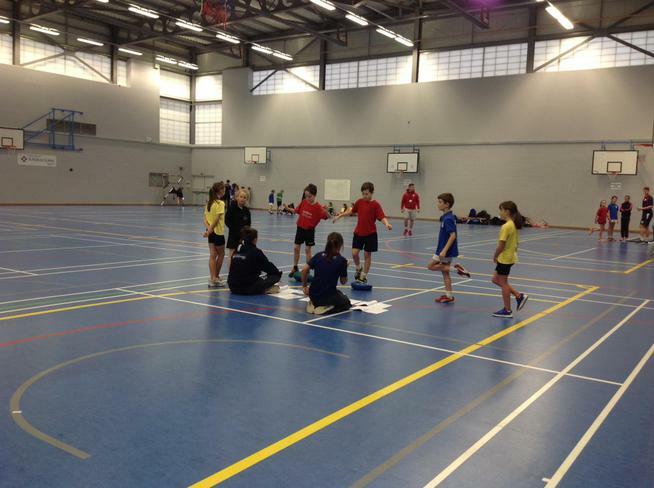 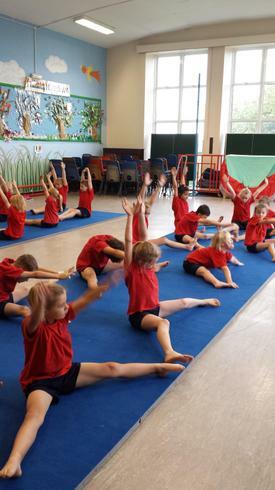 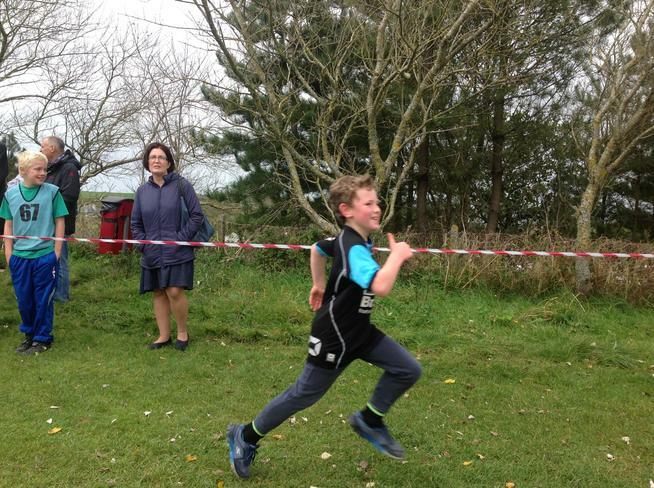 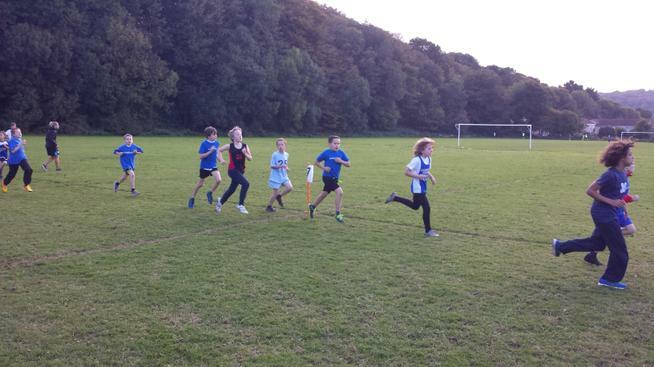 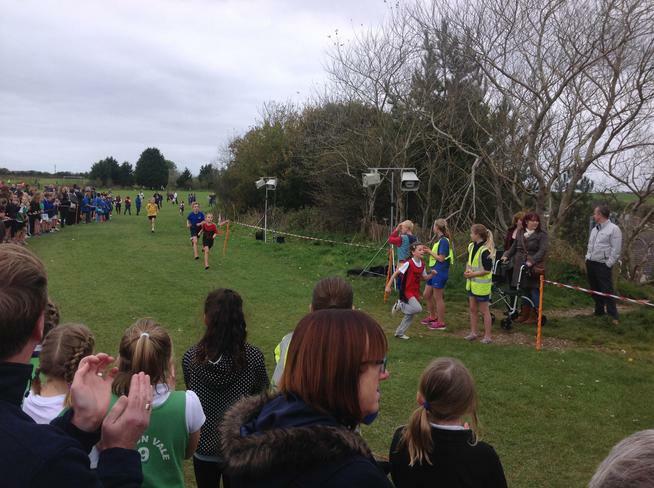 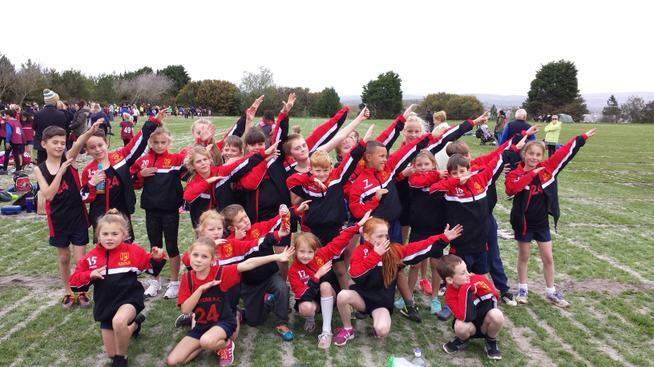 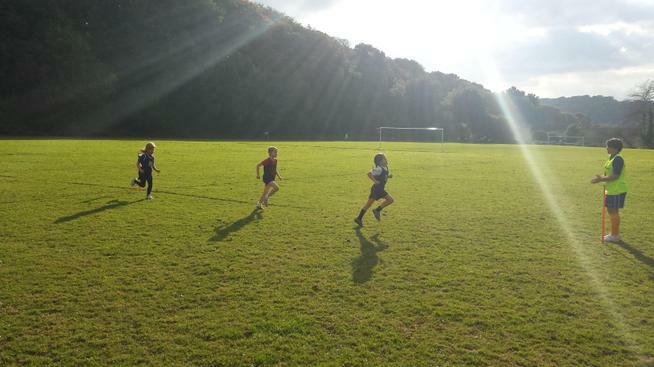 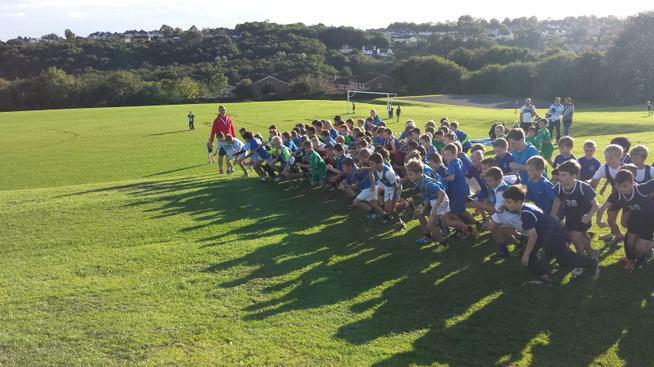 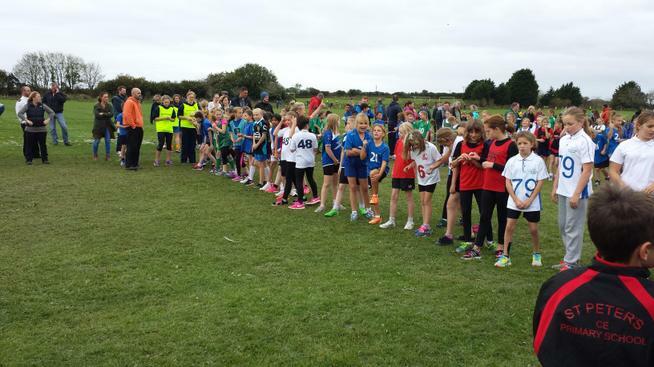 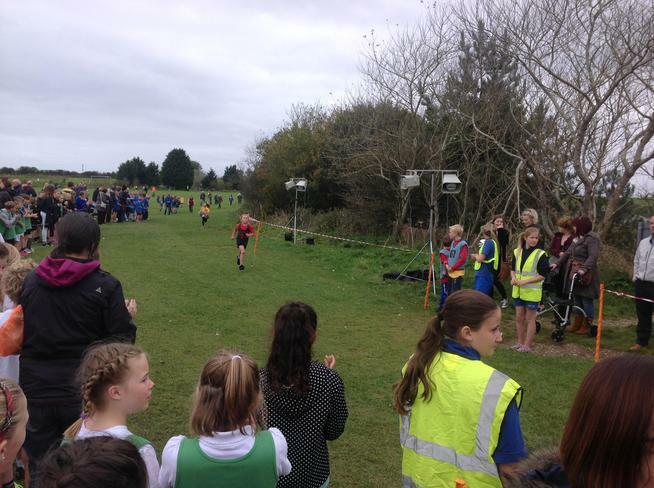 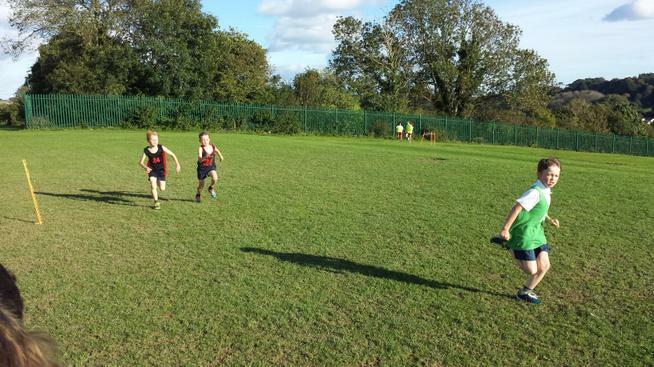 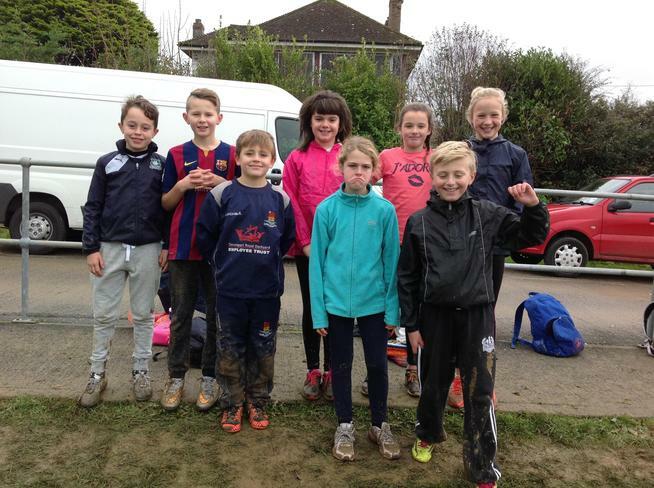 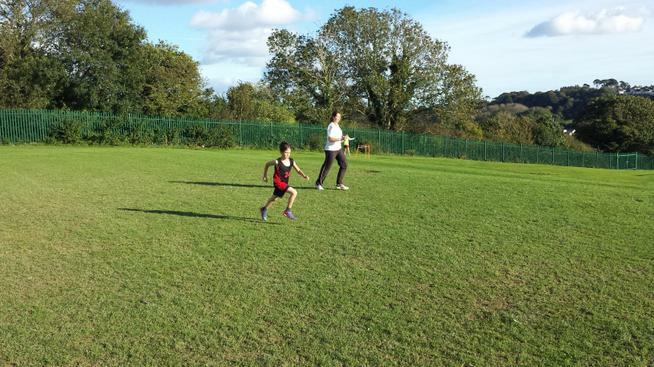 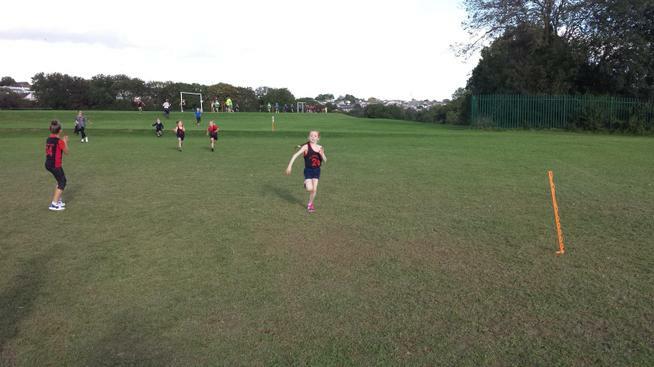 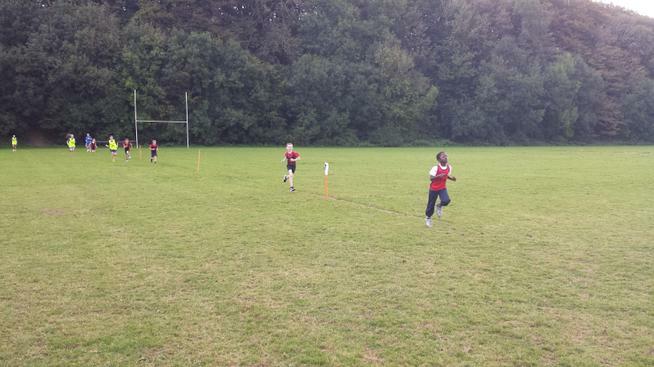 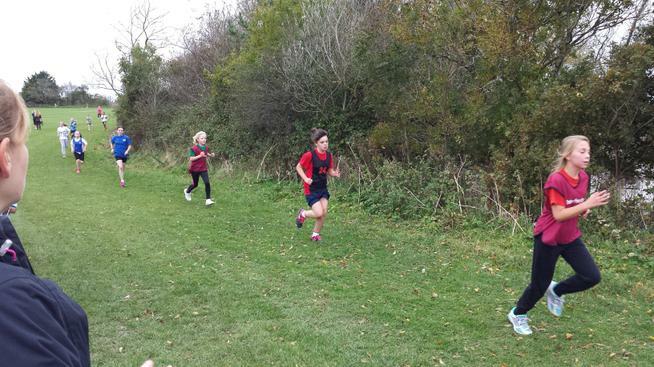 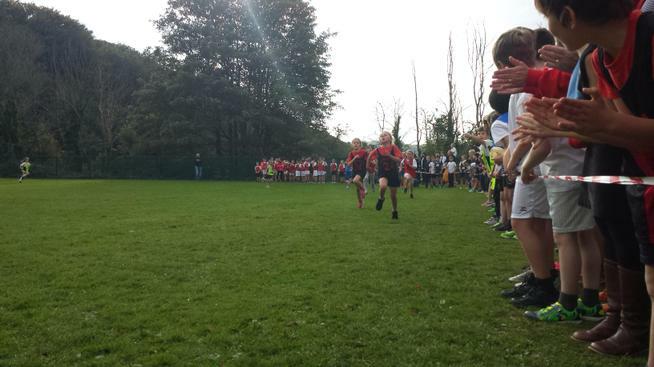 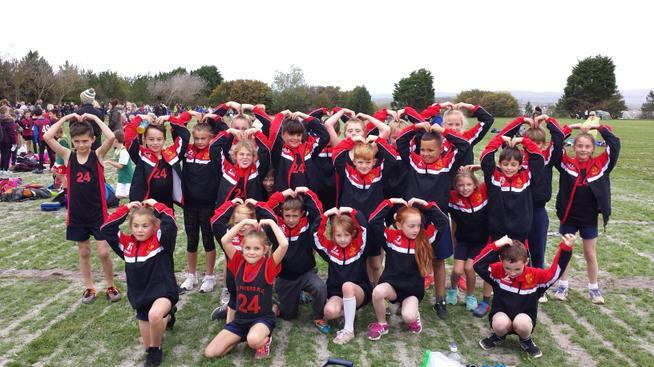 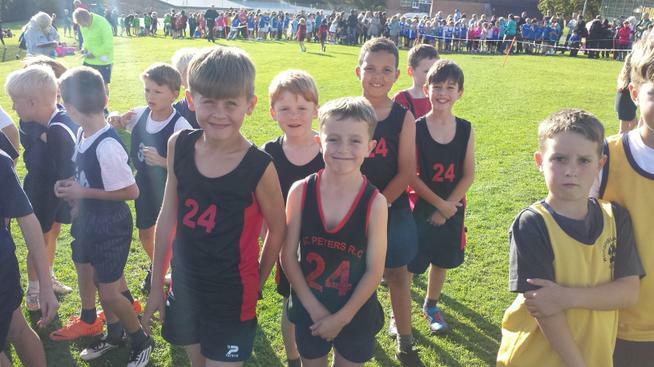 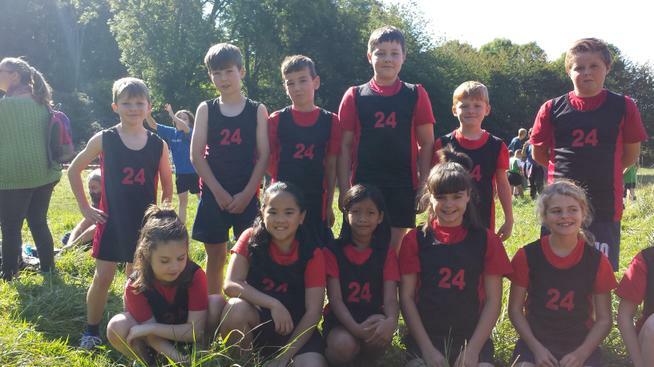 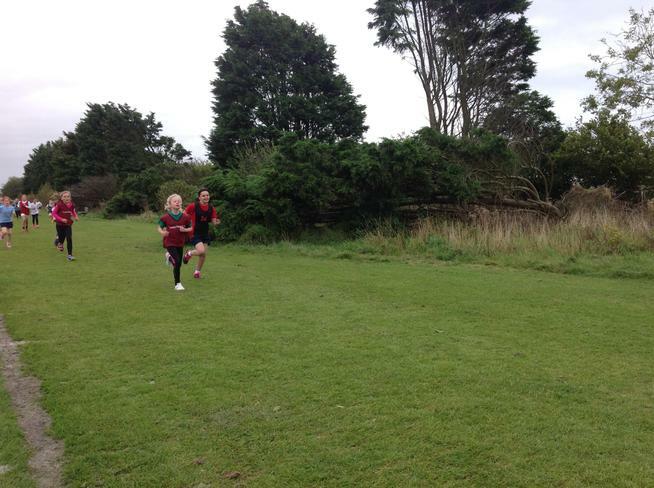 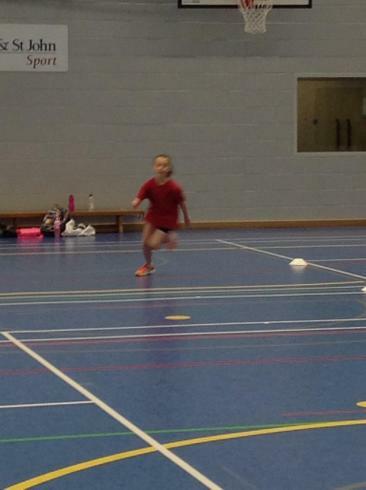 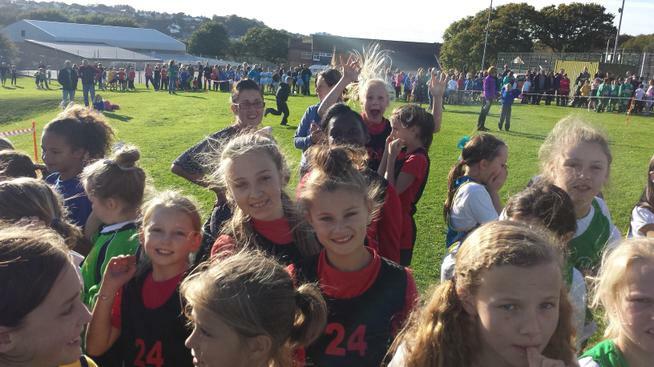 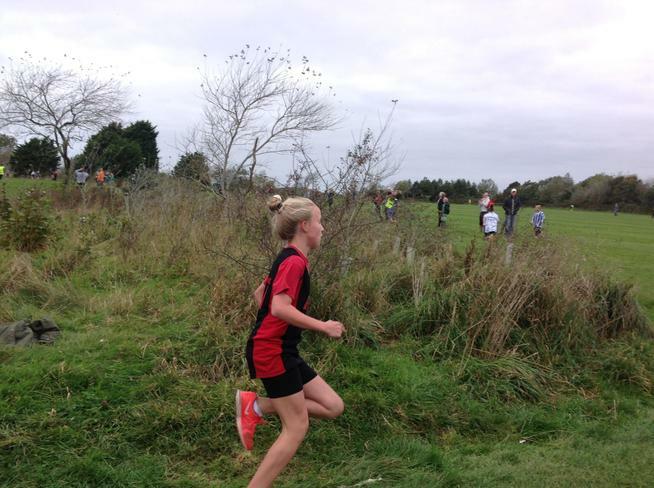 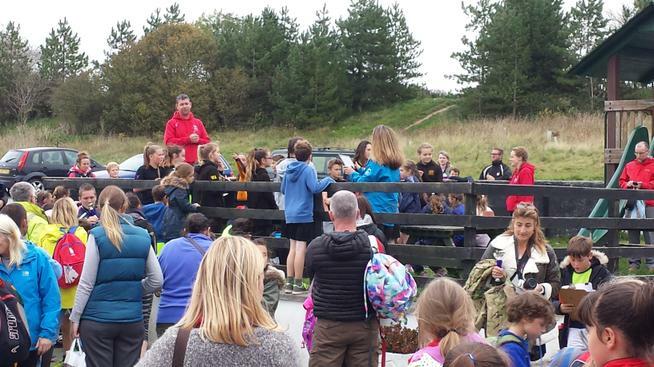 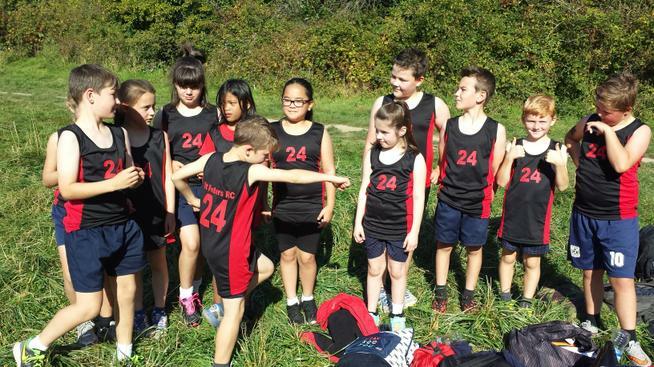 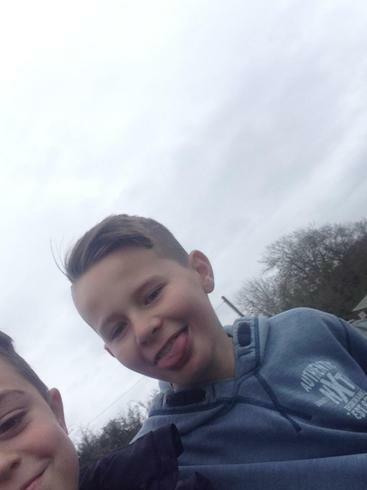 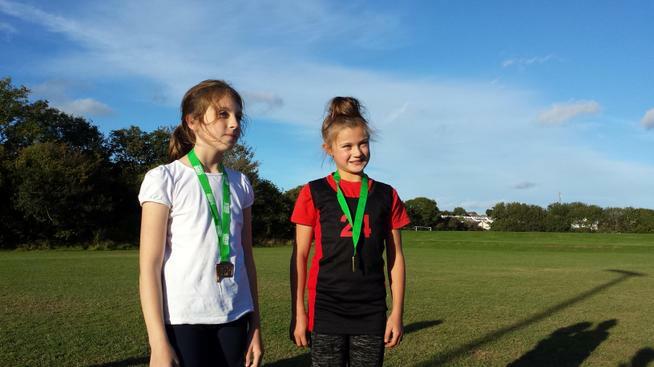 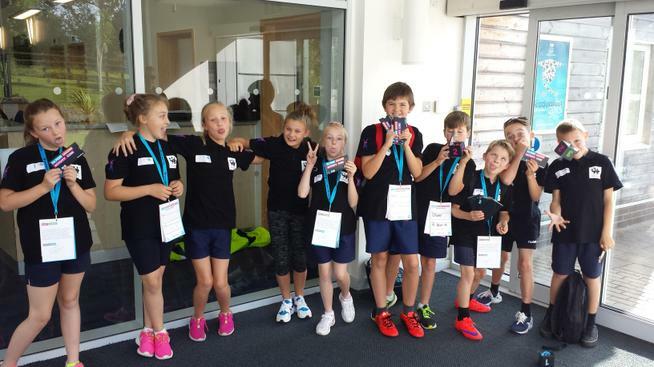 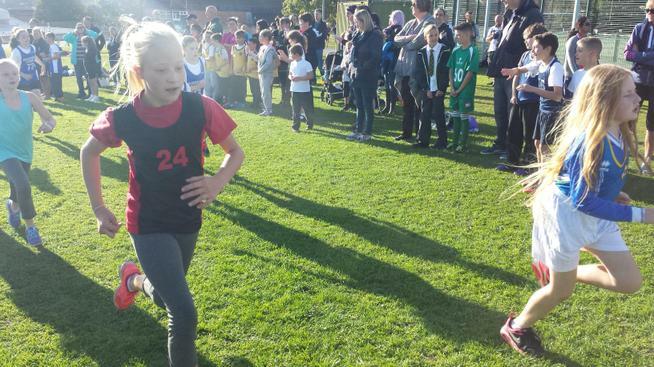 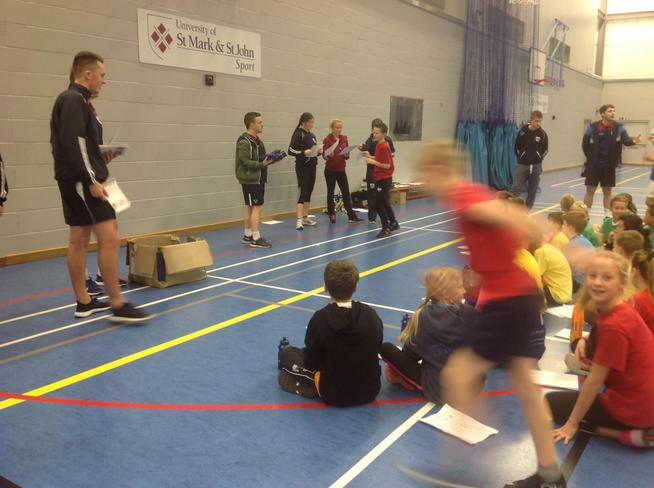 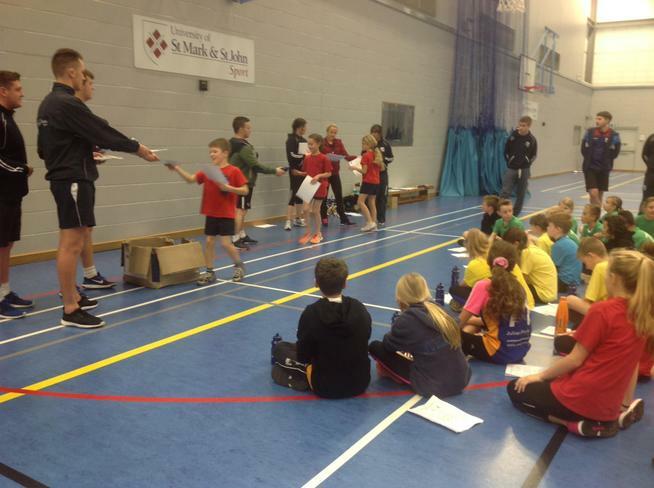 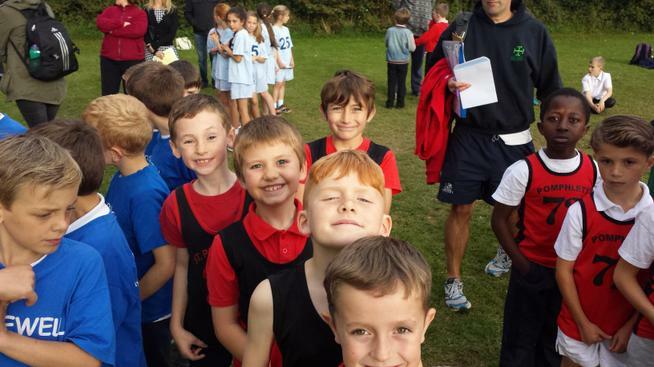 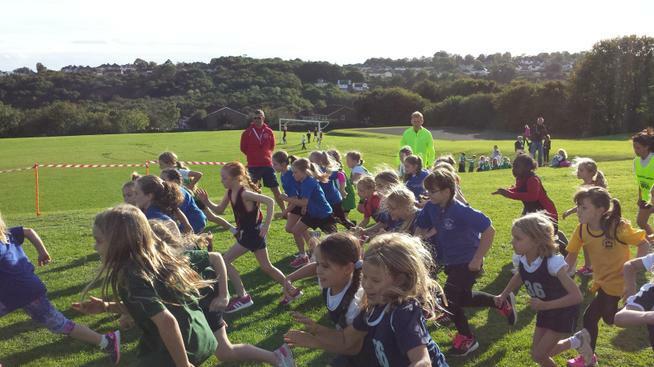 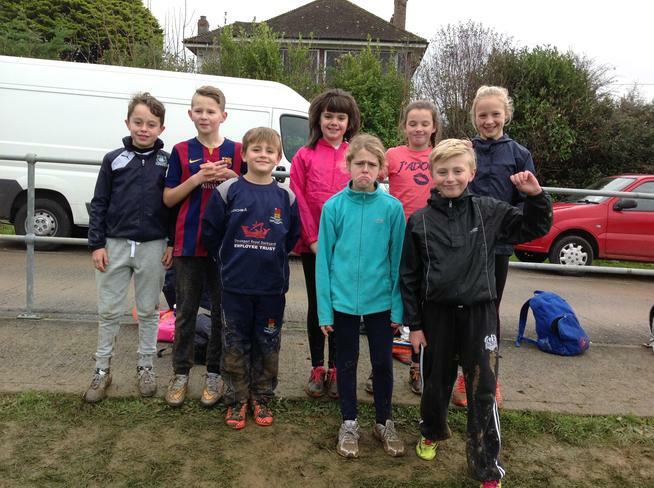 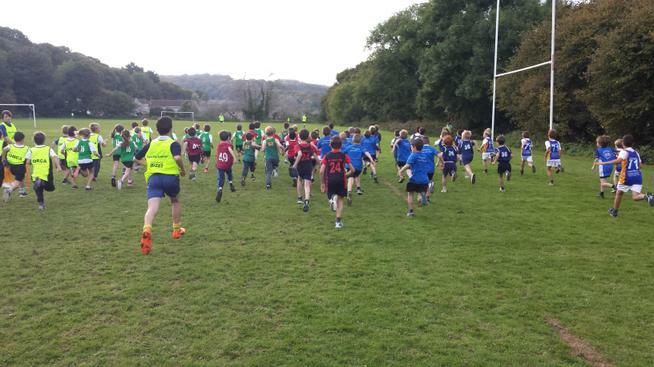 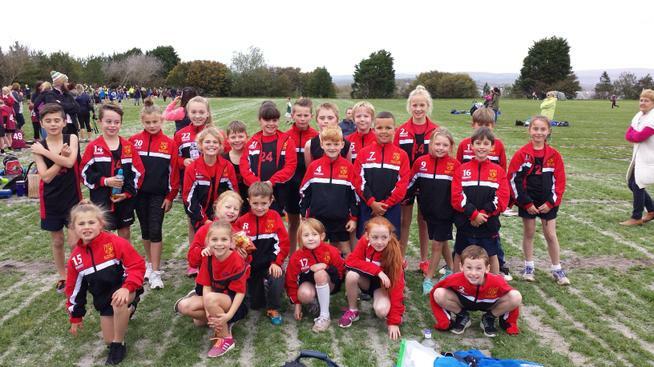 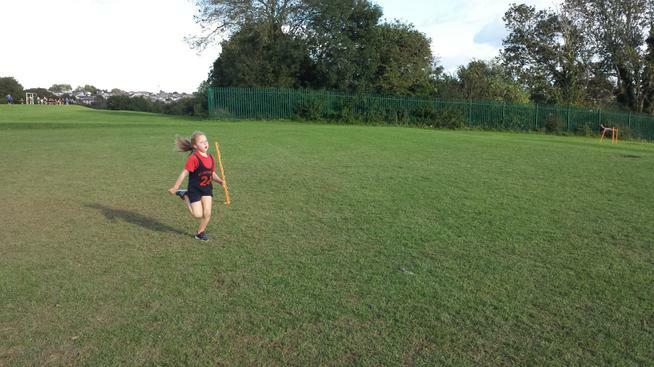 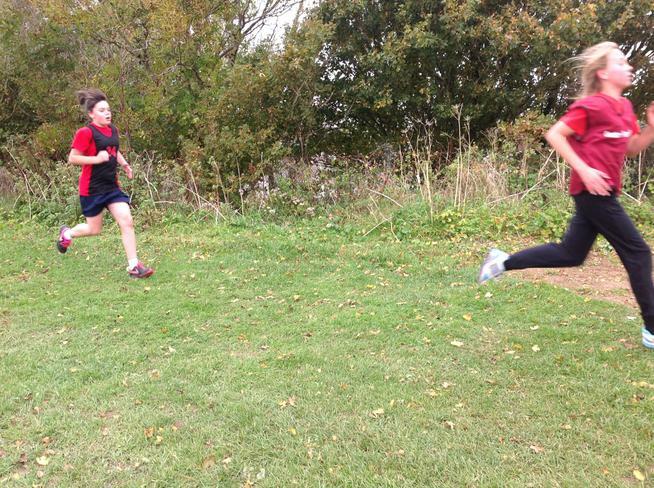 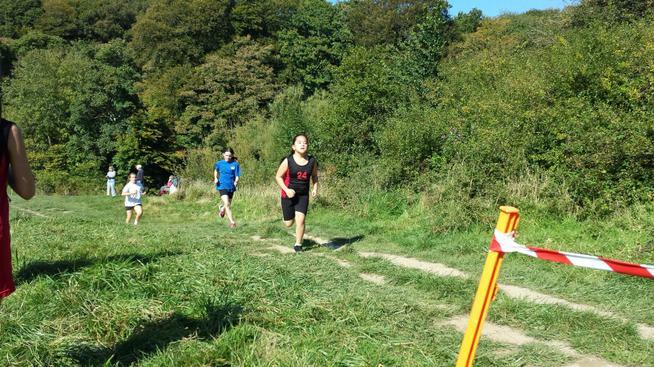 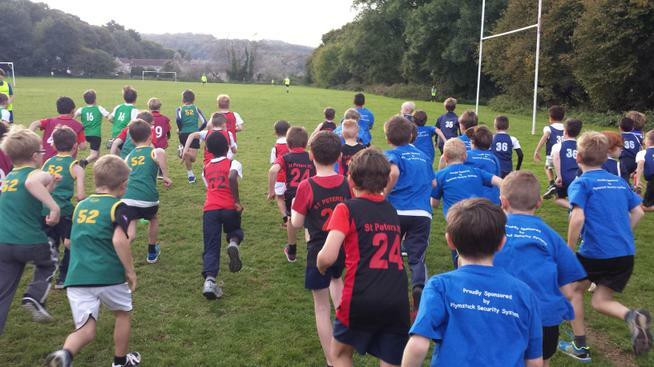 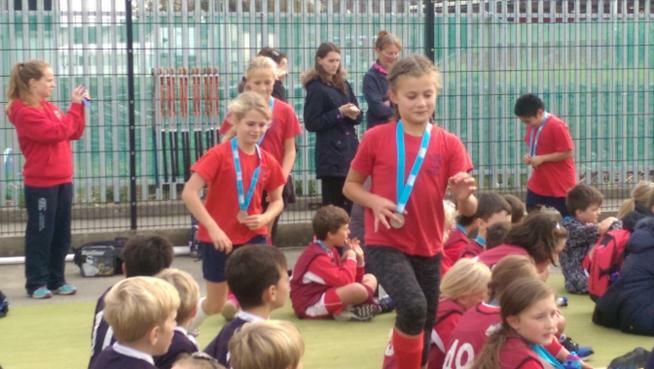 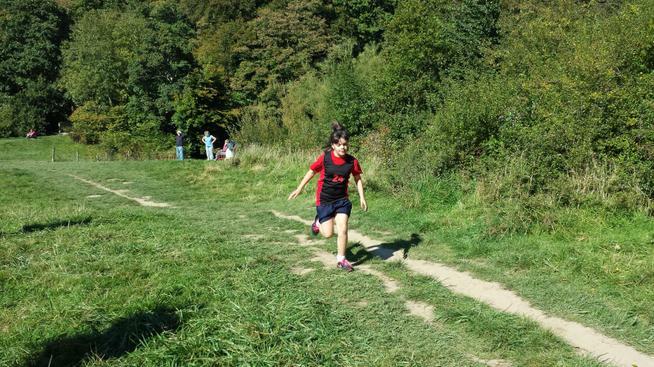 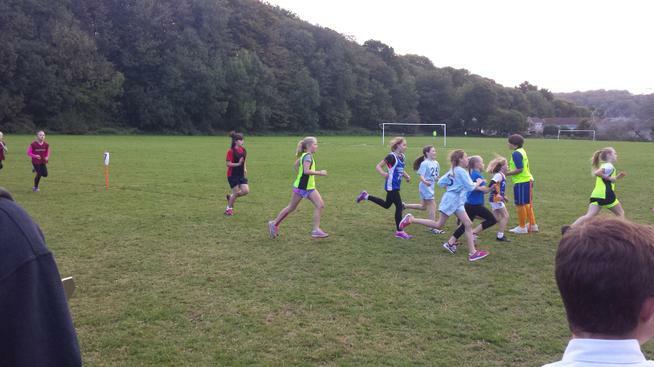 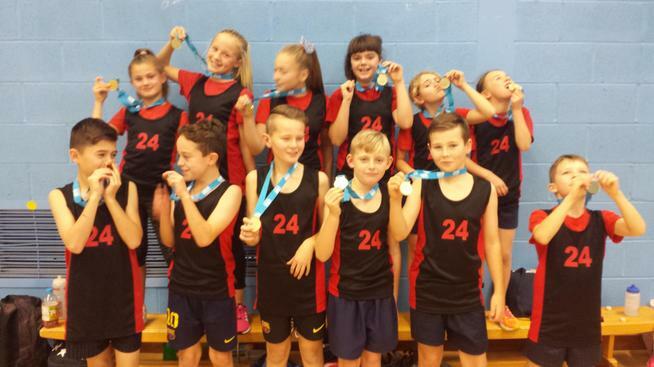 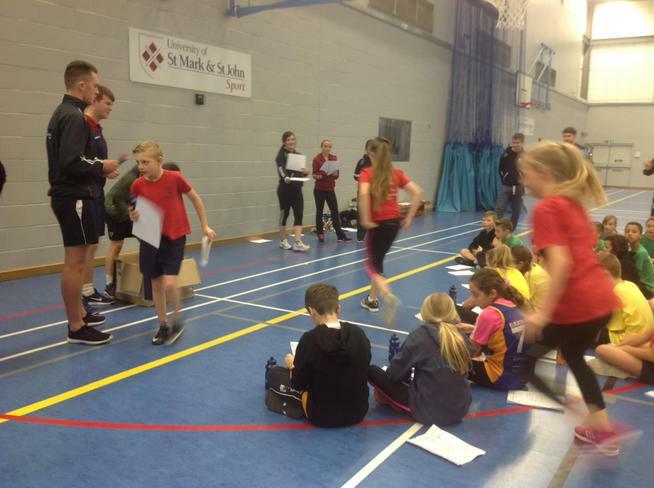 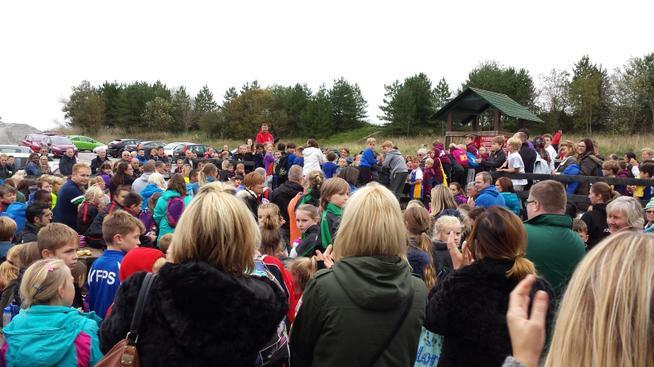 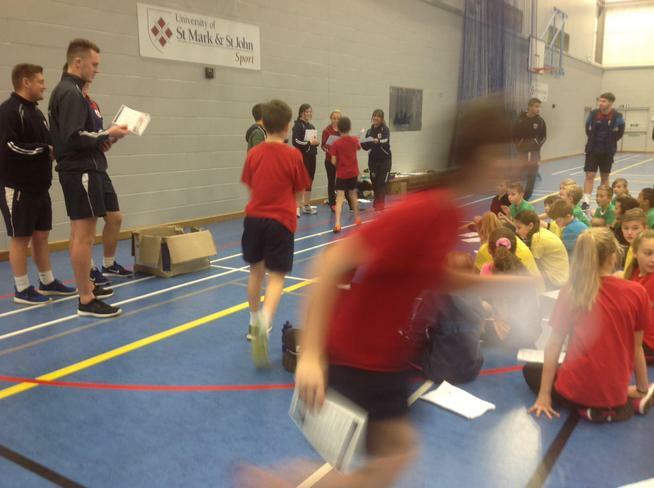 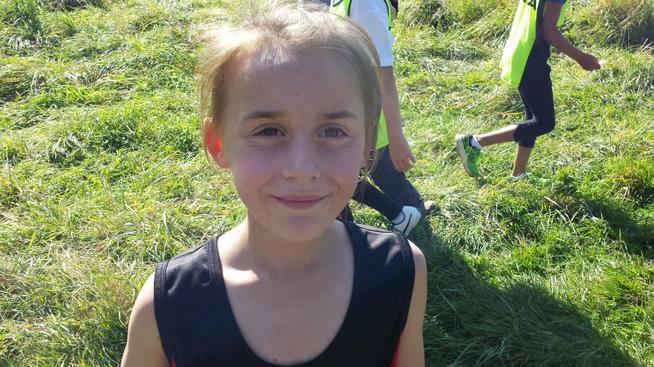 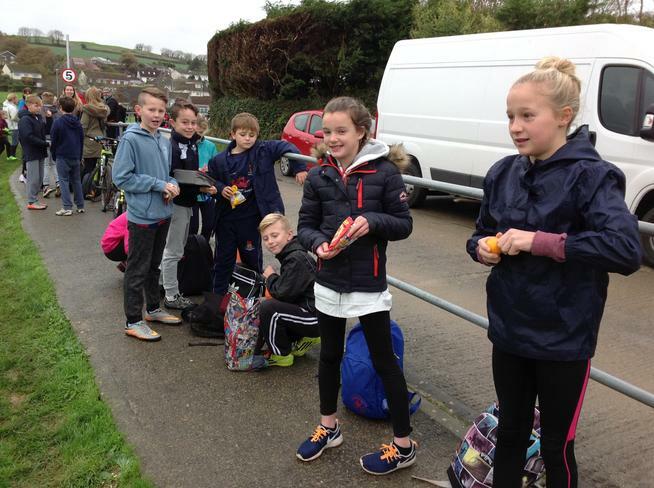 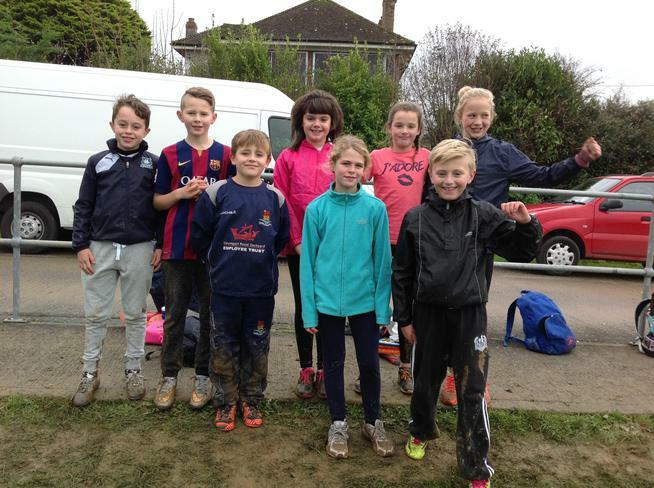 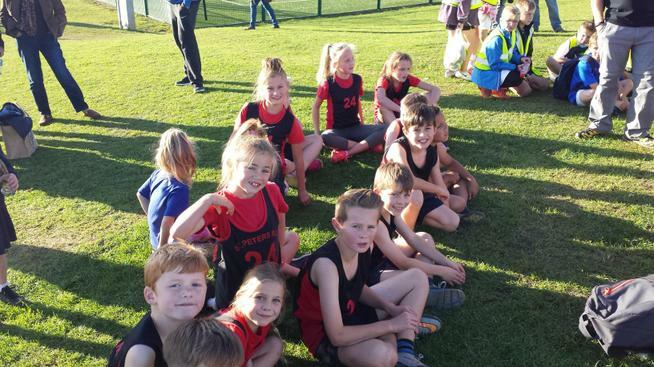 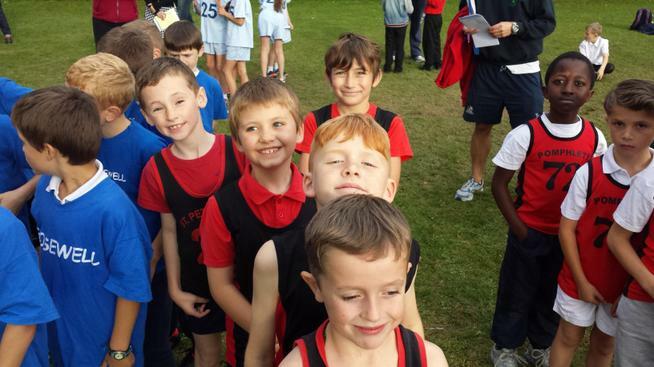 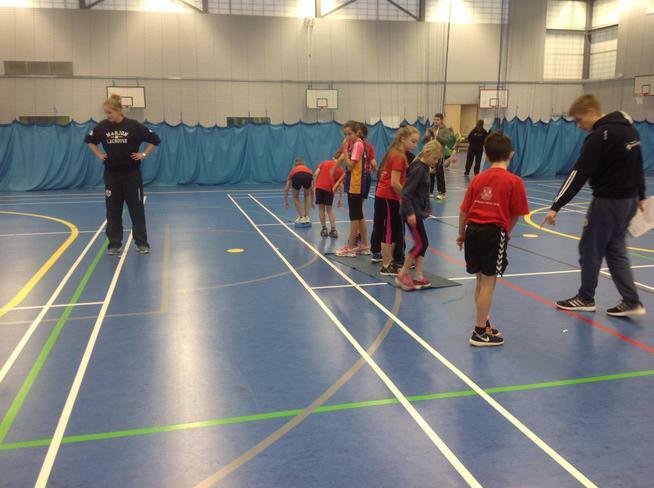 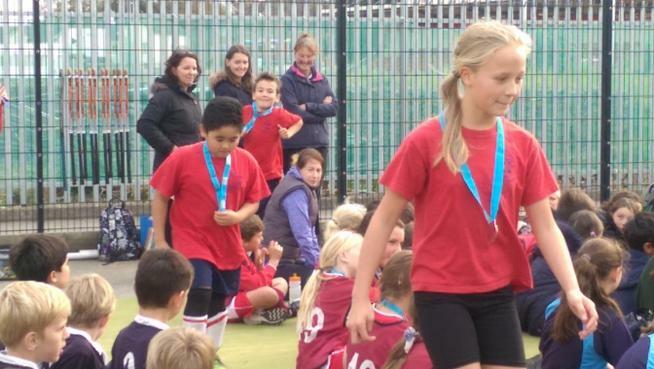 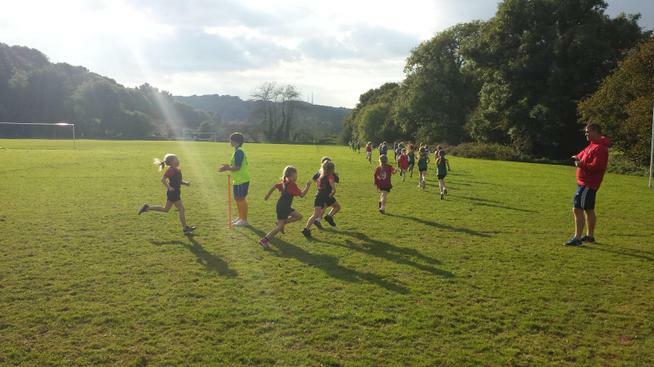 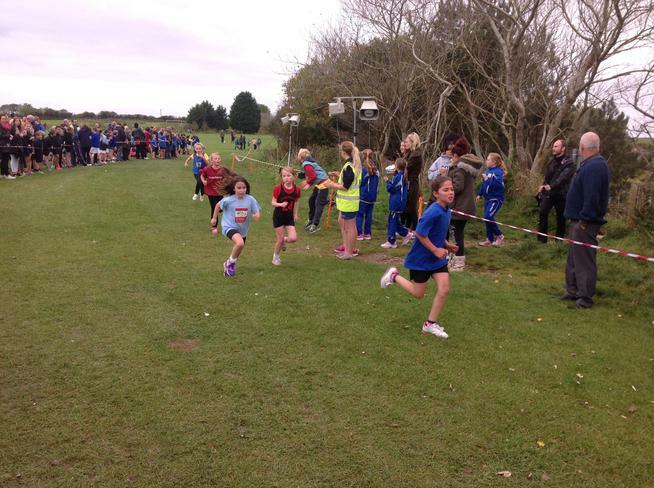 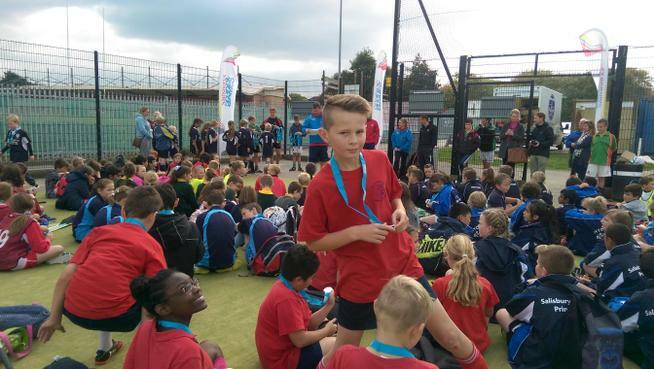 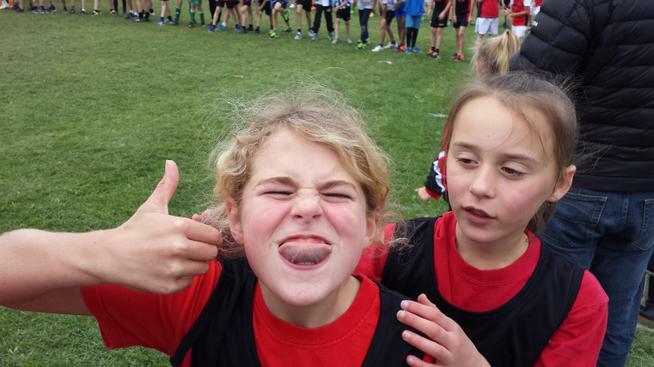 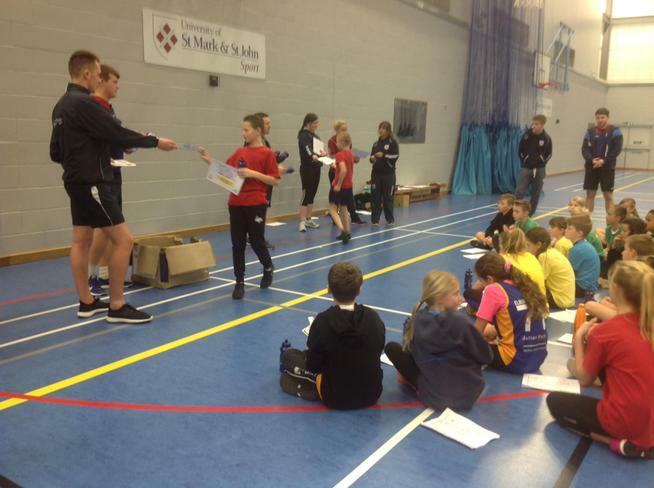 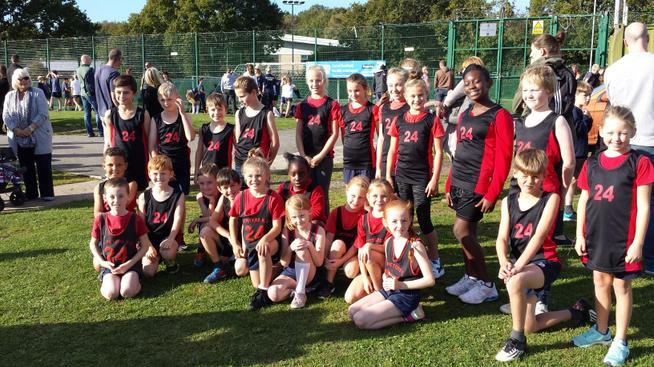 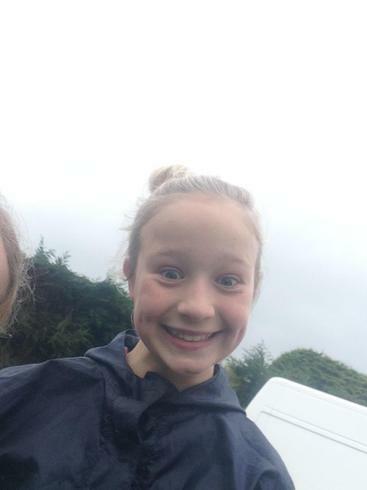 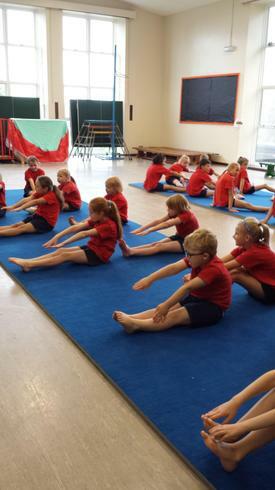 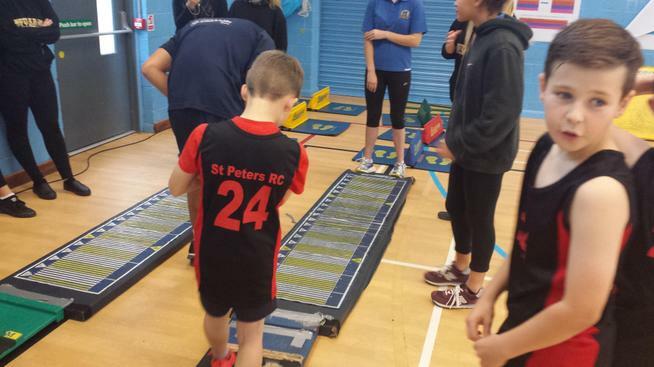 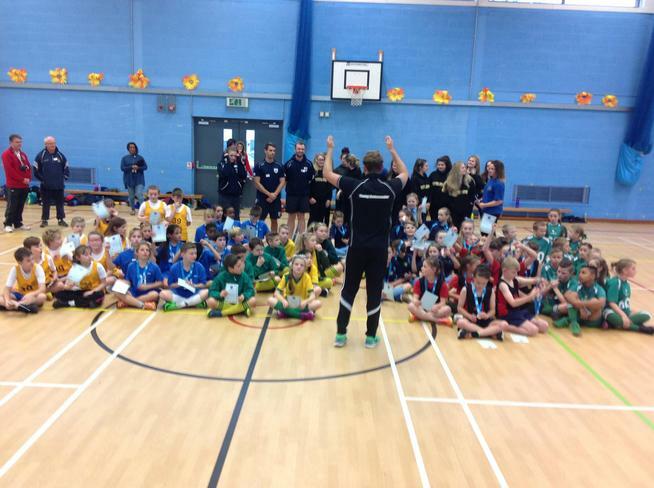 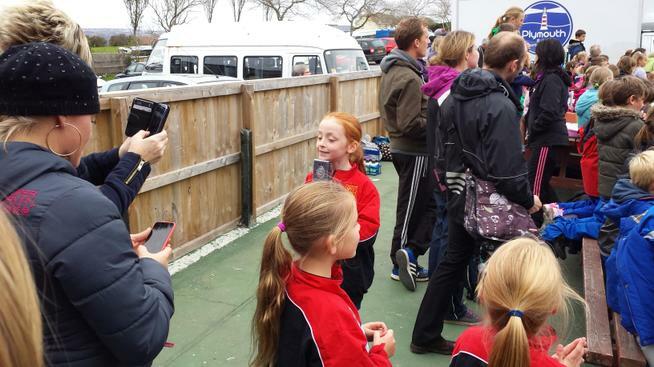 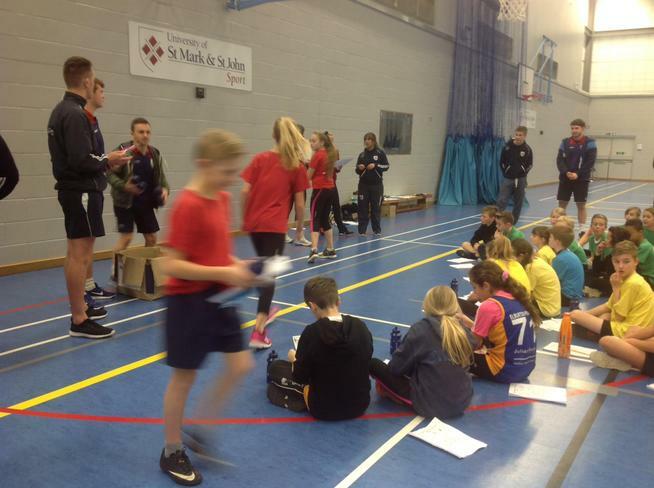 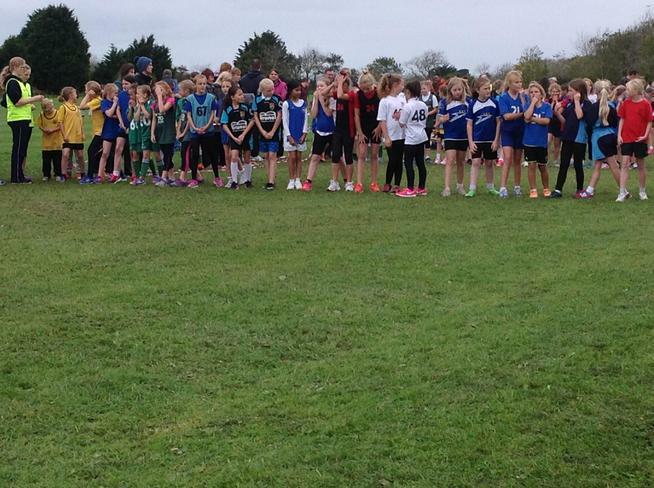 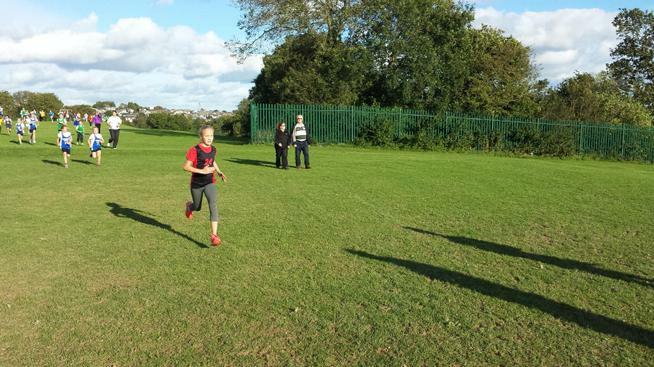 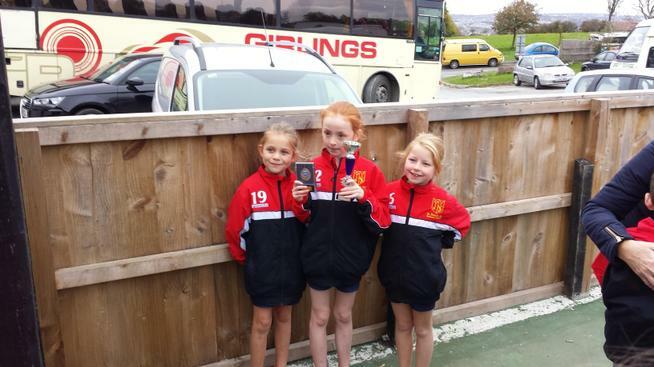 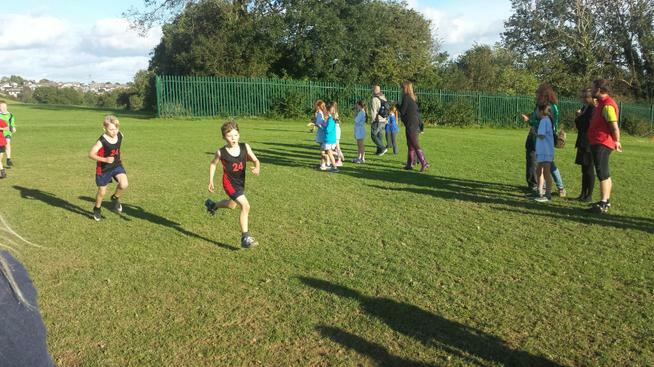 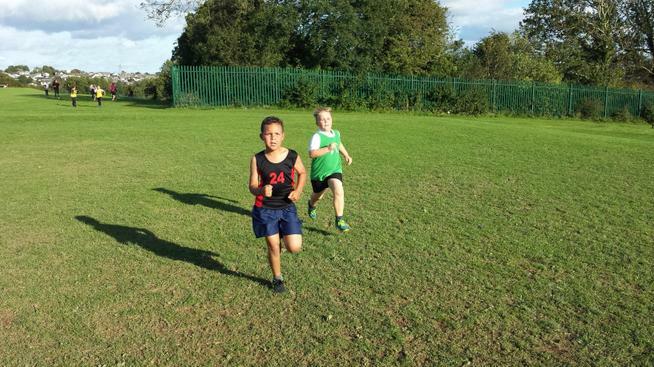 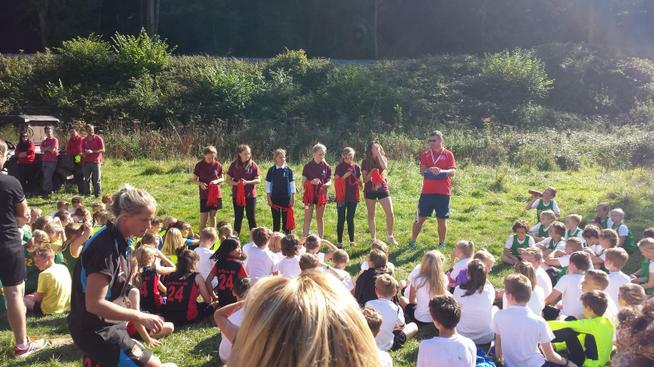 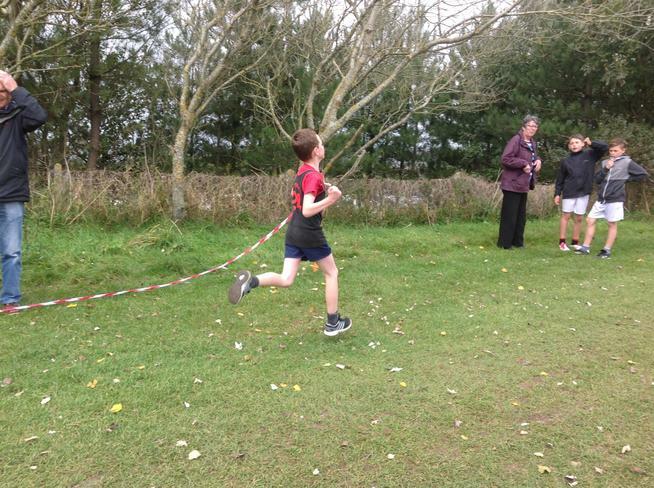 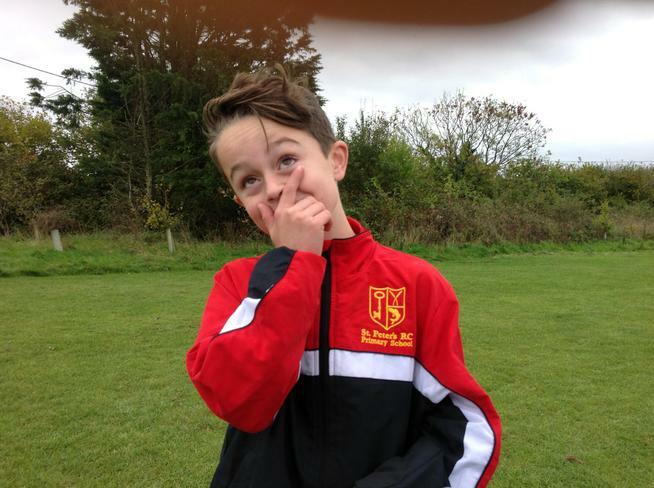 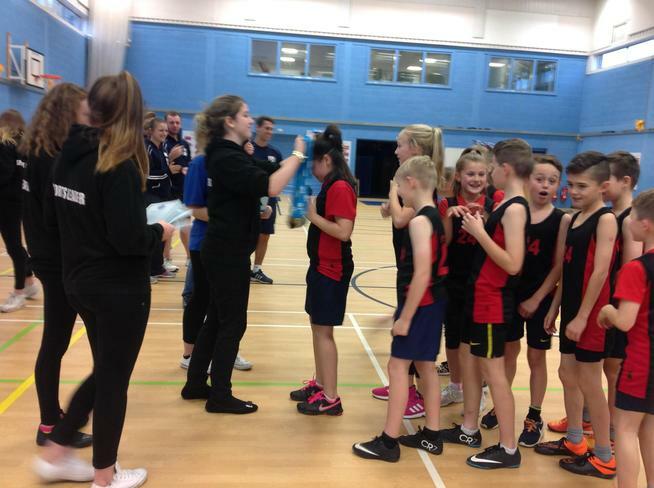 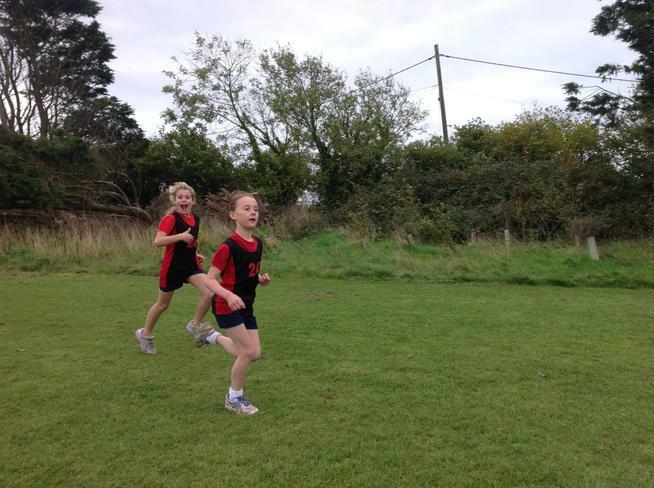 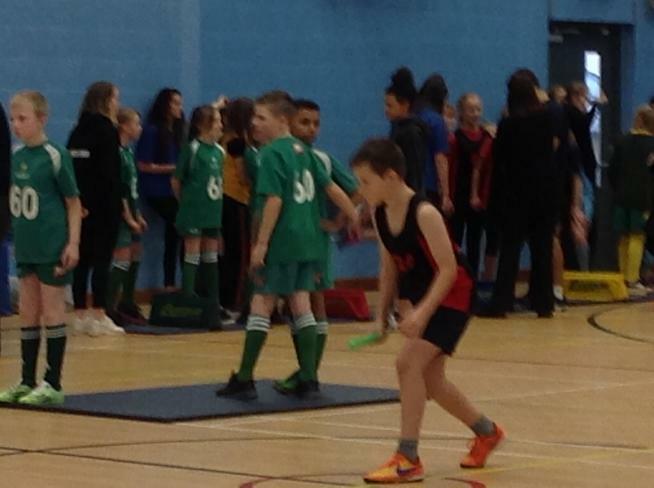 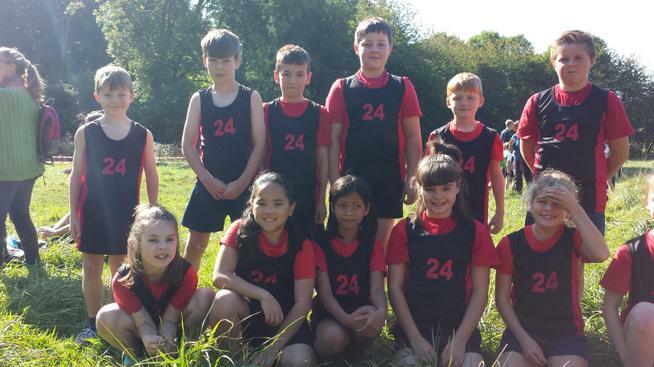 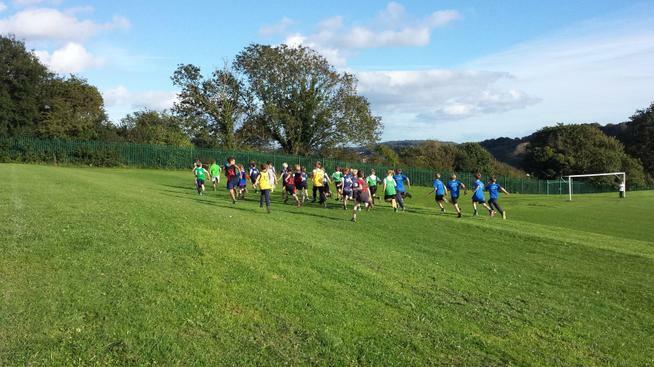 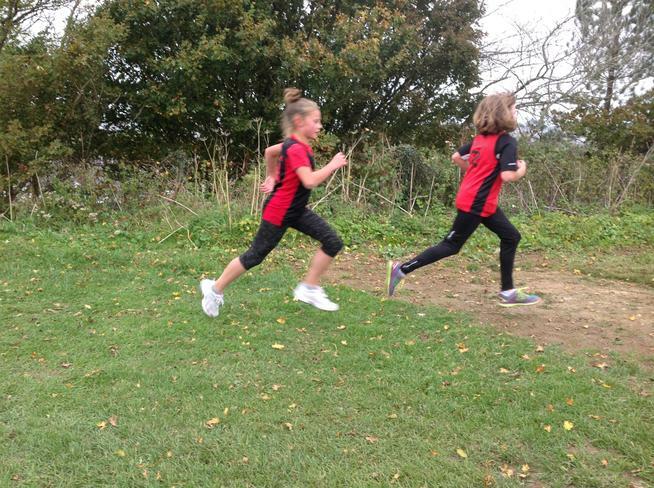 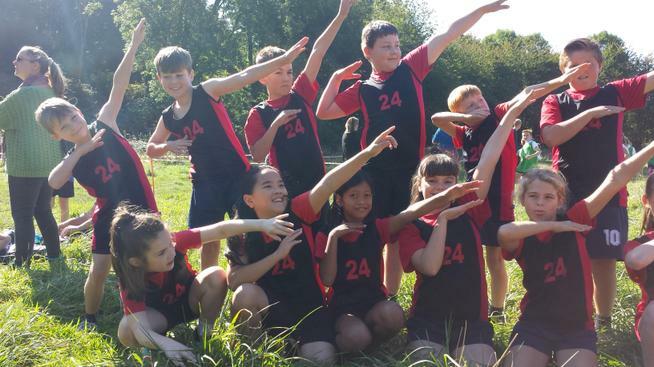 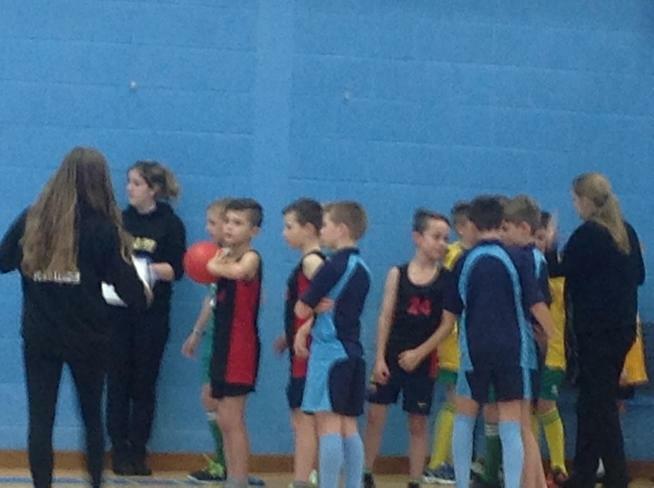 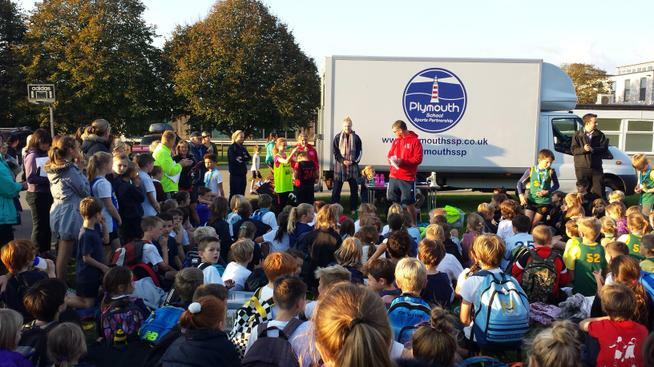 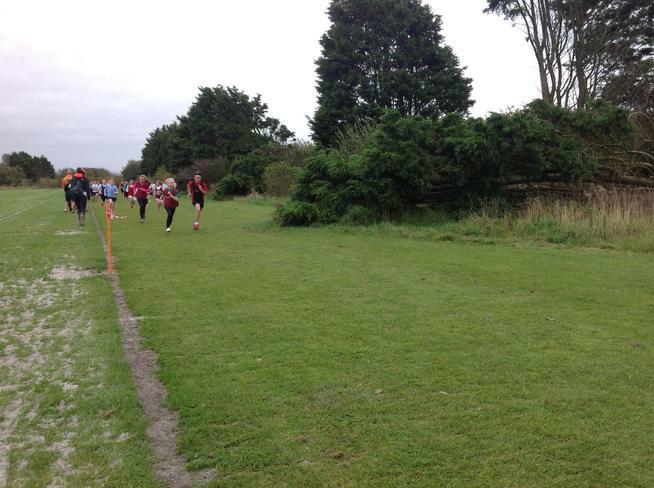 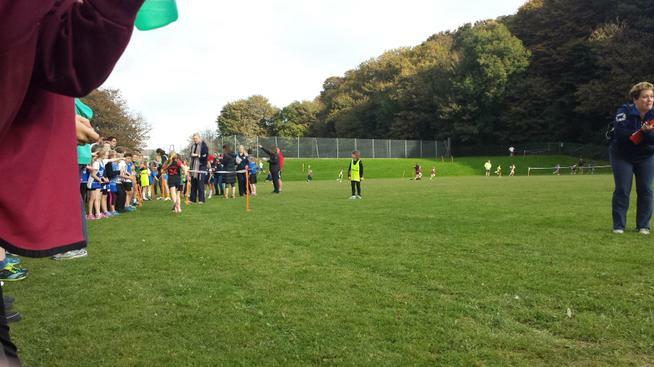 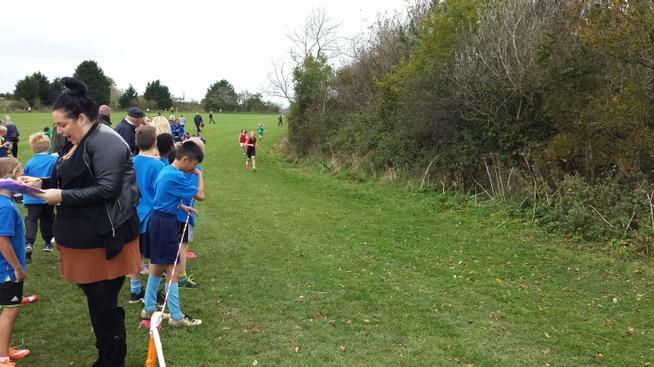 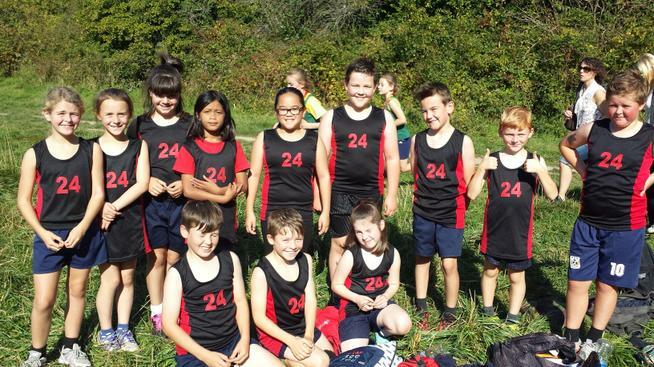 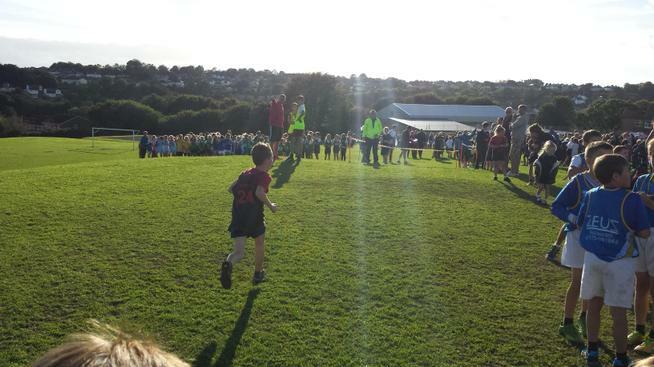 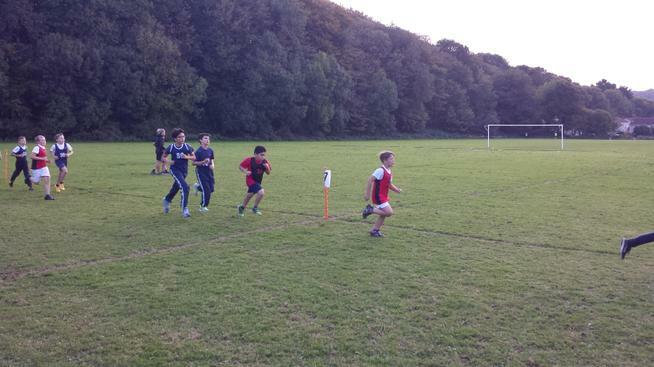 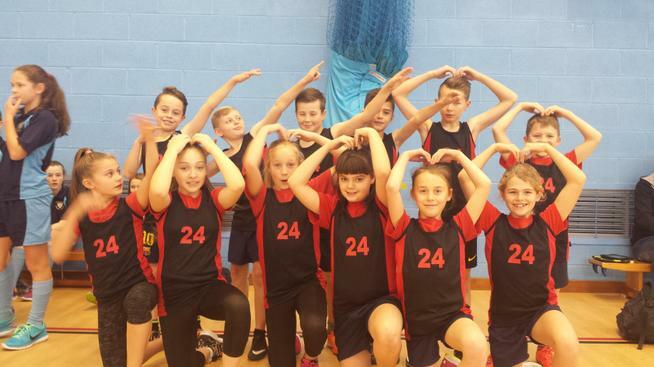 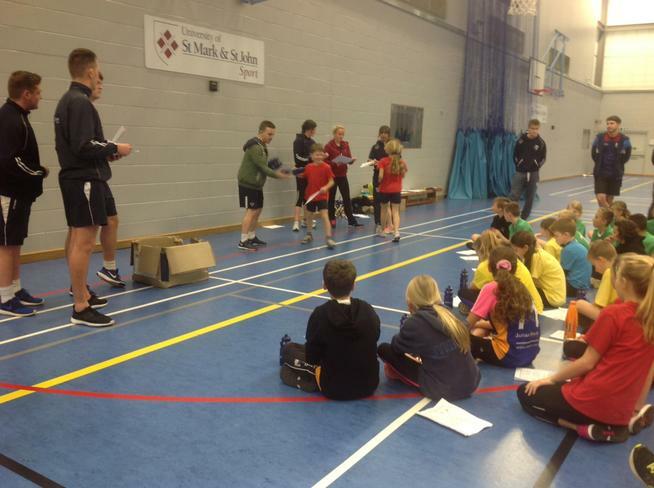 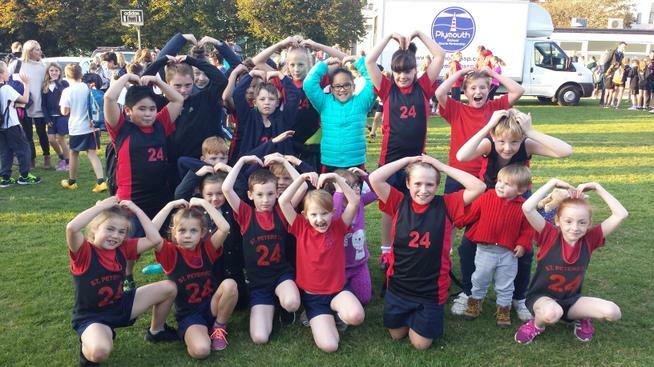 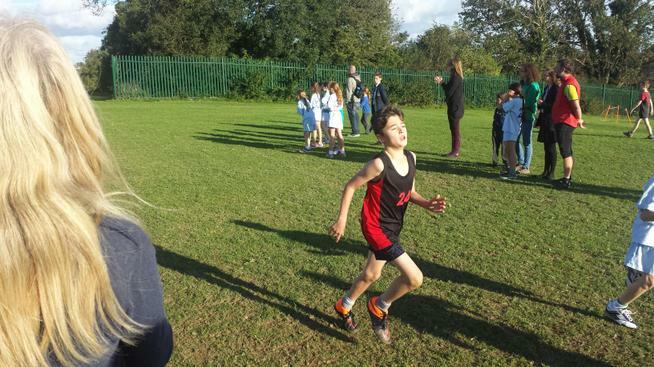 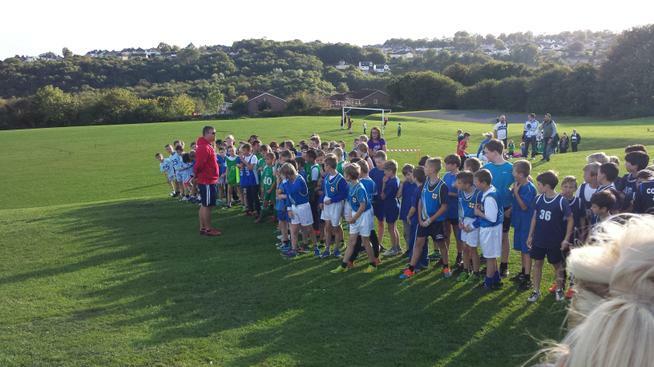 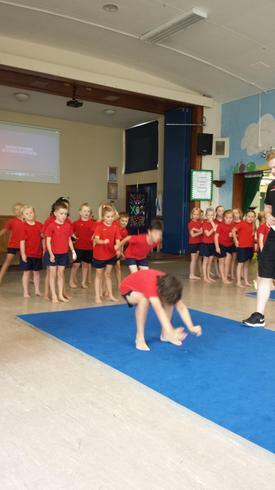 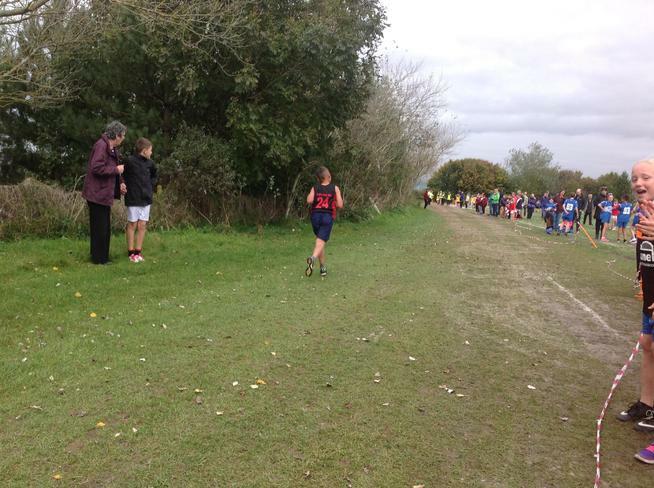 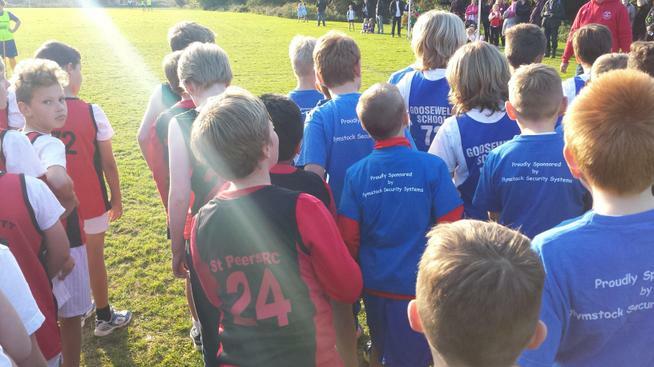 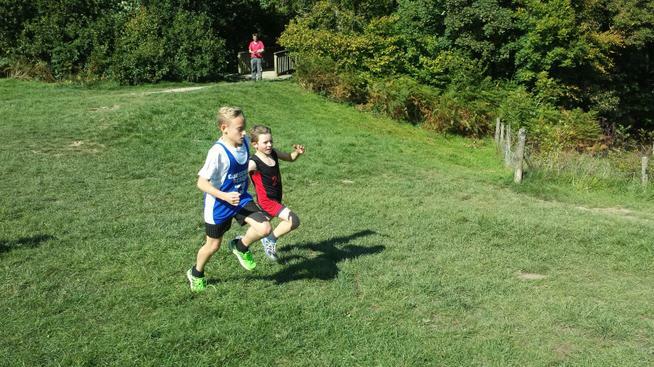 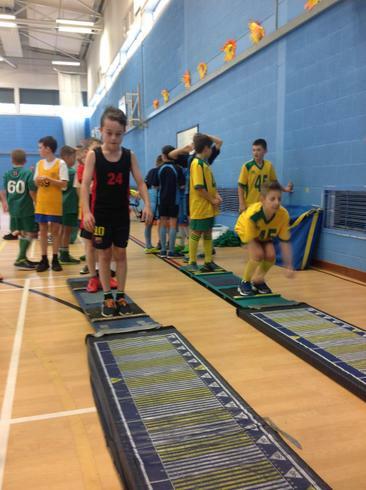 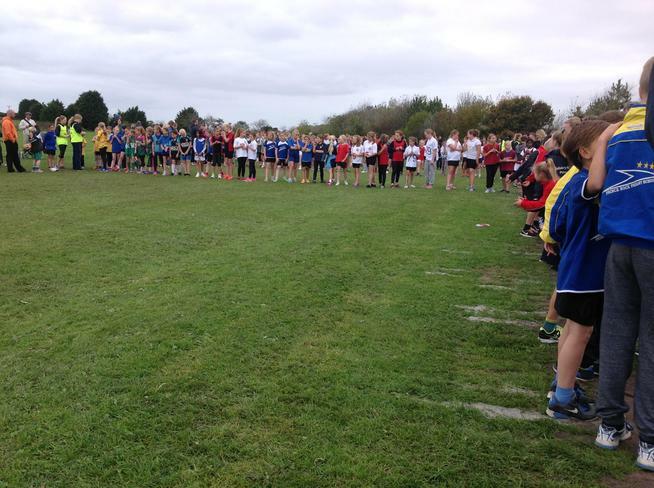 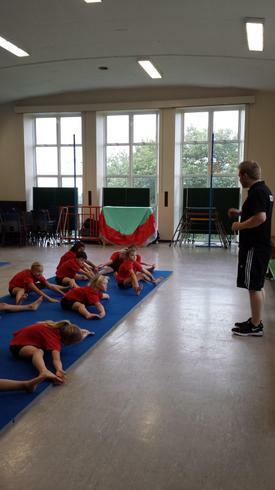 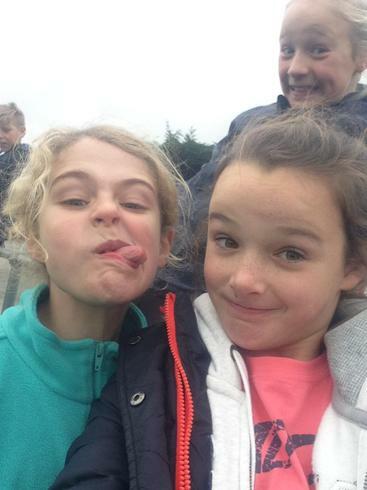 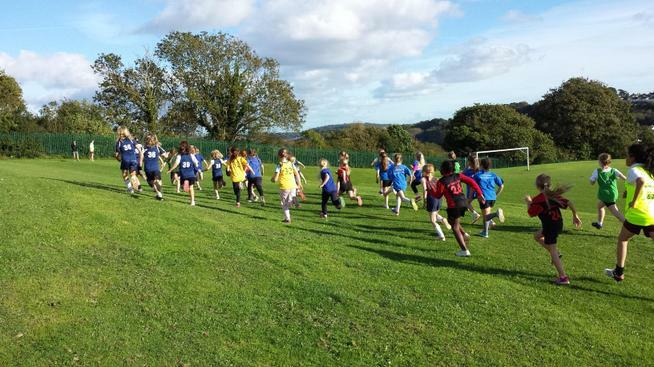 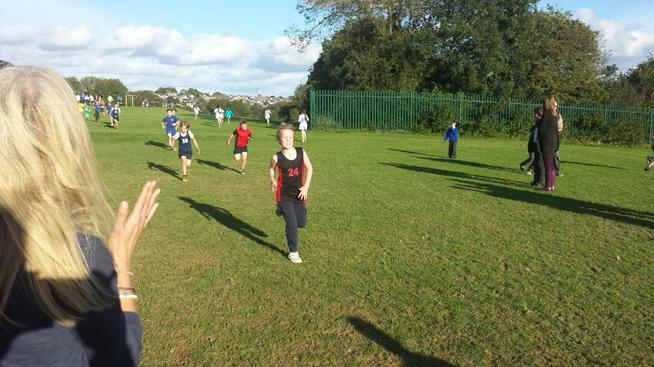 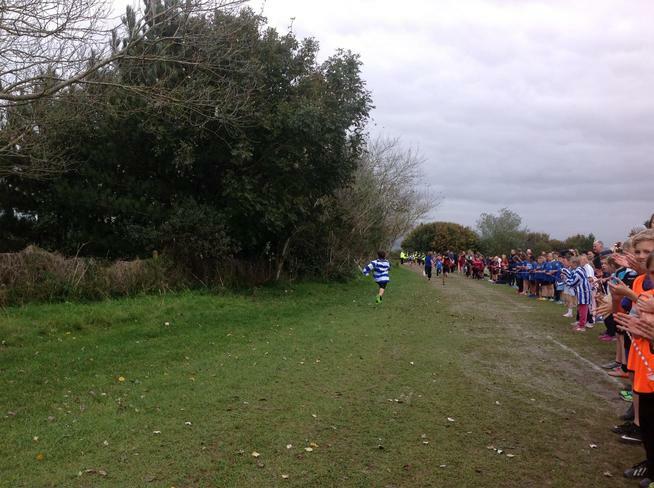 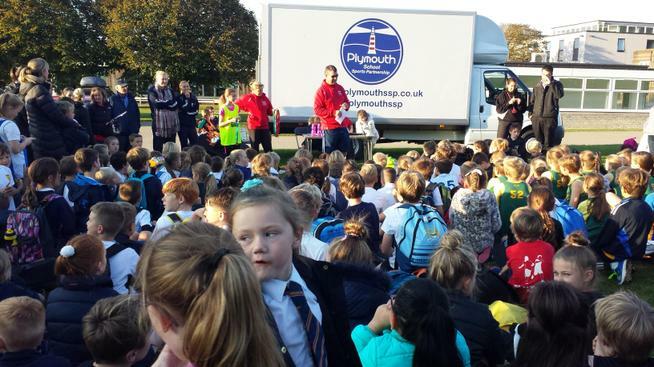 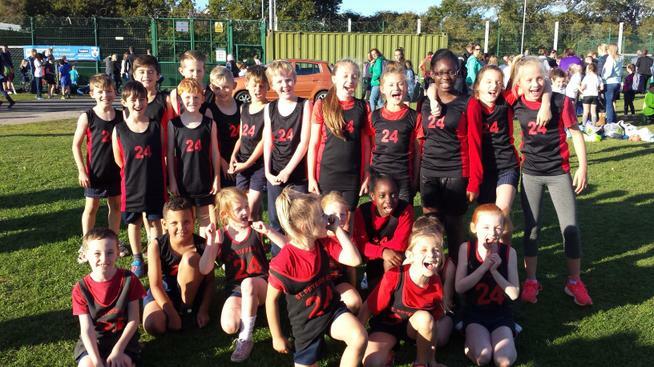 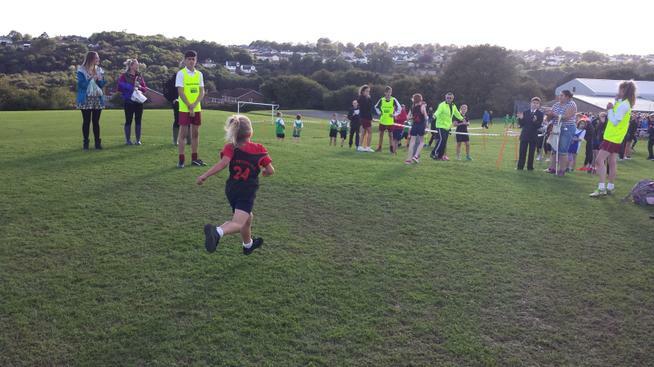 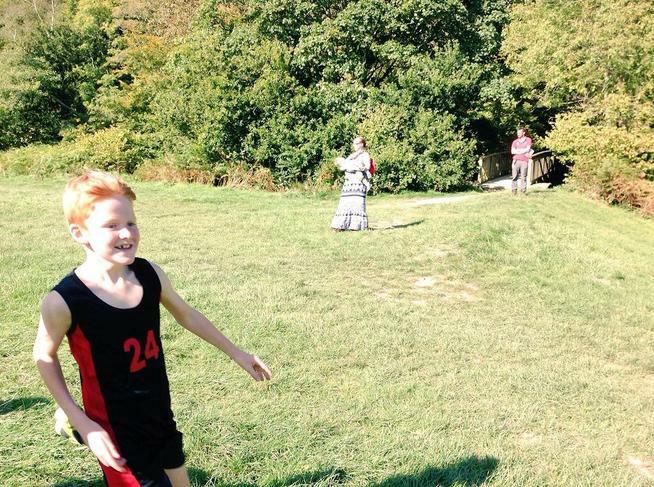 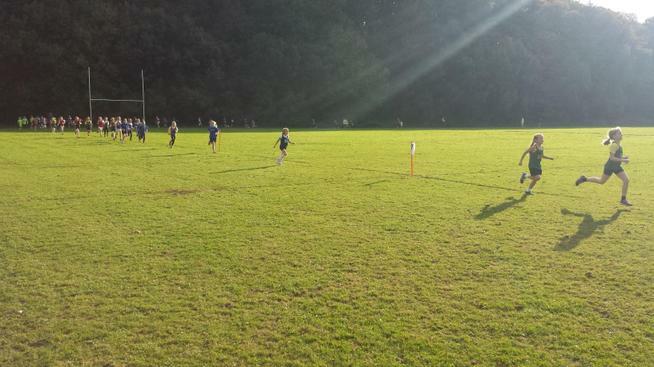 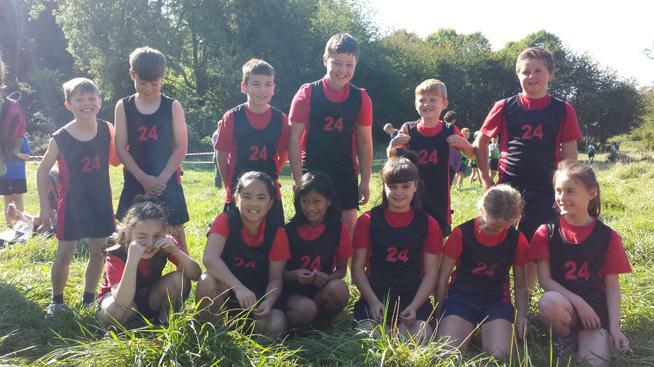 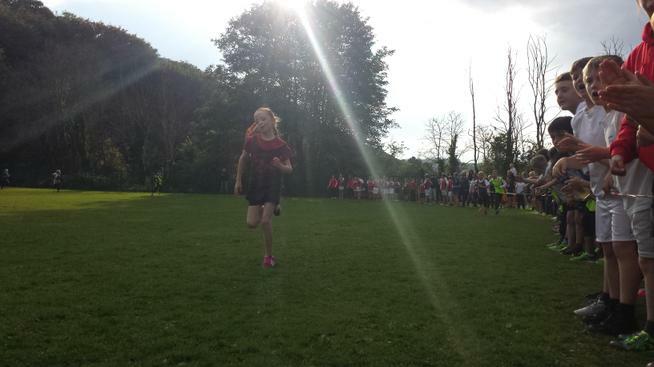 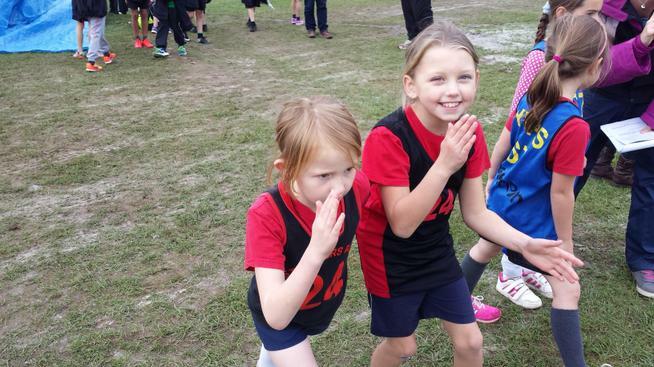 Cross Country Warm Up #1 Report from @plymouthssp Please click on the attached link to be taken to the Plymouth SSP website to access a report about the event. 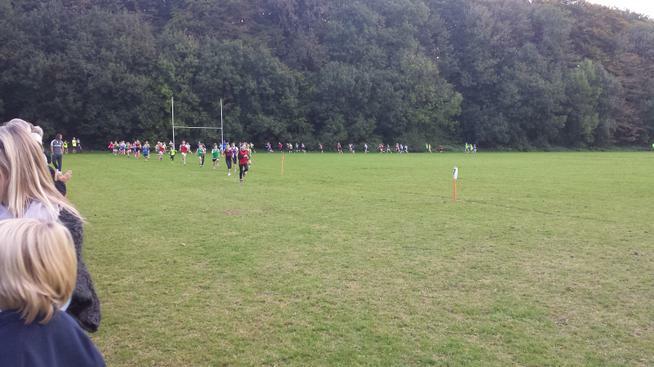 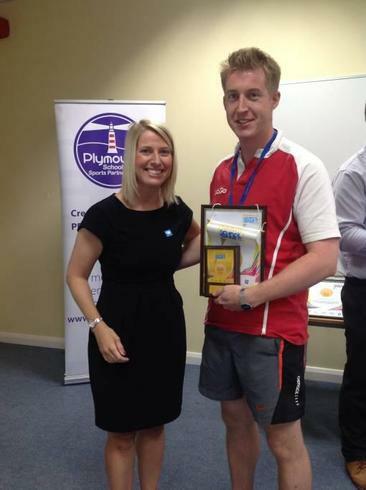 Well done to all the runners that took part.